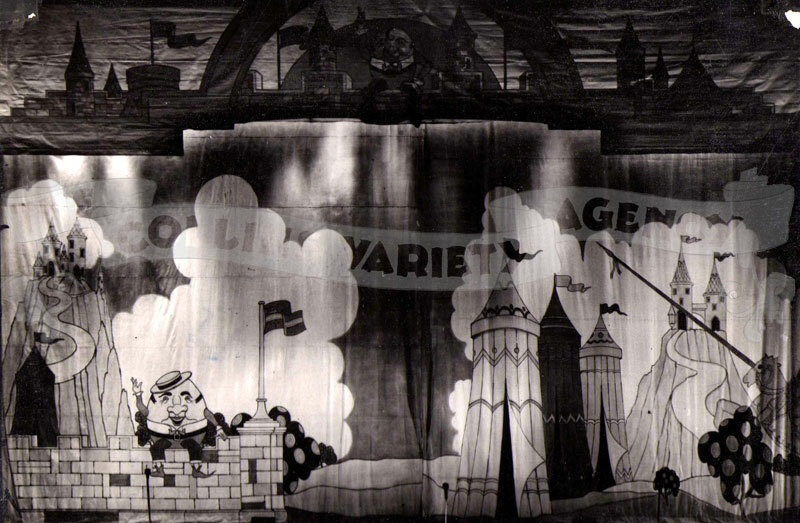 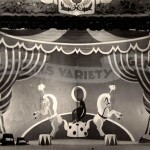 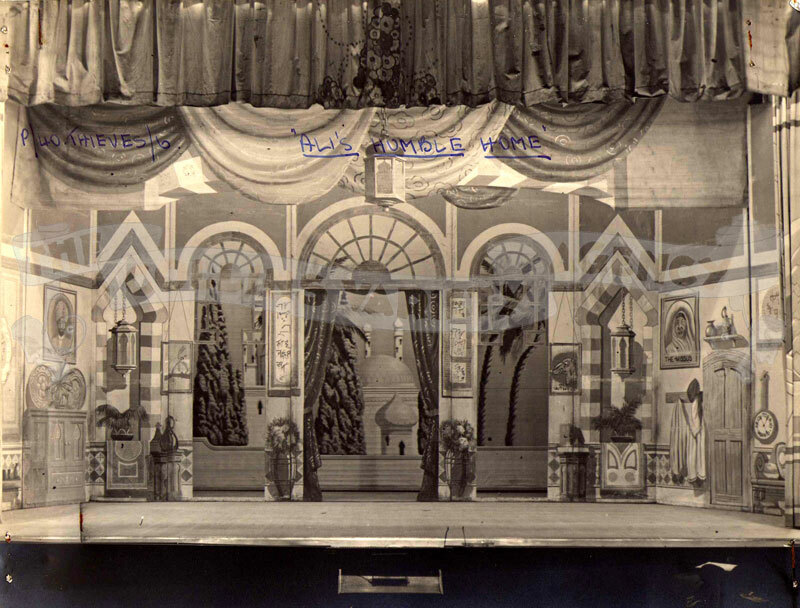 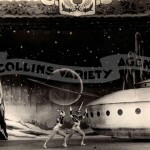 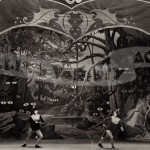 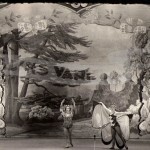 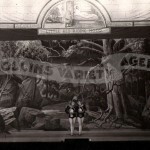 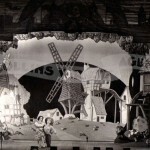 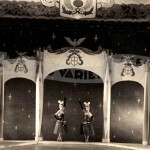 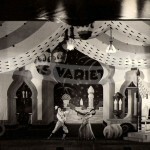 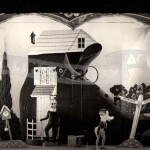 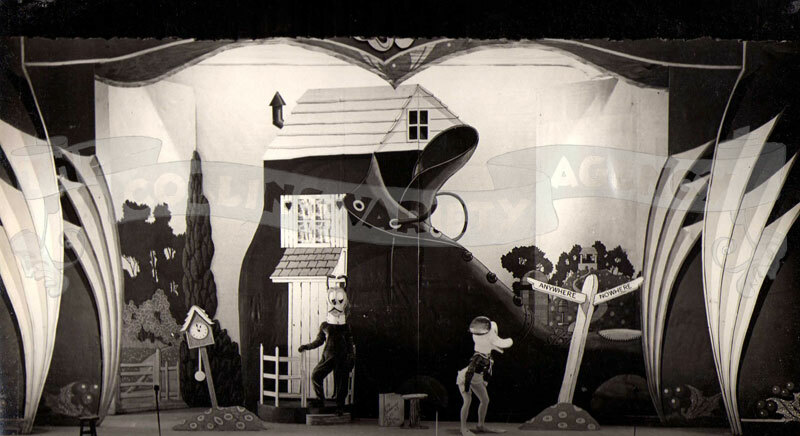 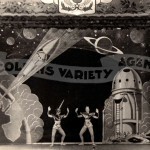 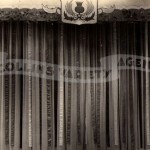 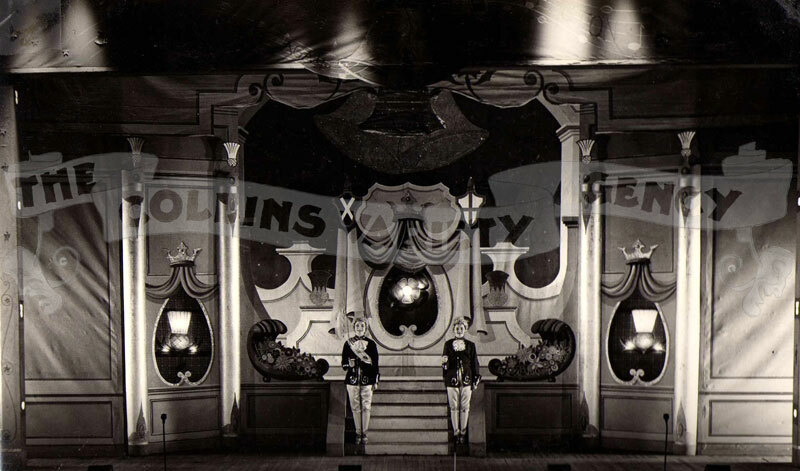 For his own amusement Horace filmed excerpts of several of the Collins pantomimes between 1931 and 1938. 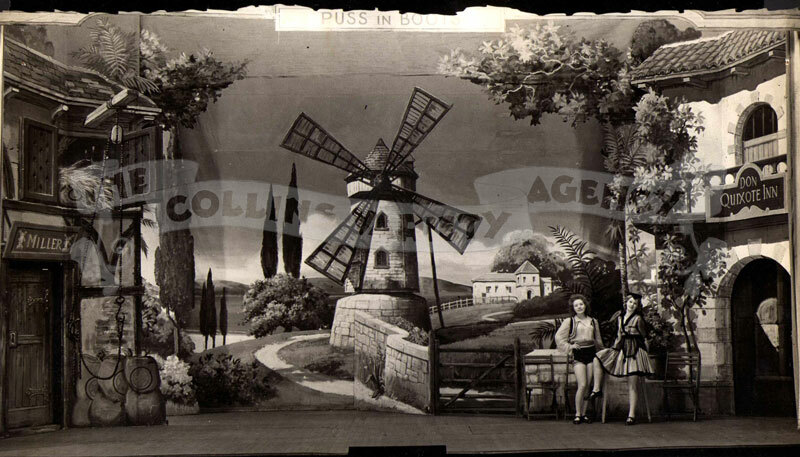 These were filmed on Kodak 16mm cinefilm which was very expensive to buy in those days. 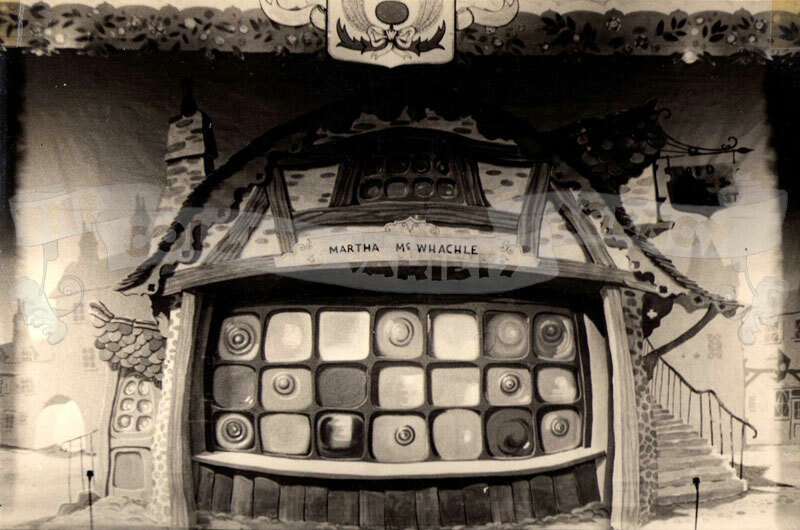 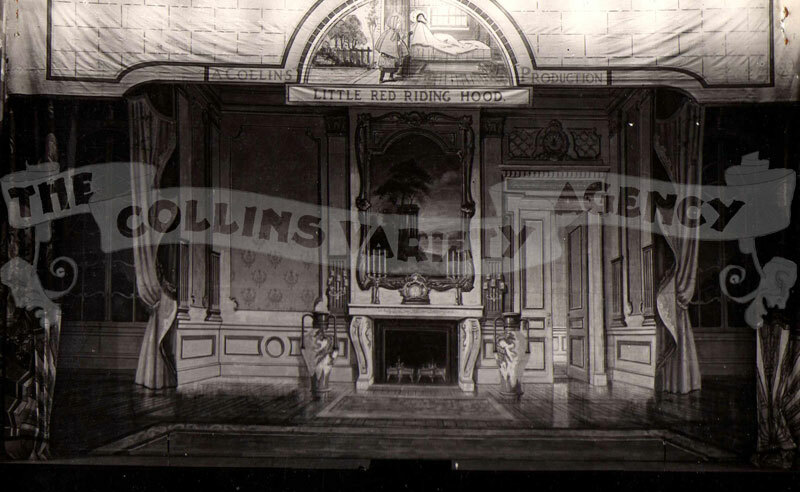 Even more expensive would have been the colour film, which Horace used to capture some of the magic of his pantomimes ‘The Queen of Hearts’ and ‘The 40 Thieves’. 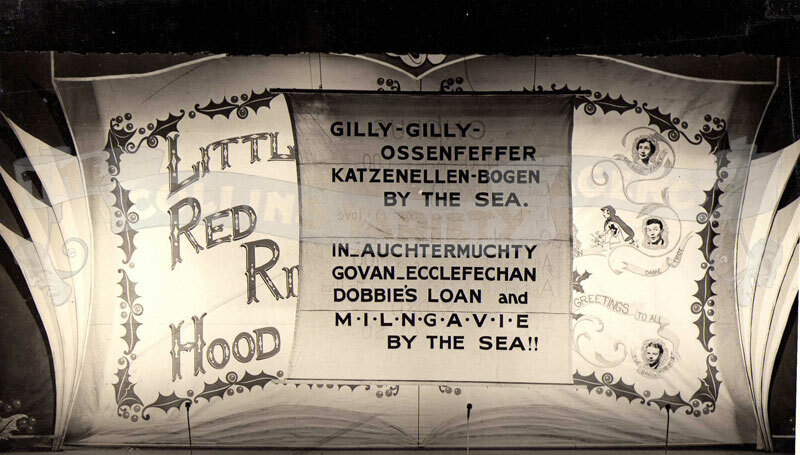 These rare films did not have sound so sadly the music, the banter and the laughter have been lost but what he did capture is a very rare archive of Scottish panto and some of it’s stars, amongst them: Dave Willis, GH Elliot, Jack Anthony, Florrie Forde and Harry Gordon. 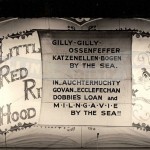 These films have been donated to the Scottish Film Archive of Glasgow University and are presented here for your pleasure. 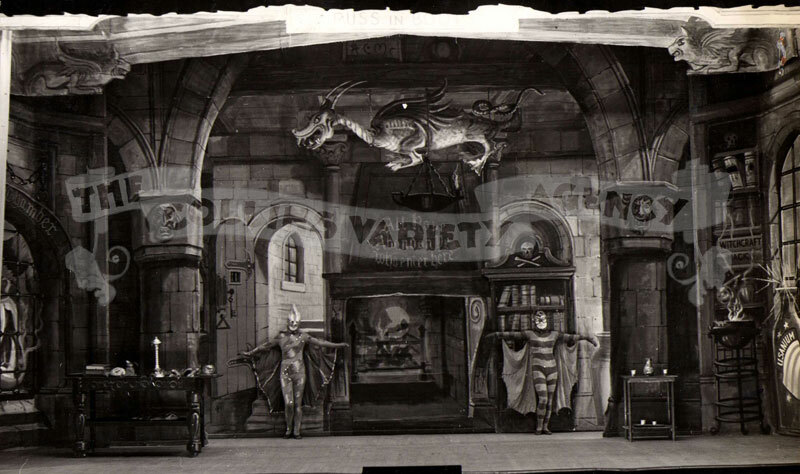 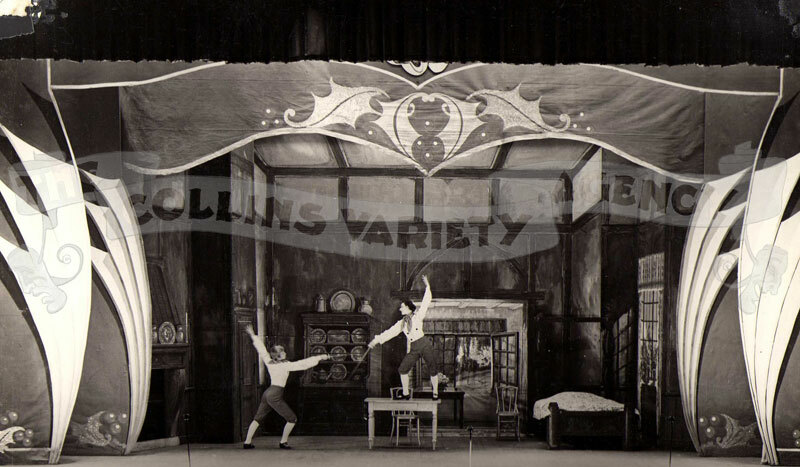 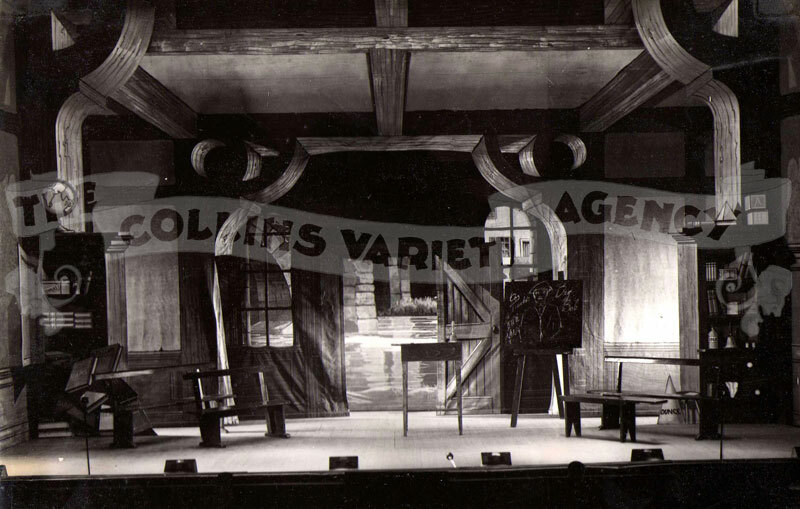 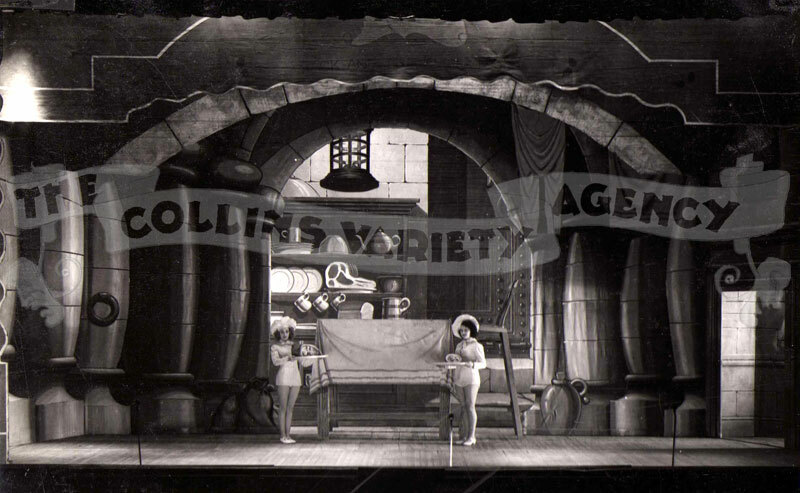 ‘Forty Thieves’ starring Dave Willis, filmed at the Edinburgh Theatre Royal during it’s 1931-1932 run. 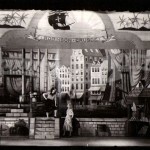 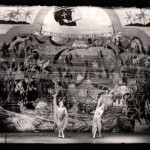 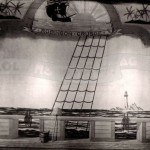 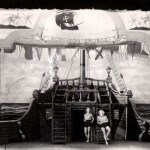 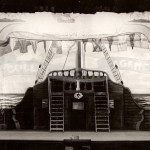 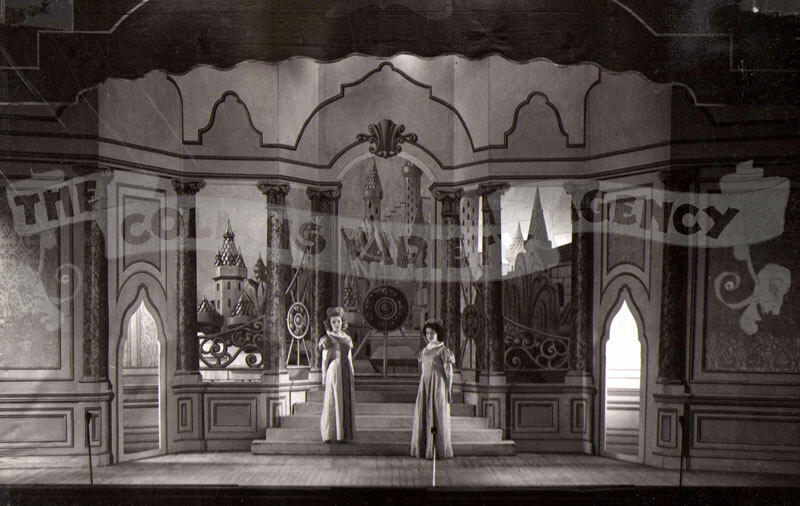 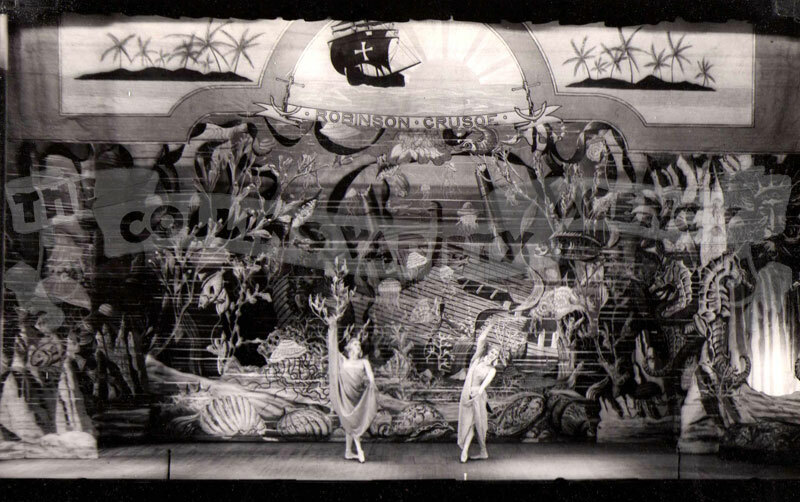 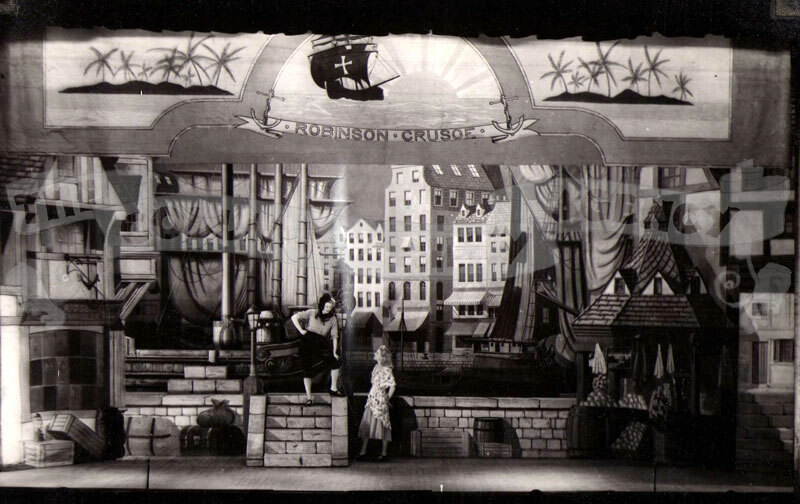 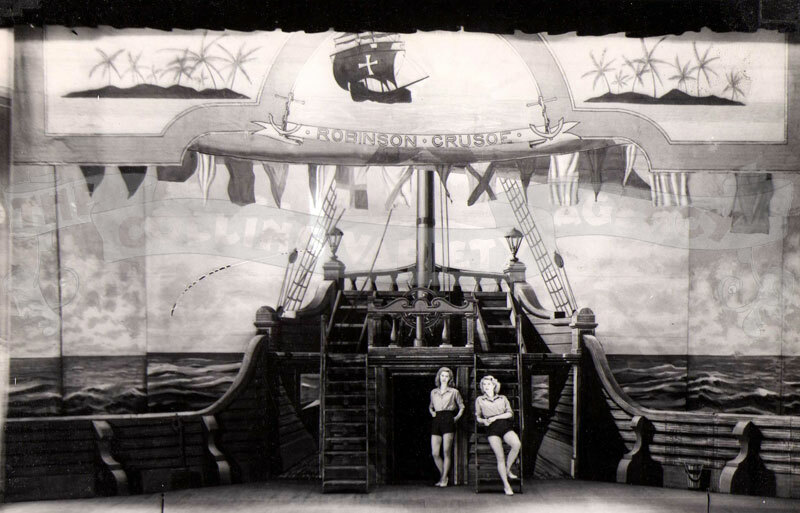 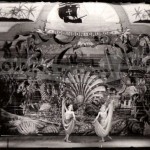 ‘Sinbad the Sailor’ starring Dave Willis, filmed at the Glasgow Pavilion Theatre during it’s 1936-1937 run. 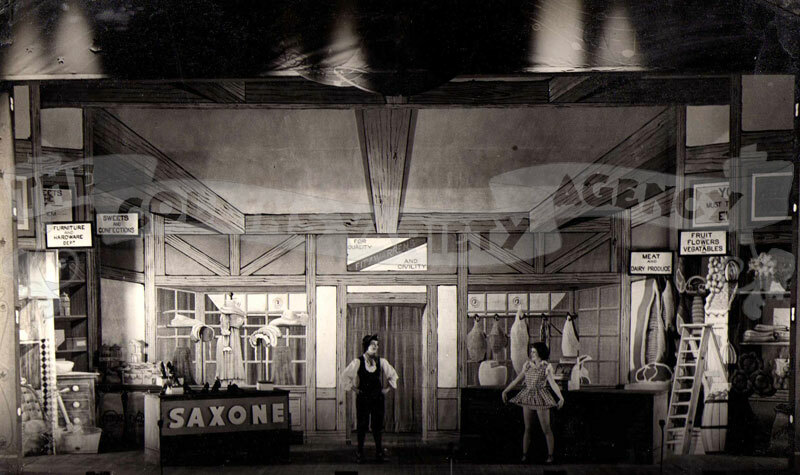 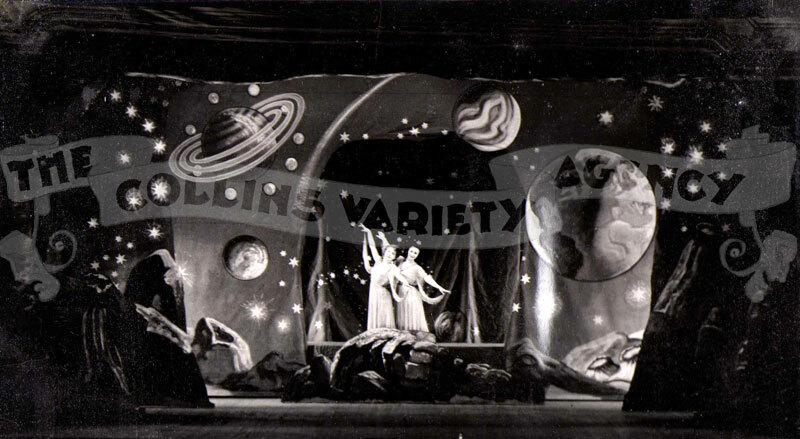 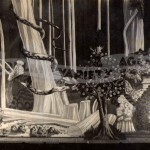 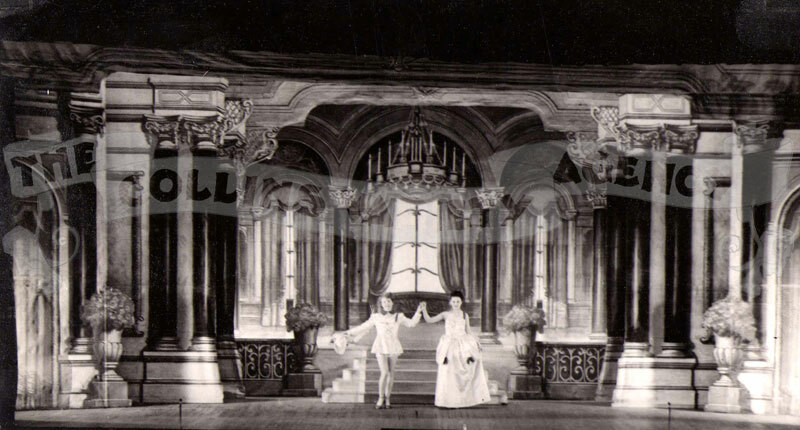 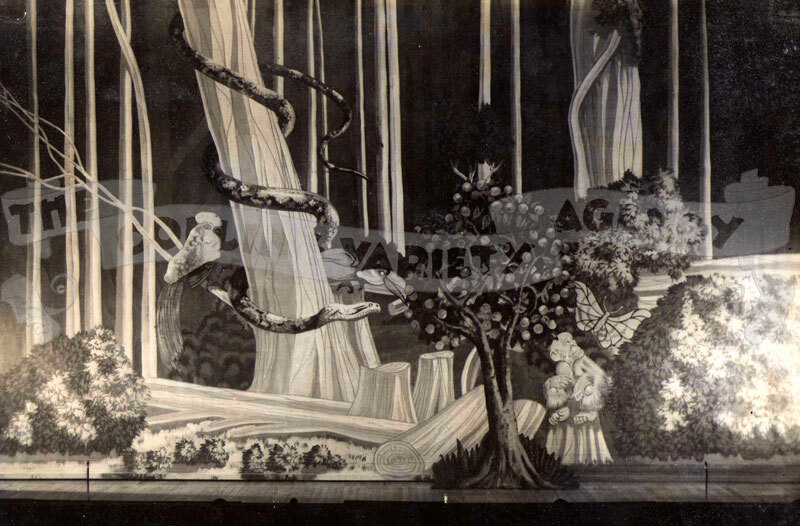 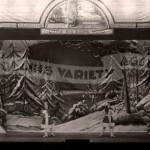 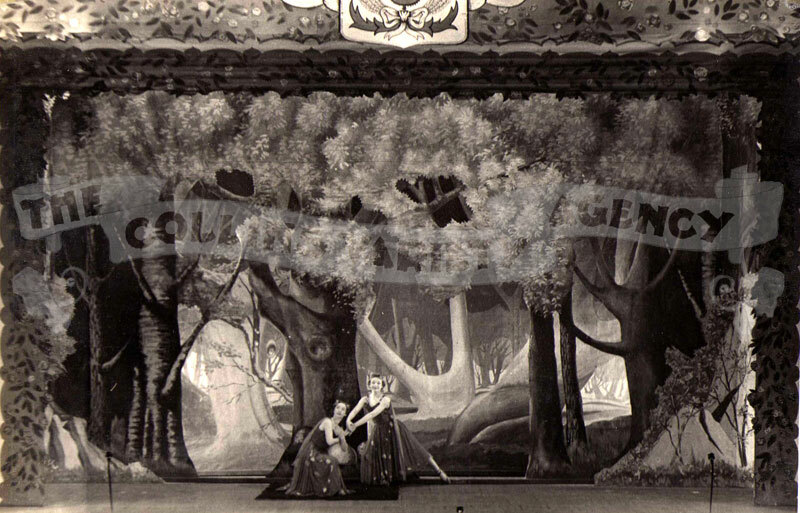 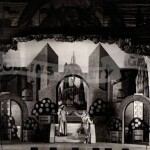 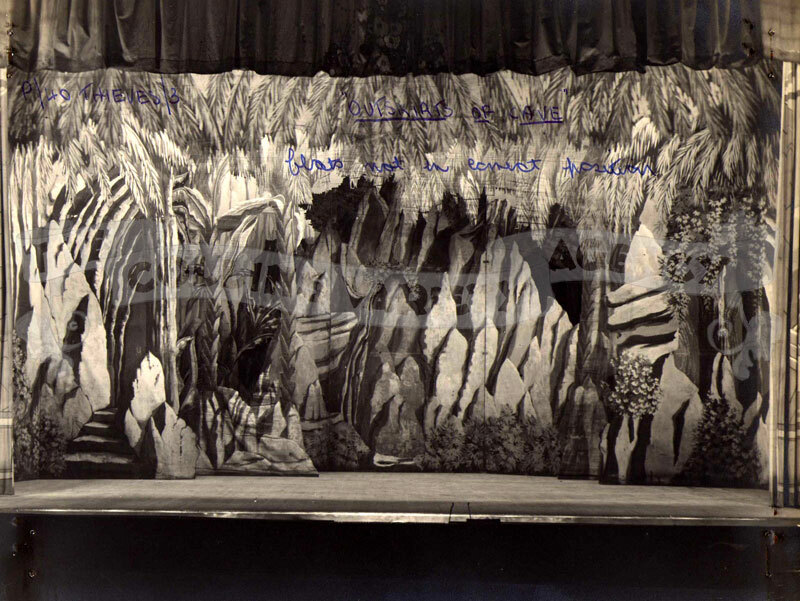 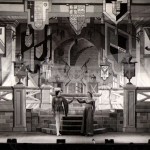 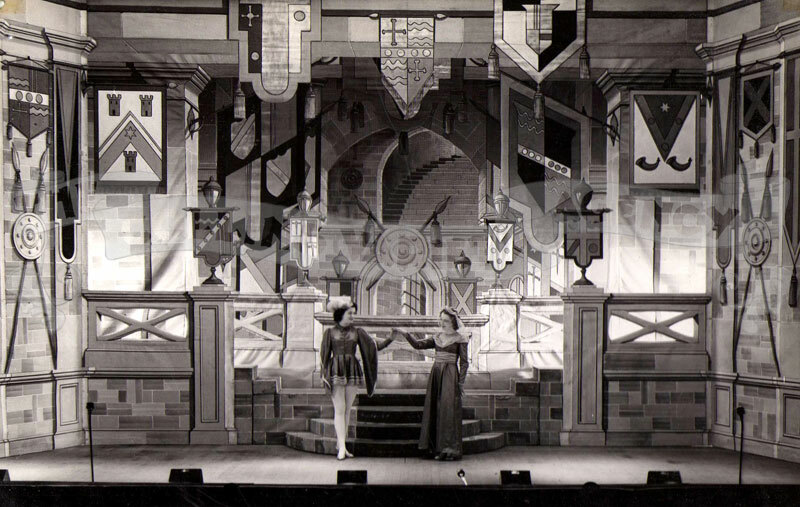 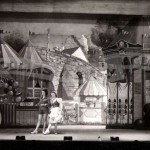 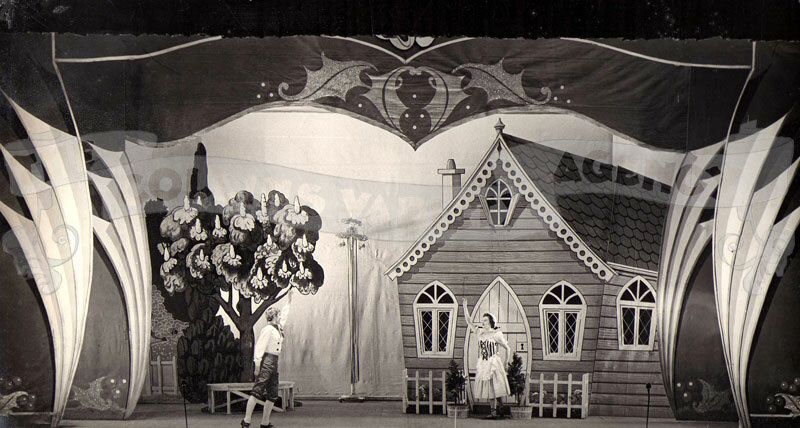 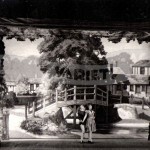 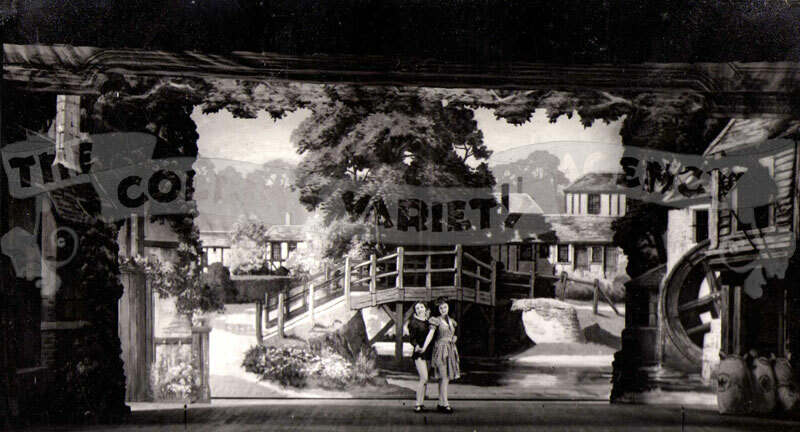 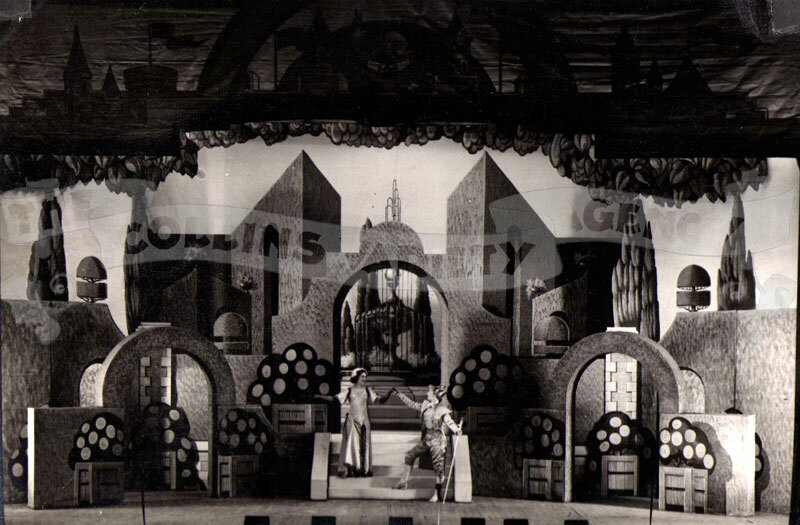 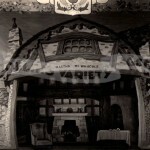 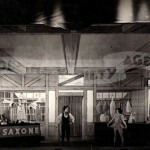 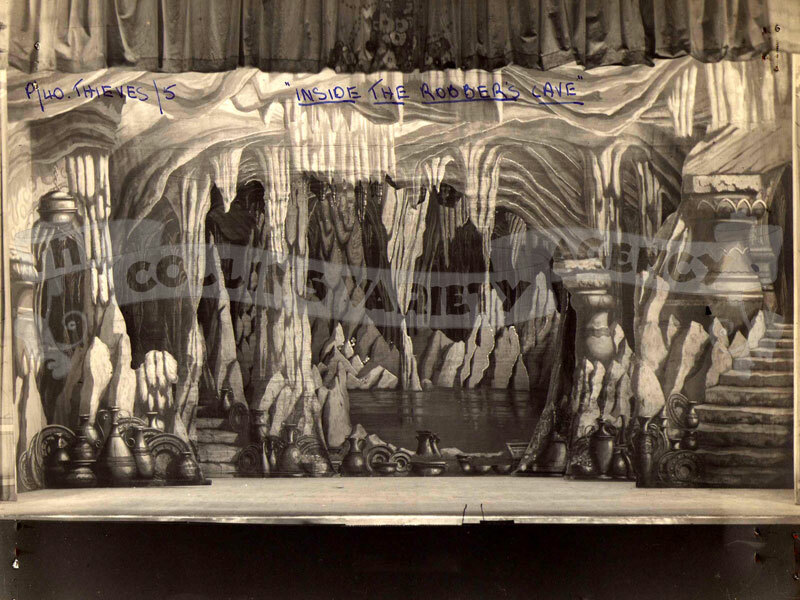 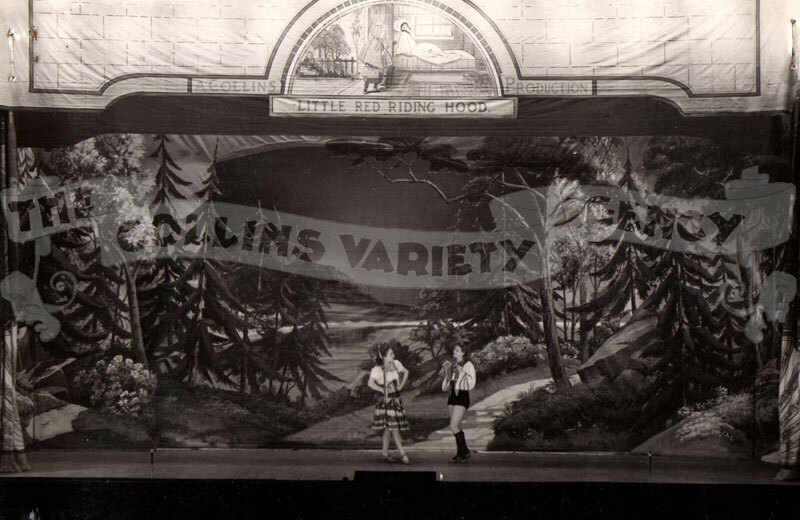 ‘Babes in the Wood’ starring Harry Gordon, filmed at the Edinburgh Theatre Royal during it’s 1936-1937 run. 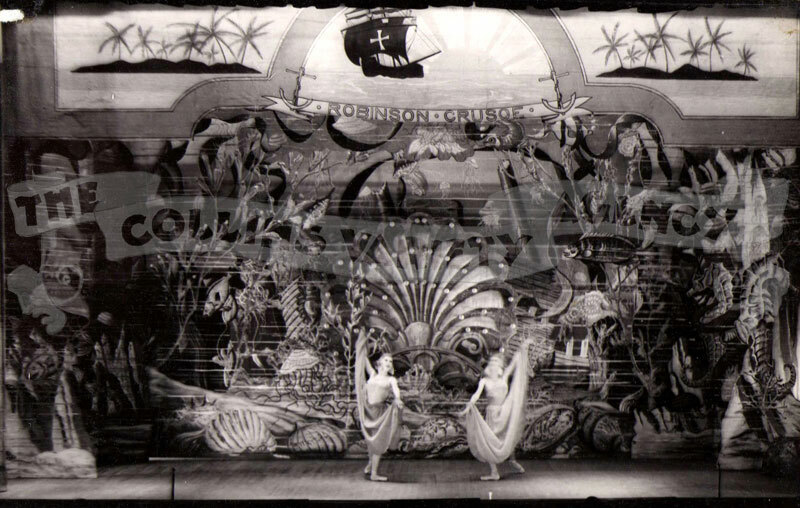 ‘Forty Thieves’ starring GH Elliot & Jack Anthony, filmed at the Glasgow Pavilion Theatre during it’s 1937-1938 run. 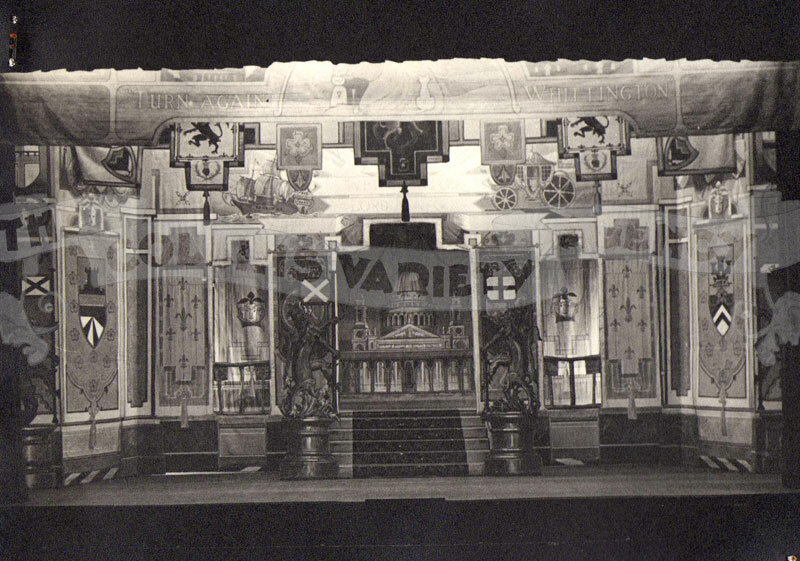 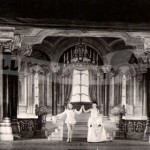 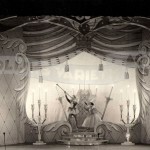 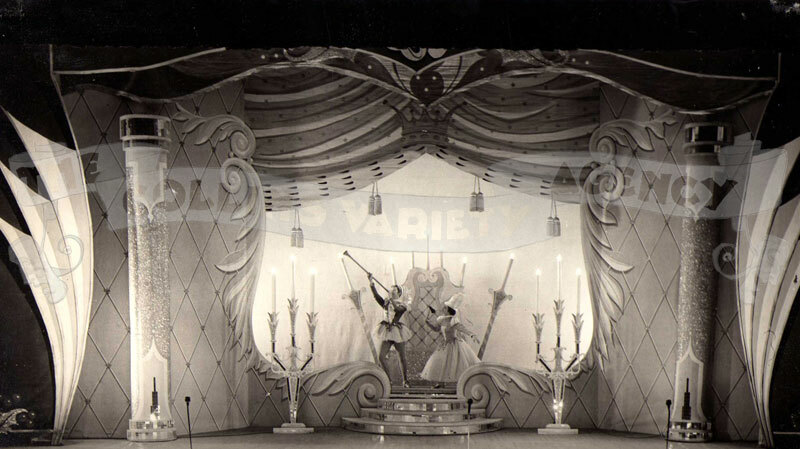 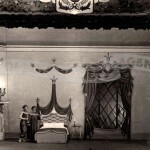 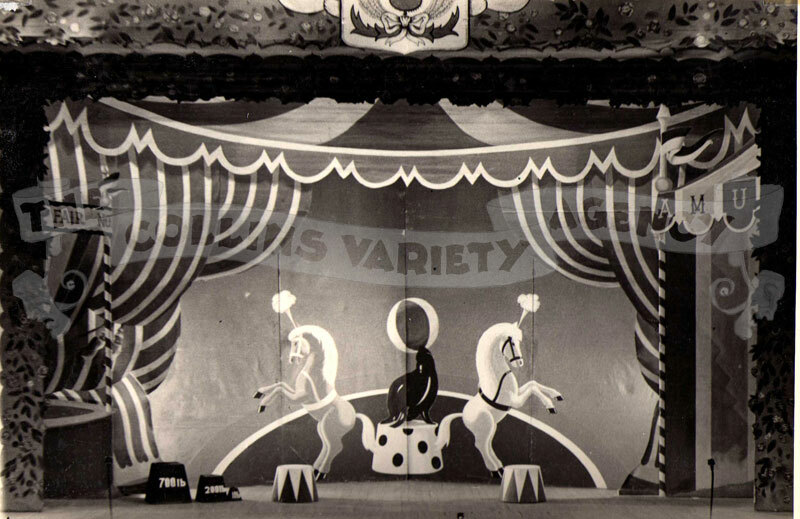 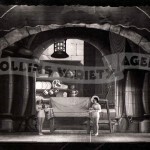 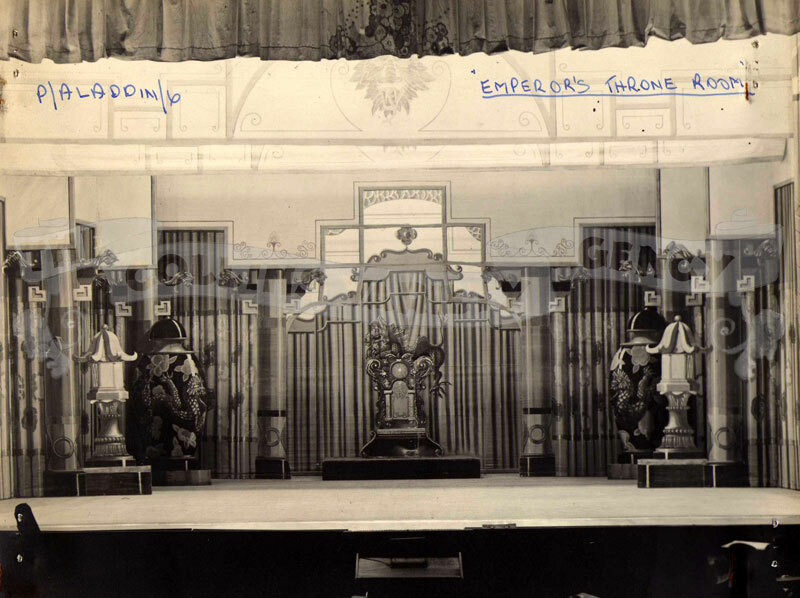 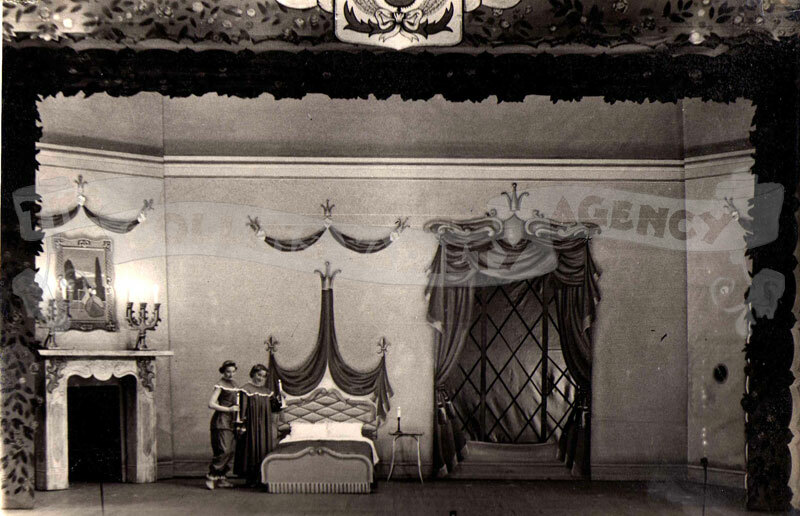 ‘The Queen of Hearts’ starring Florrie Forde, filmed at the Edinburgh Theatre Royal during it’s 1937-1938 run. 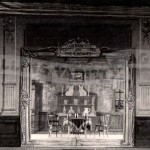 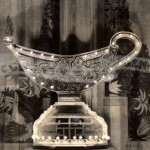 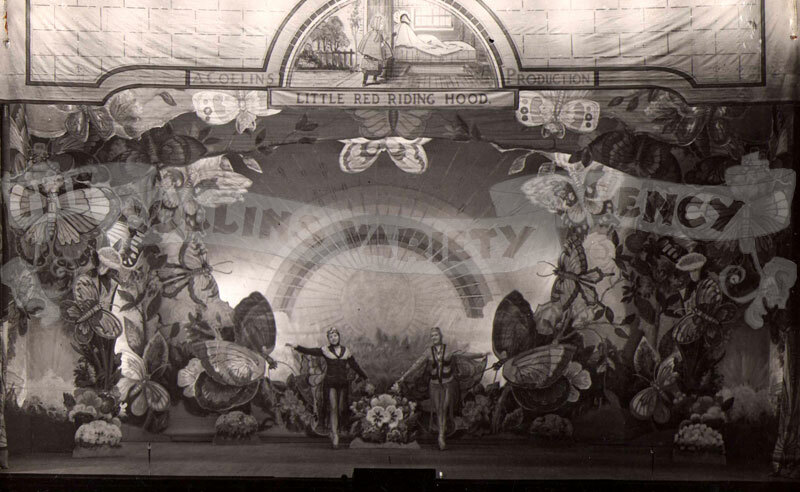 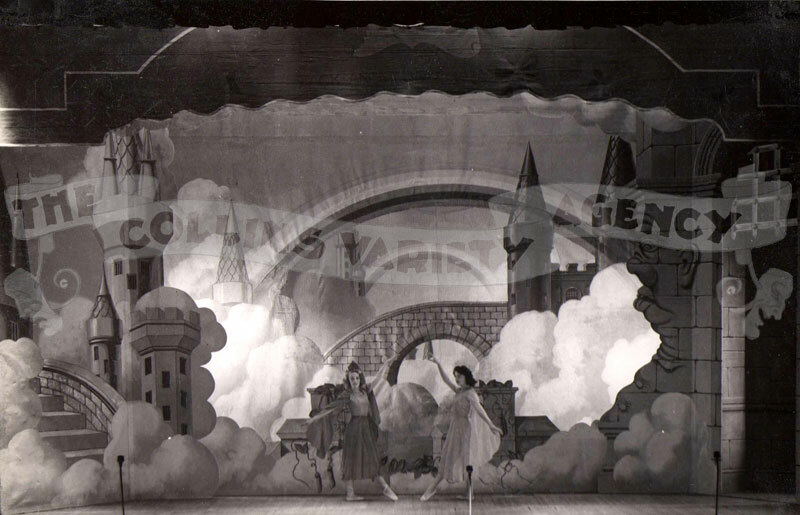 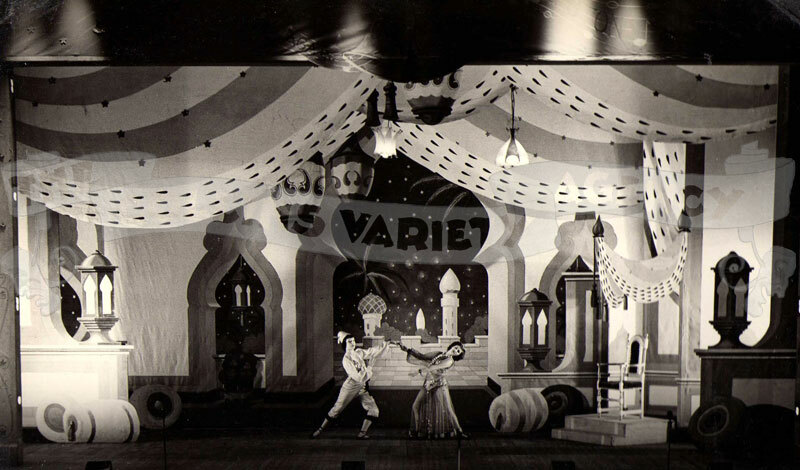 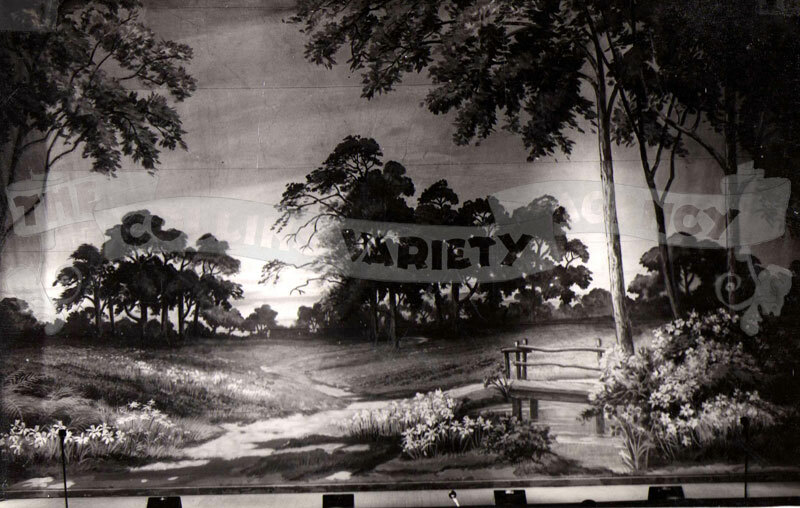 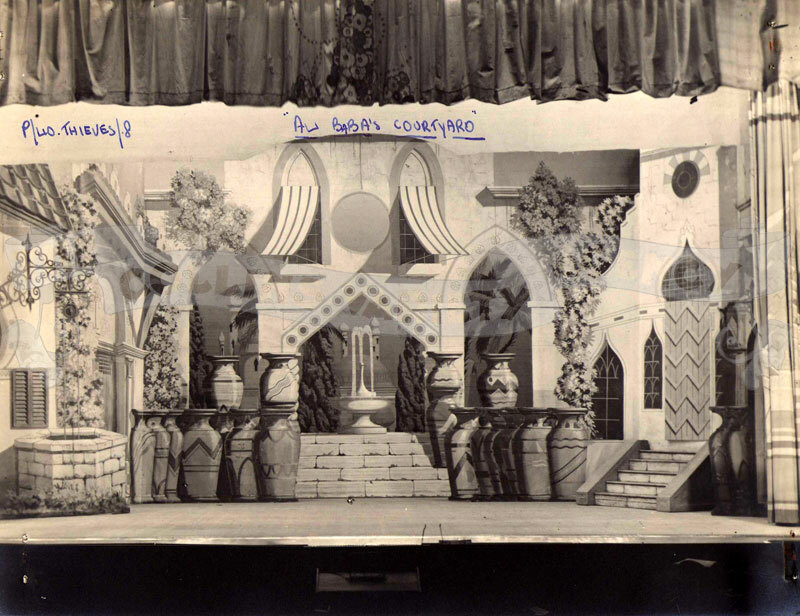 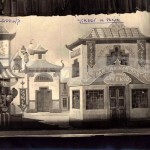 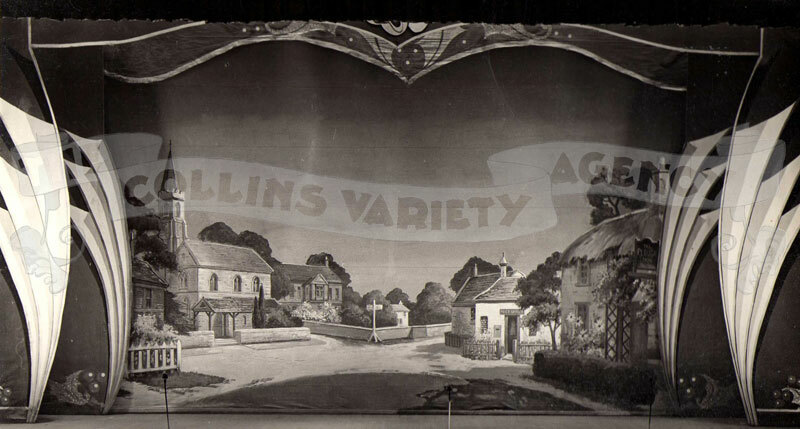 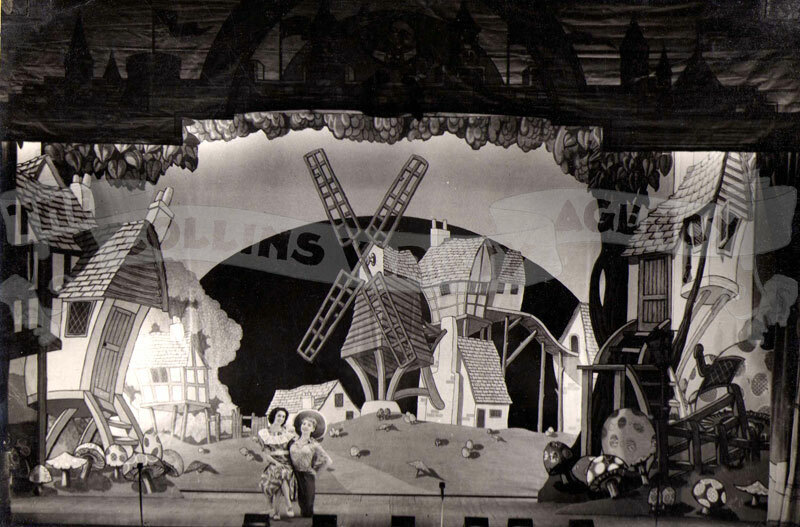 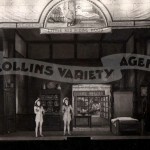 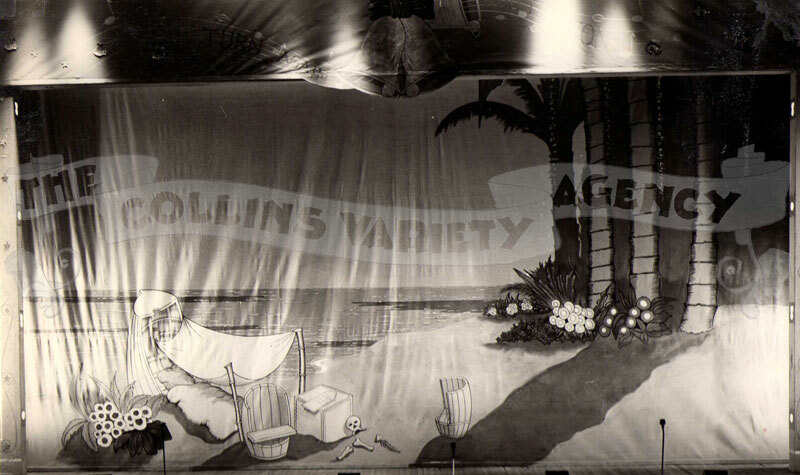 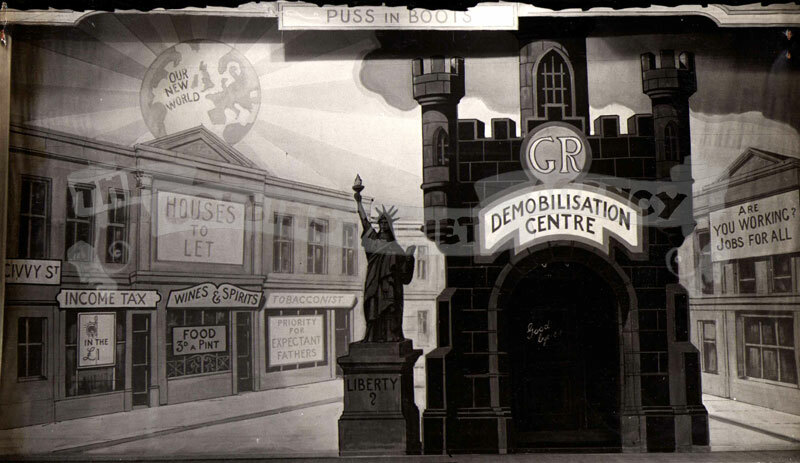 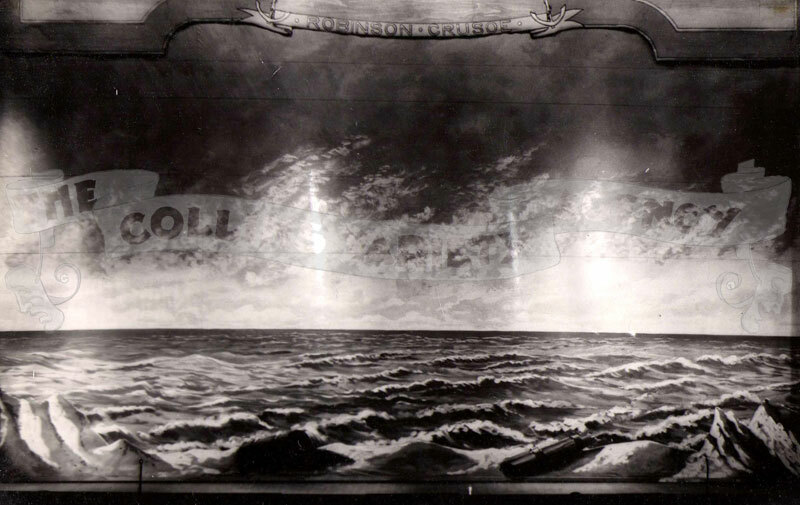 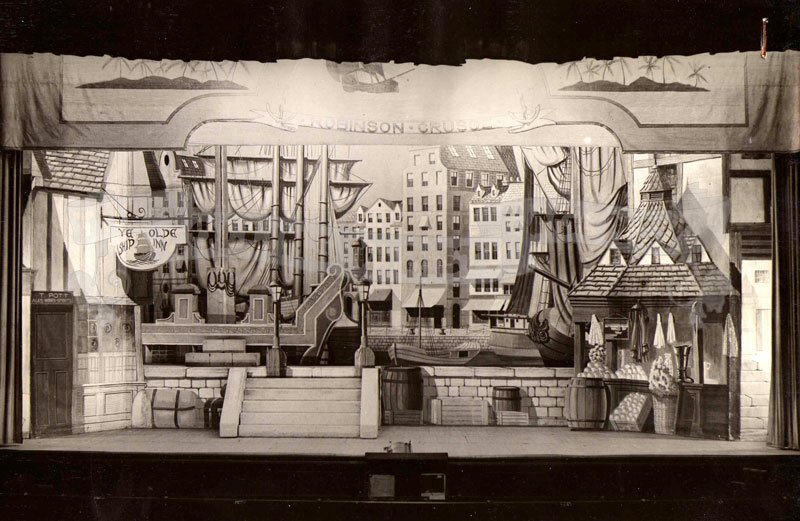 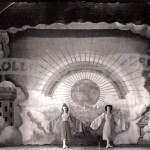 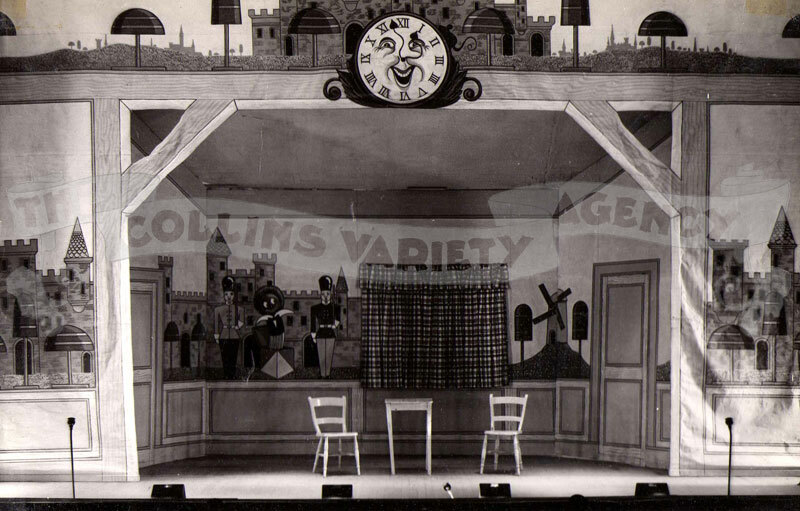 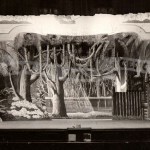 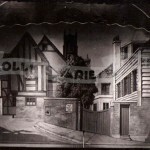 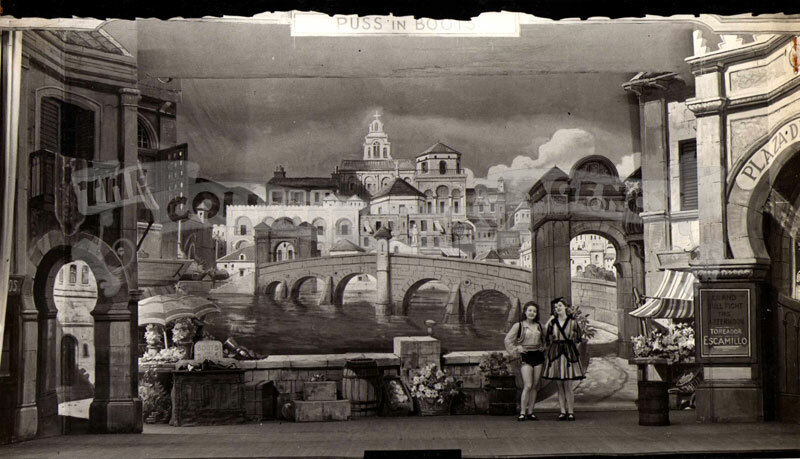 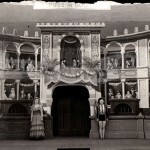 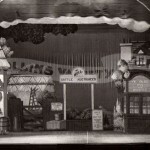 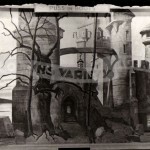 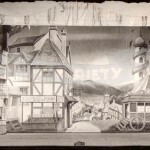 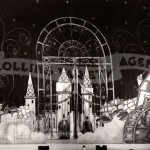 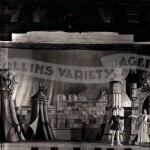 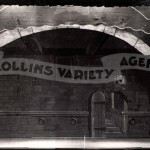 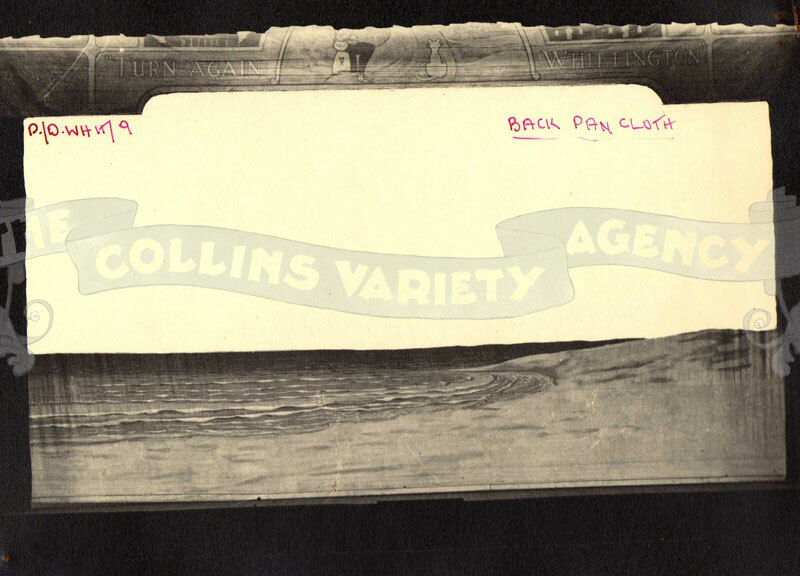 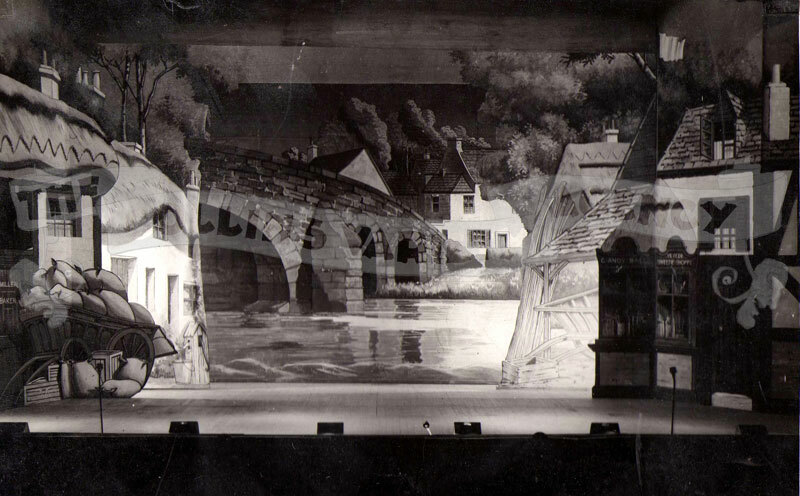 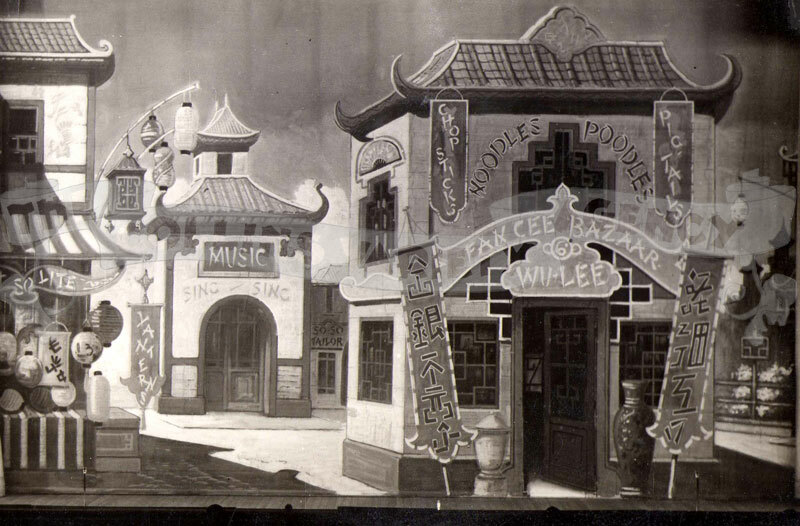 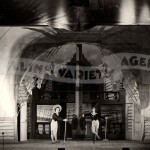 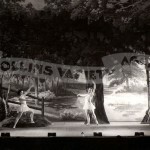 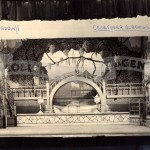 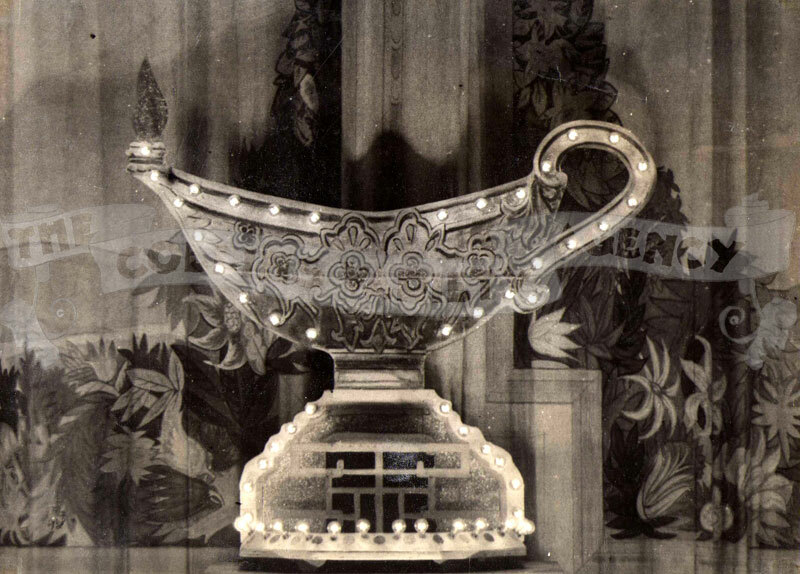 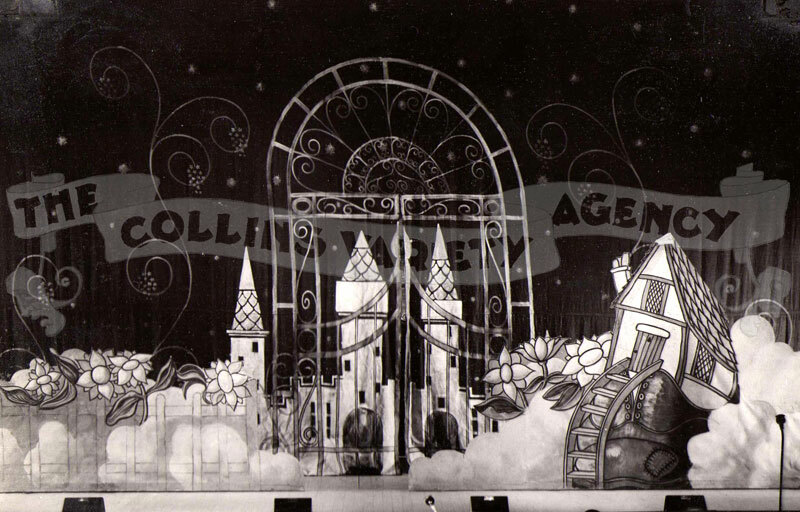 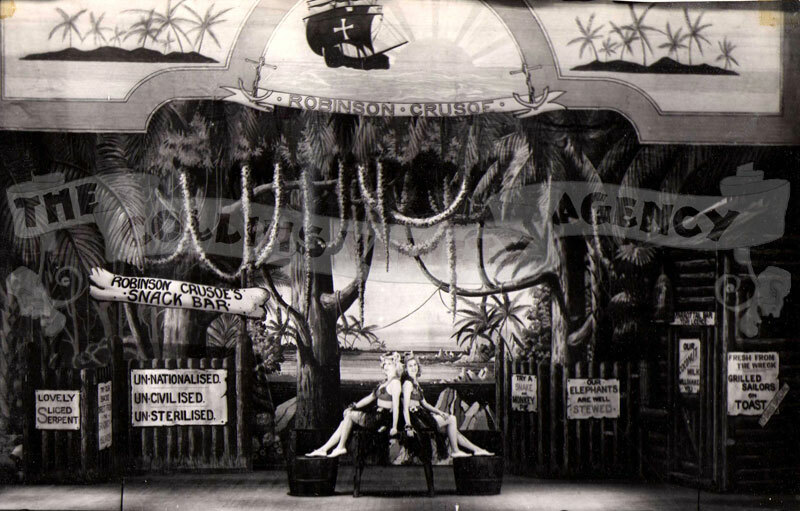 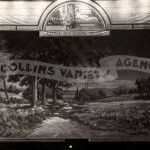 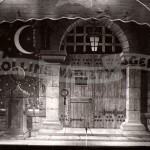 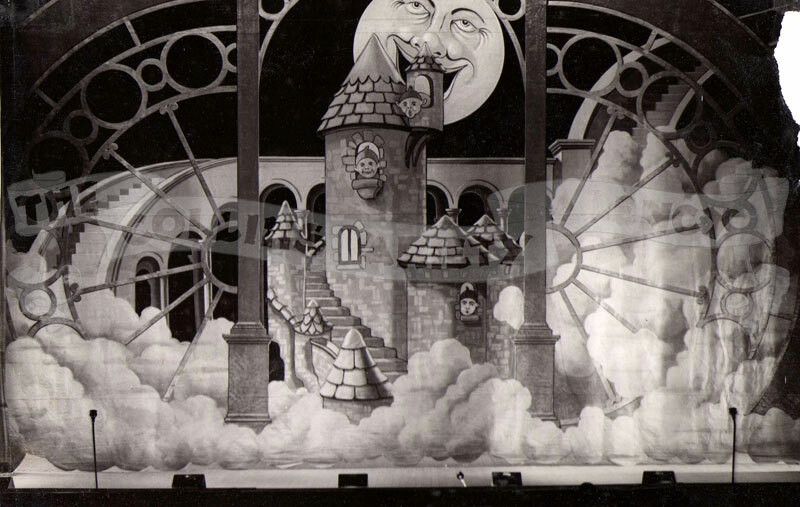 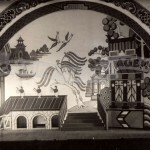 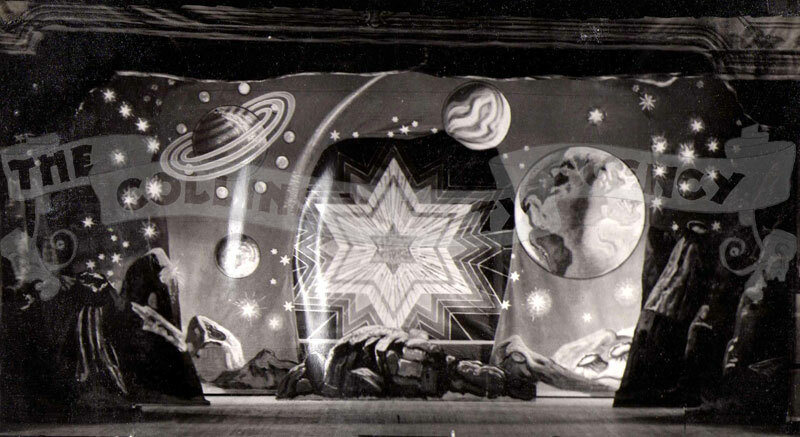 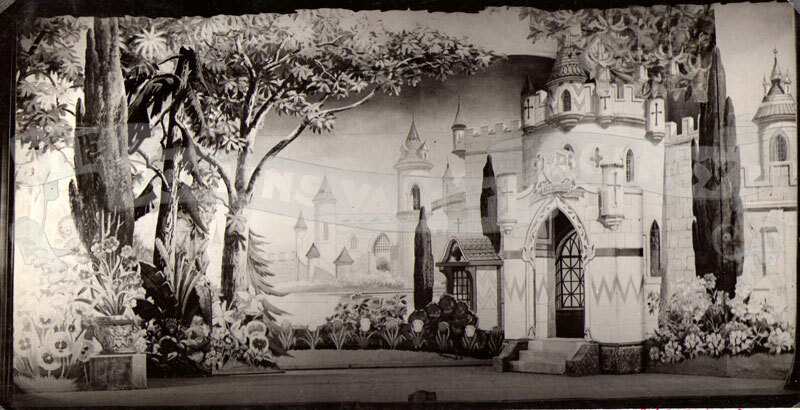 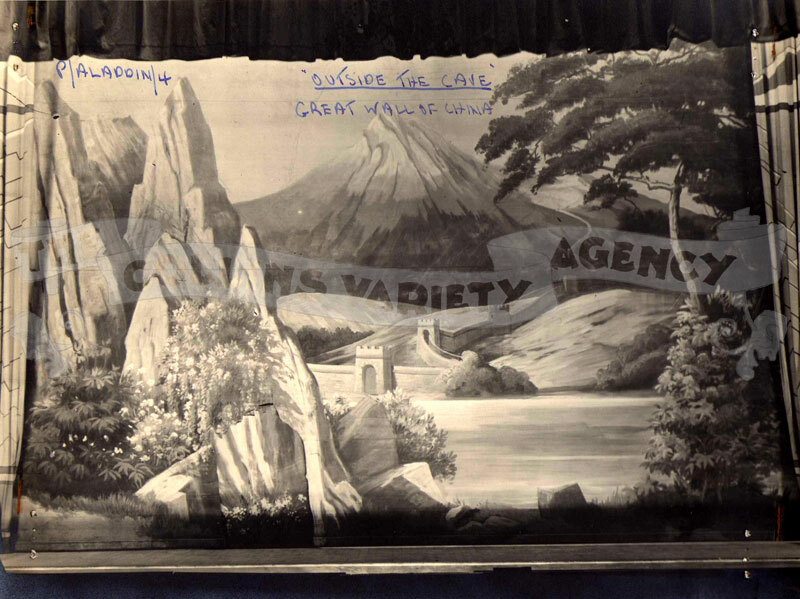 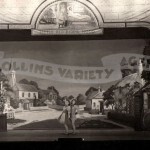 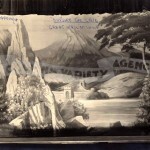 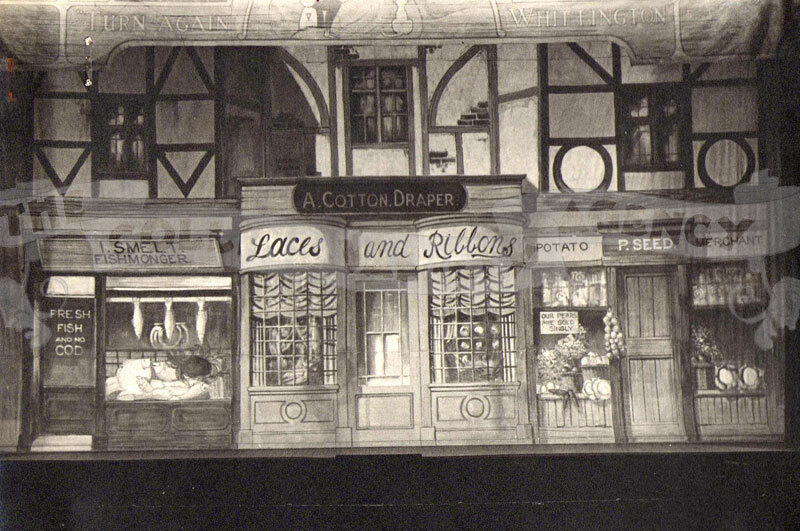 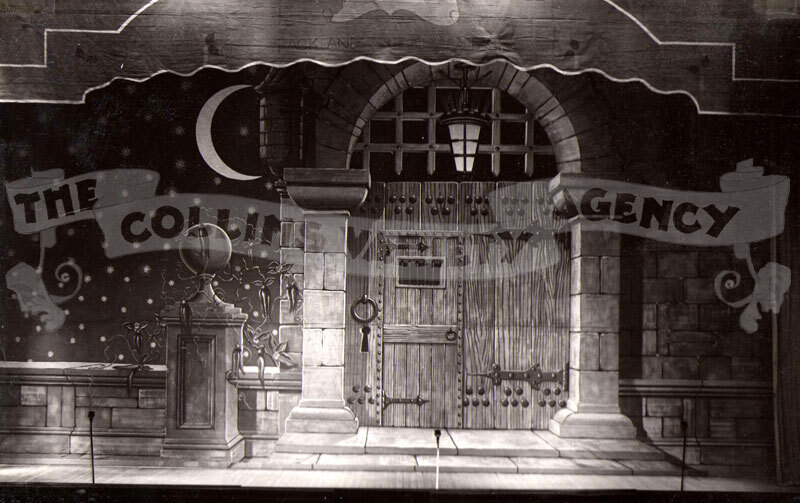 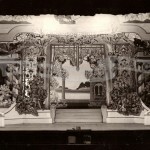 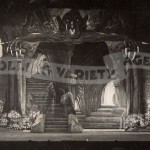 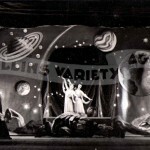 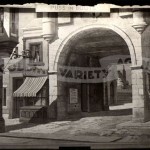 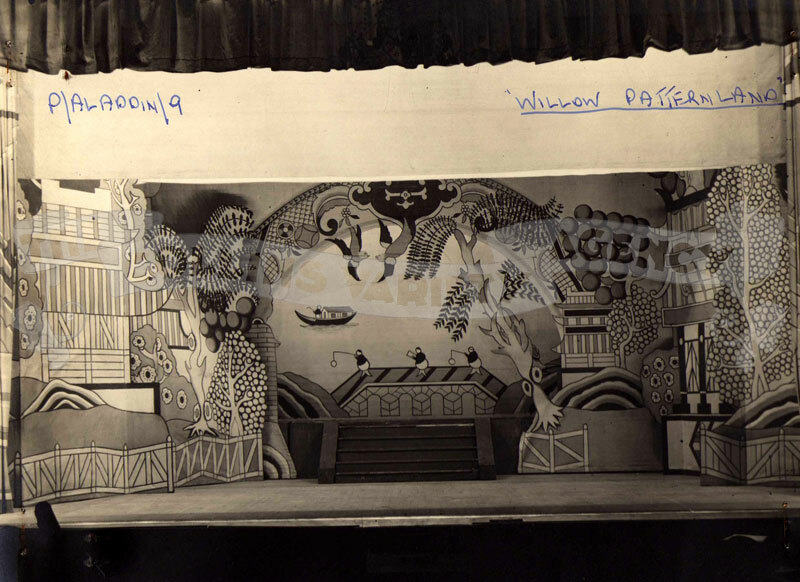 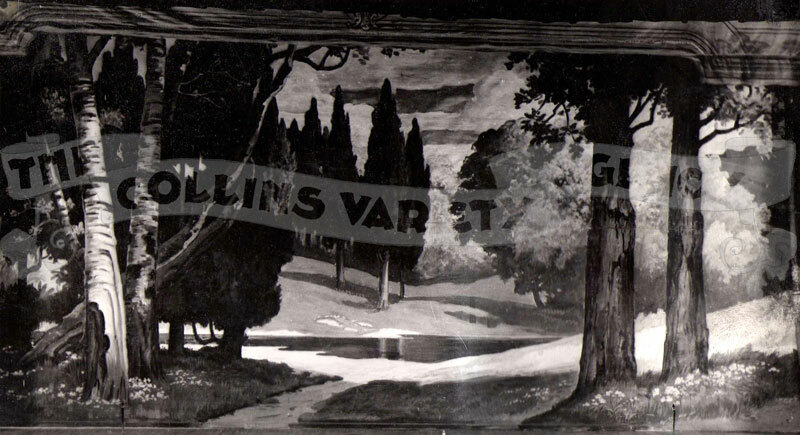 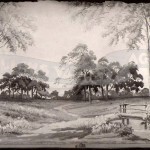 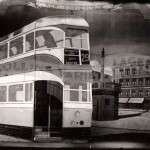 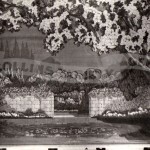 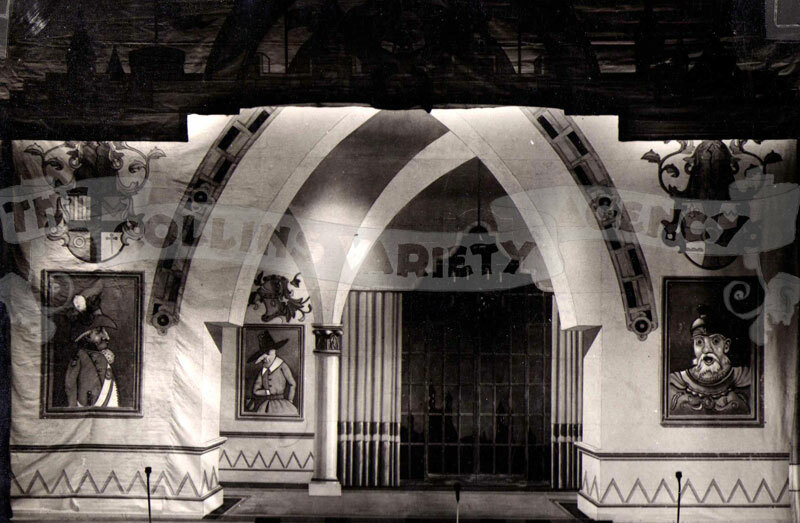 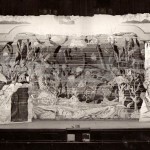 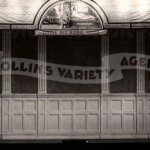 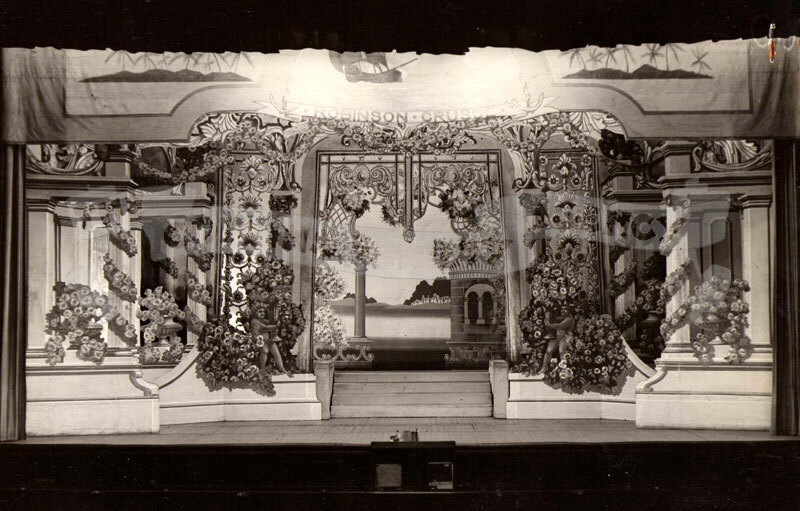 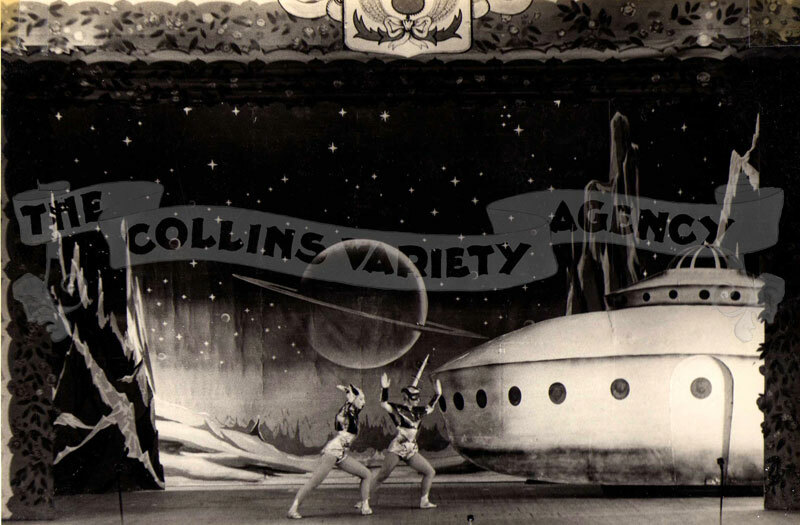 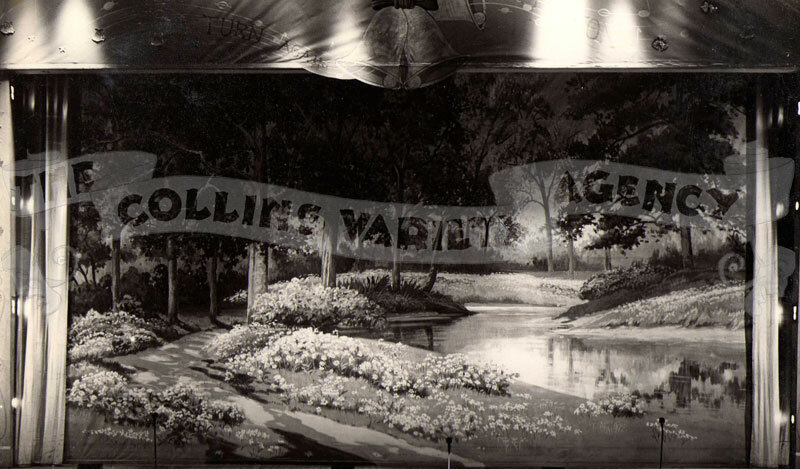 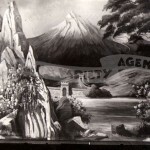 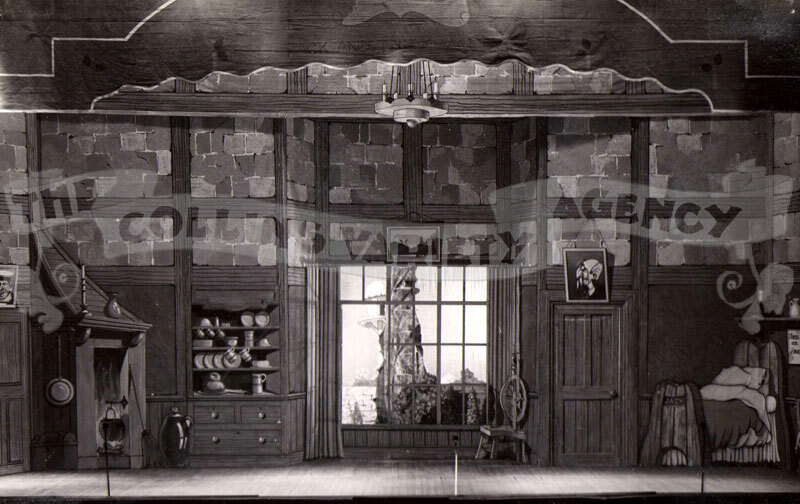 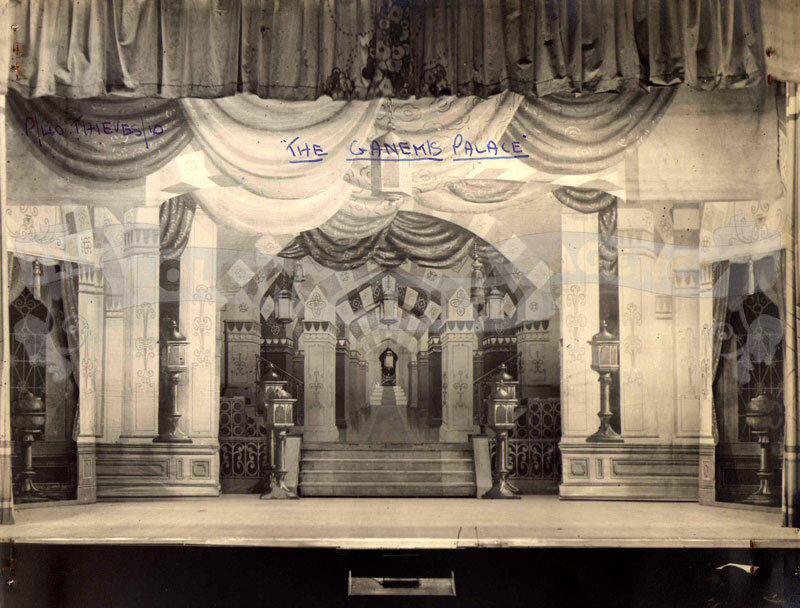 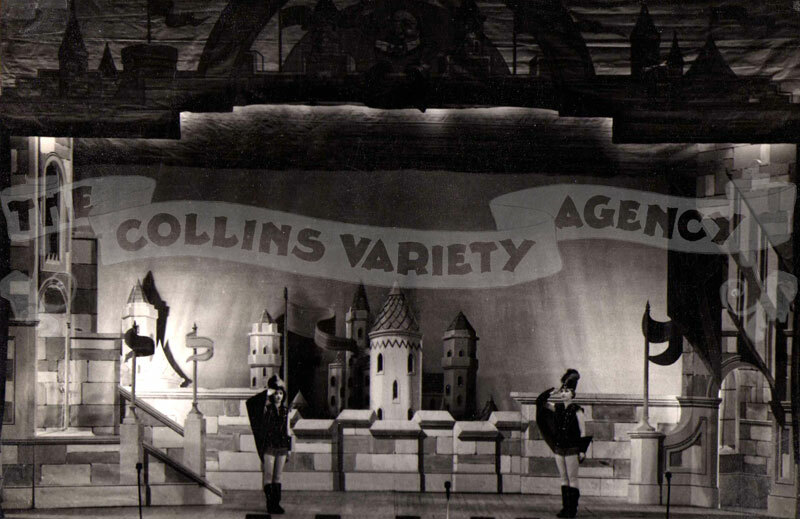 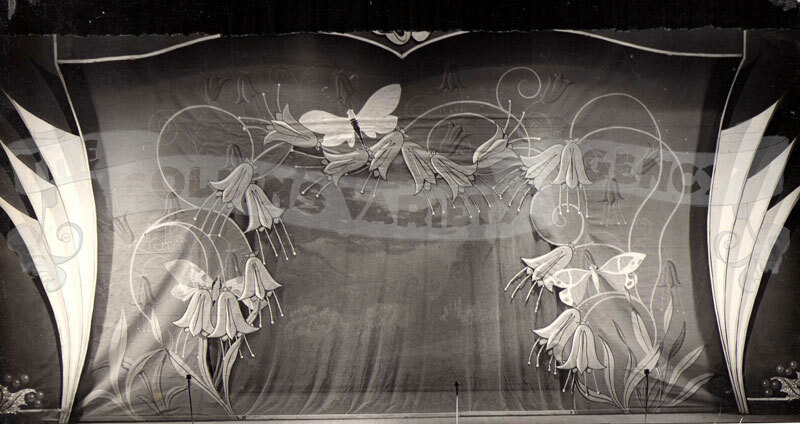 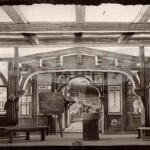 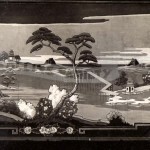 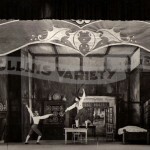 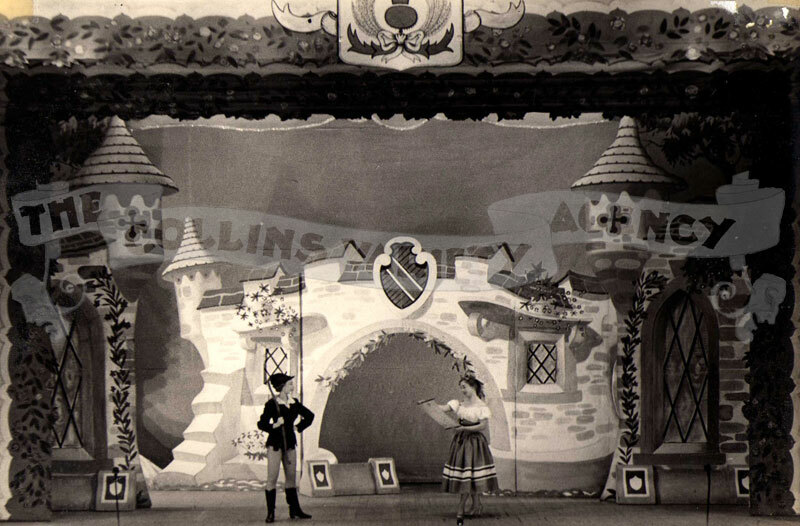 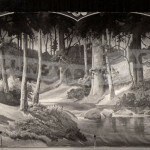 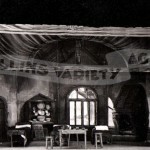 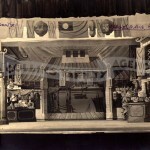 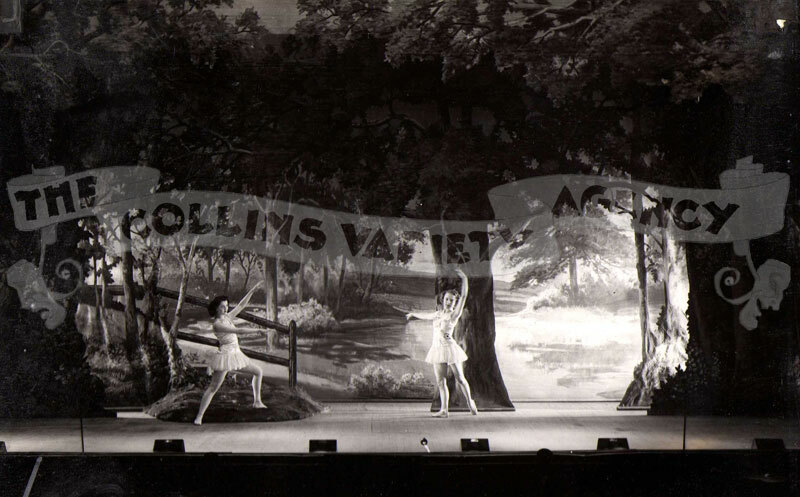 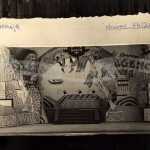 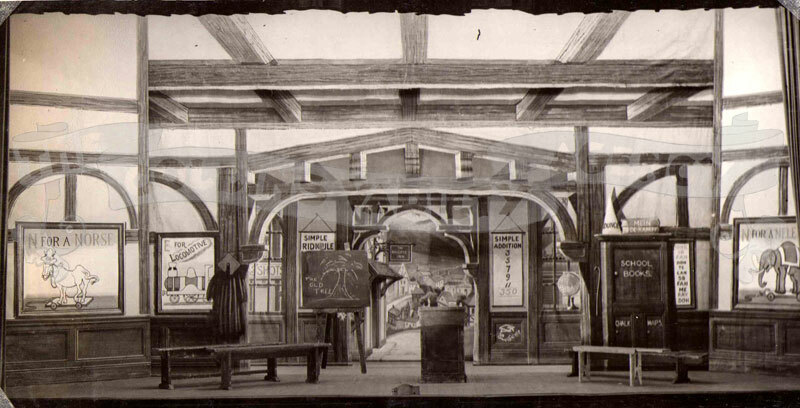 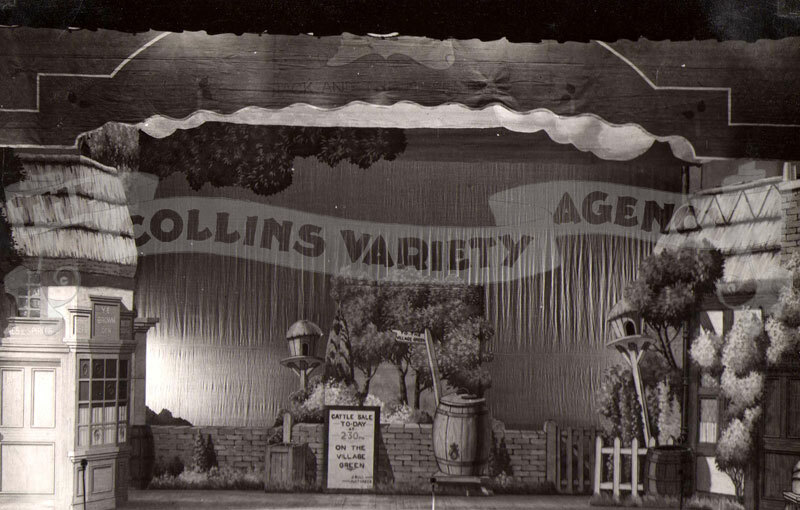 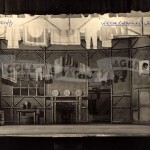 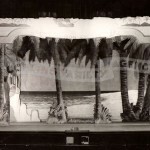 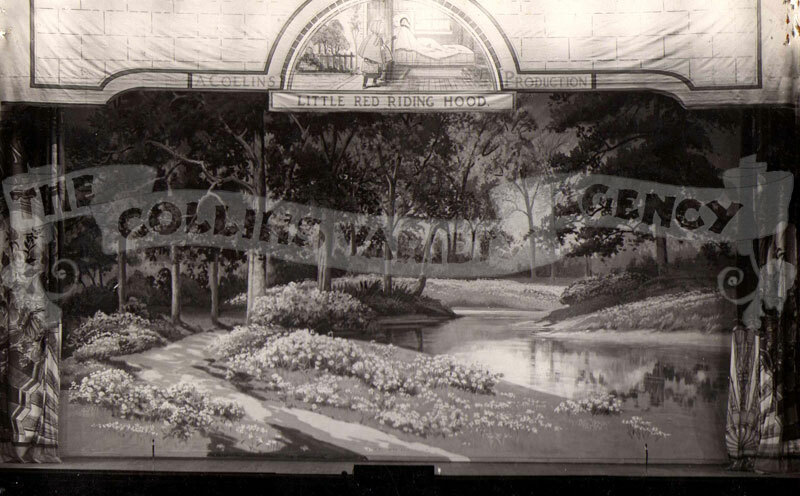 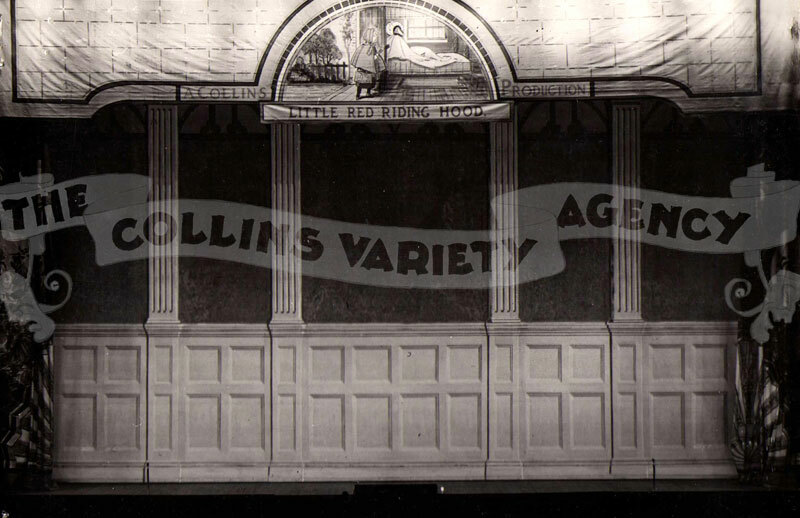 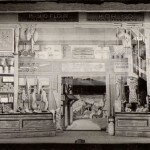 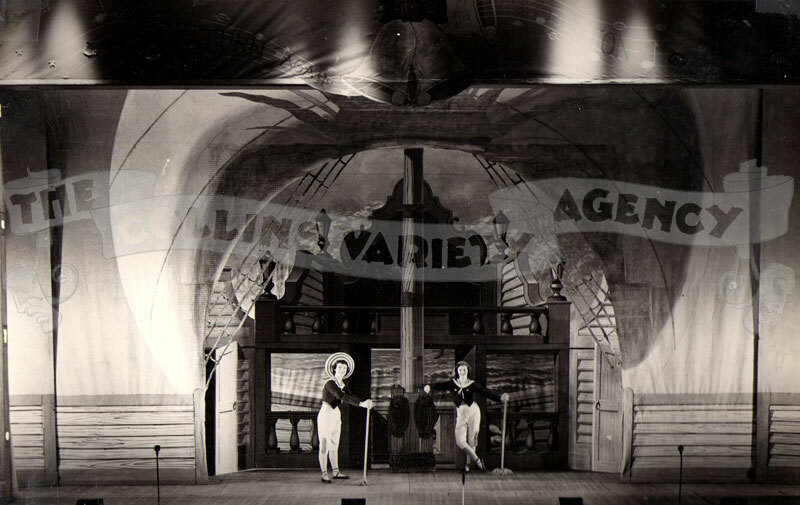 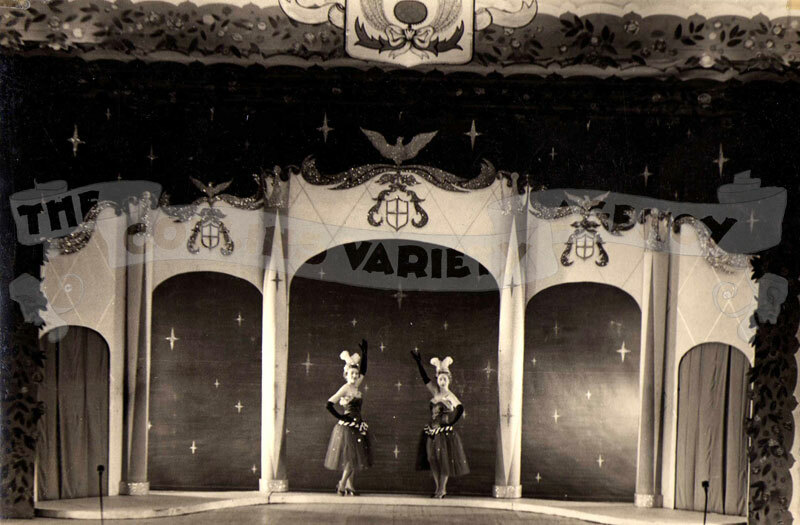 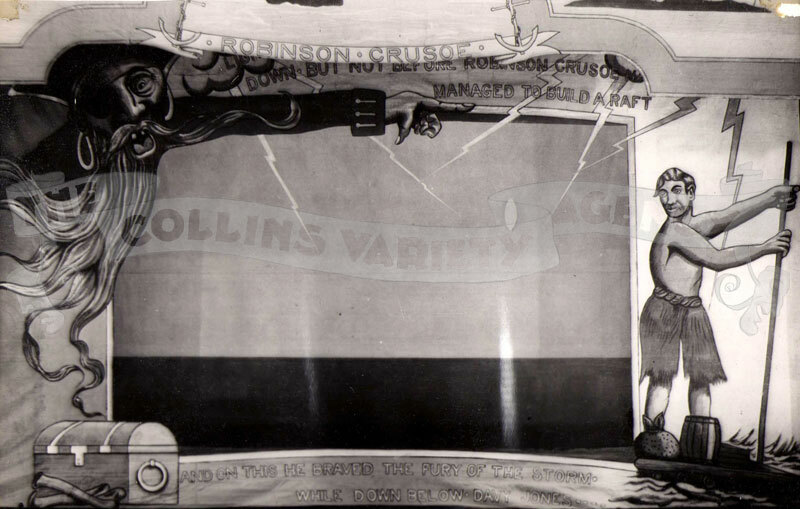 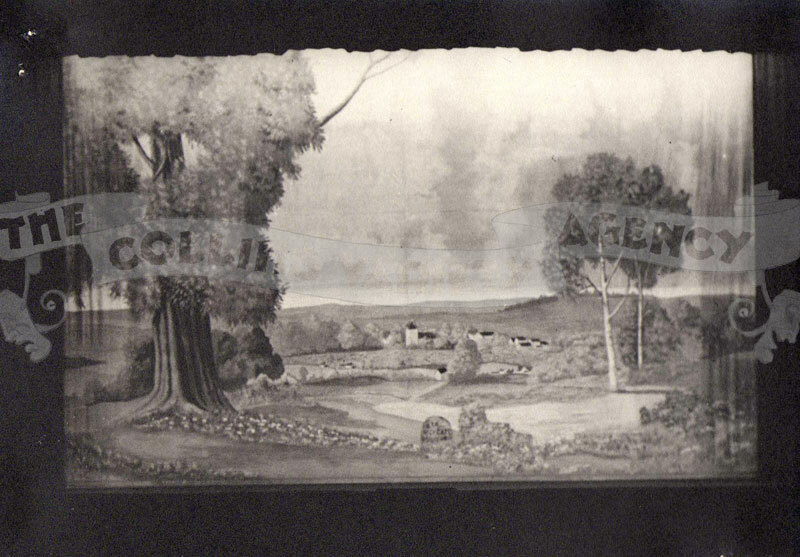 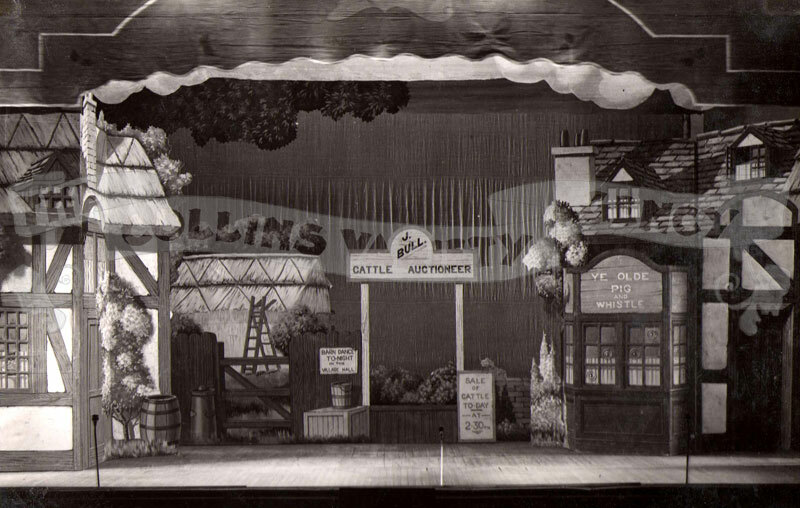 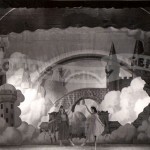 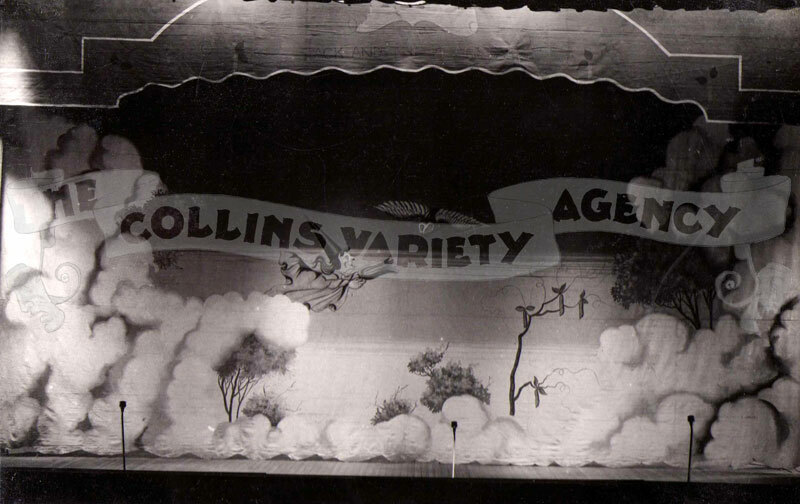 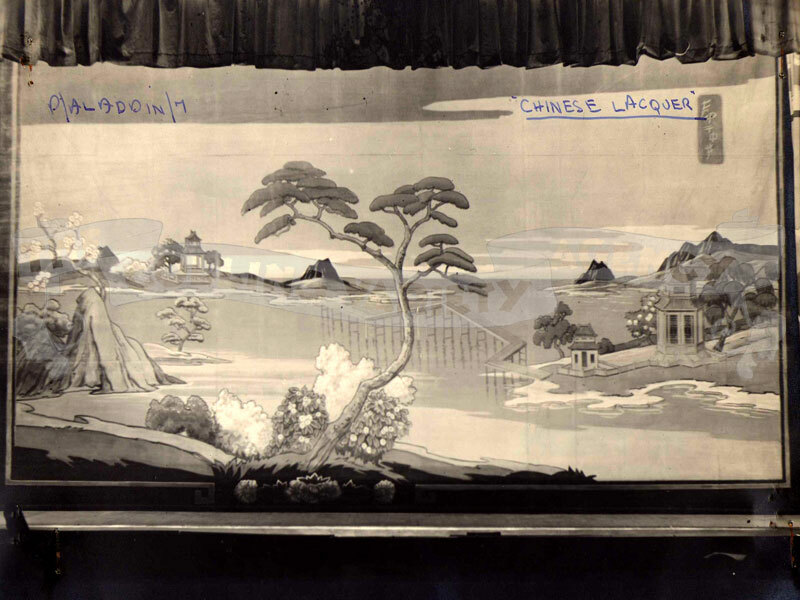 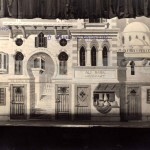 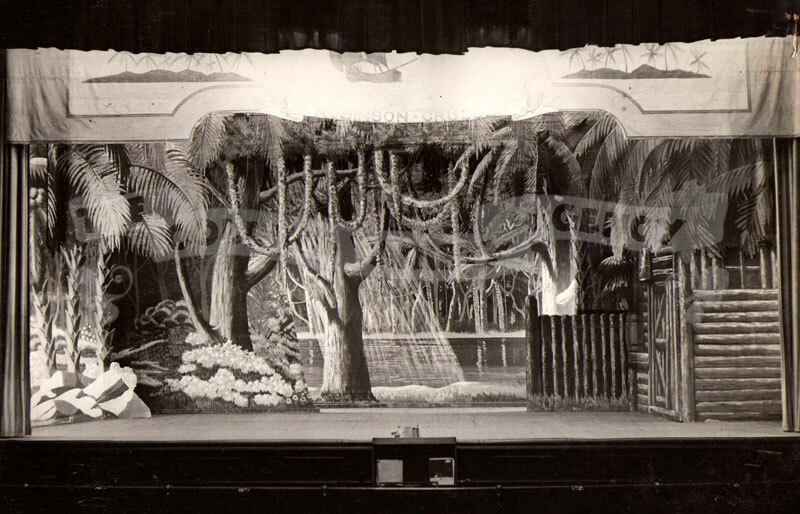 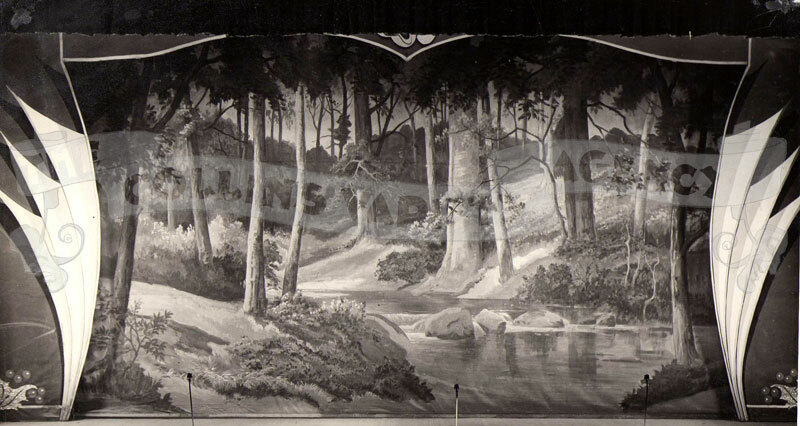 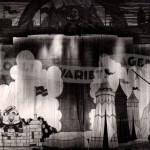 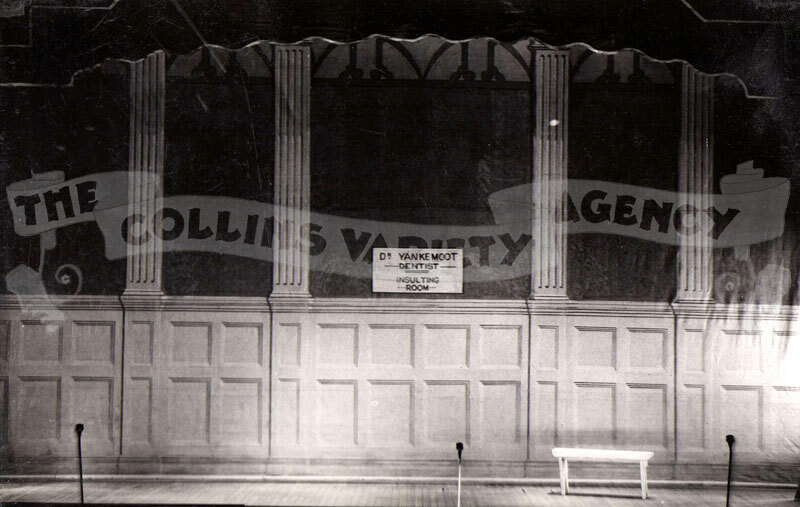 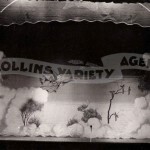 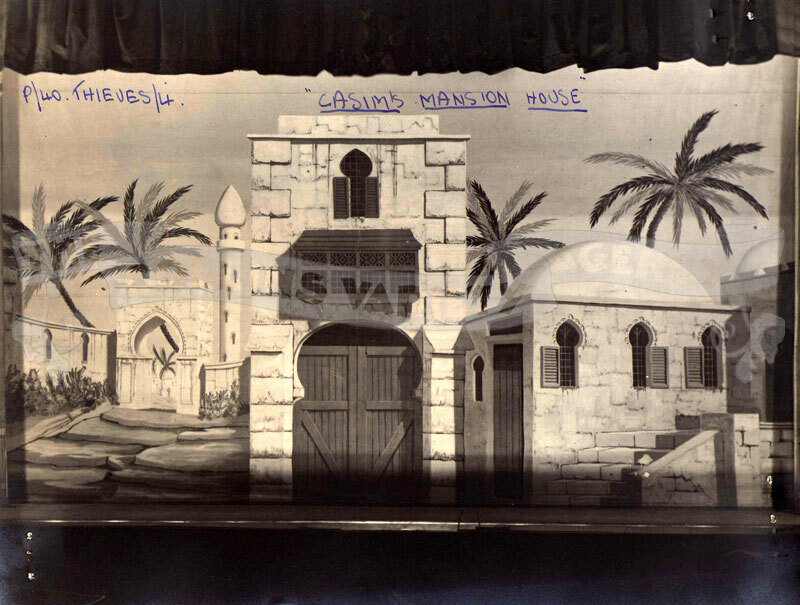 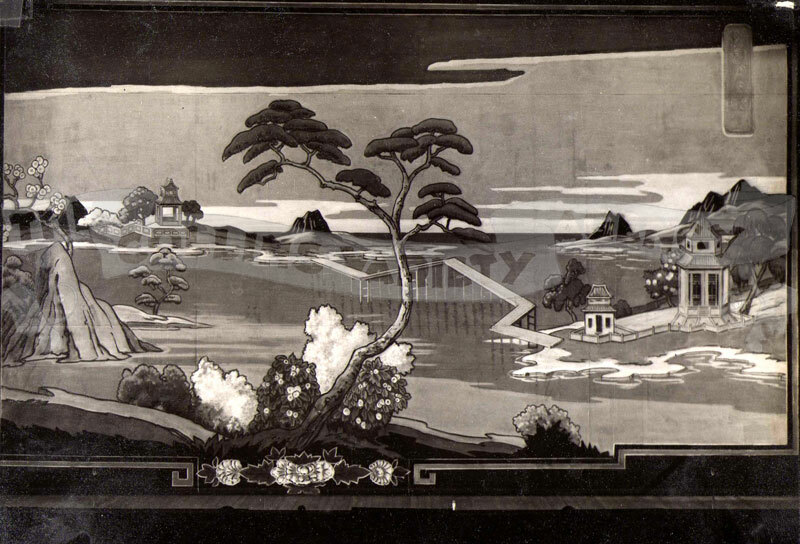 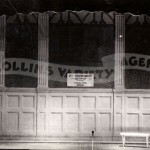 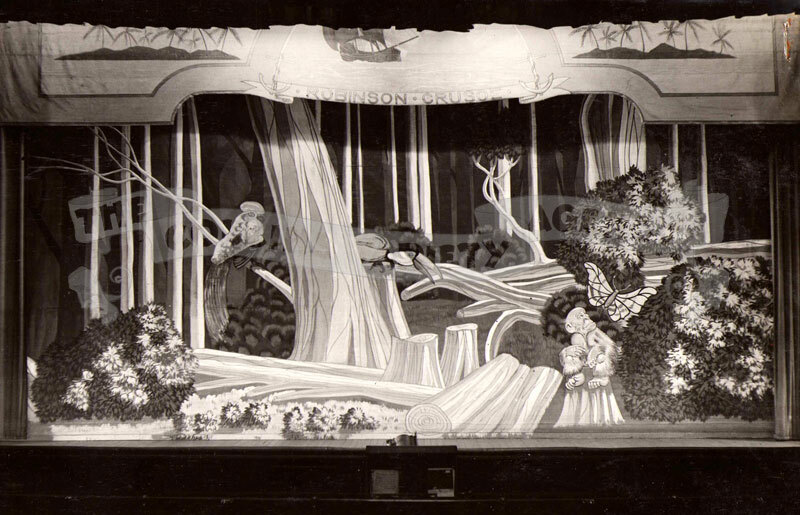 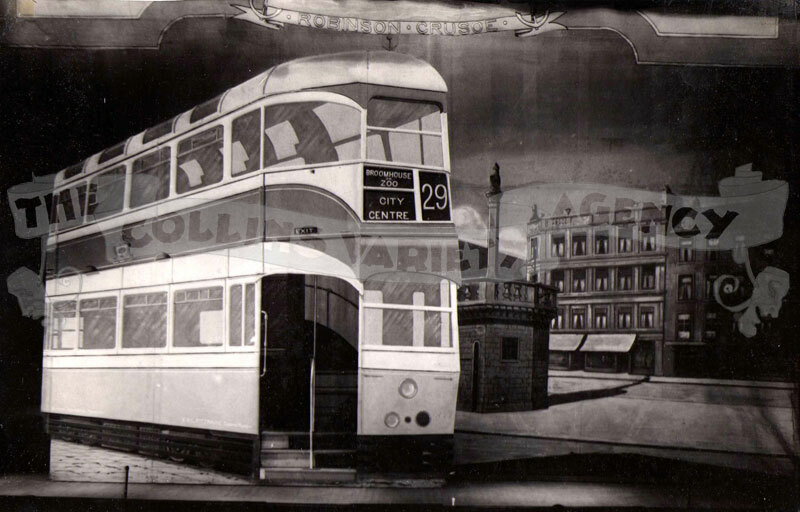 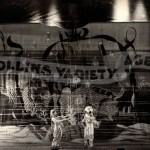 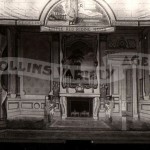 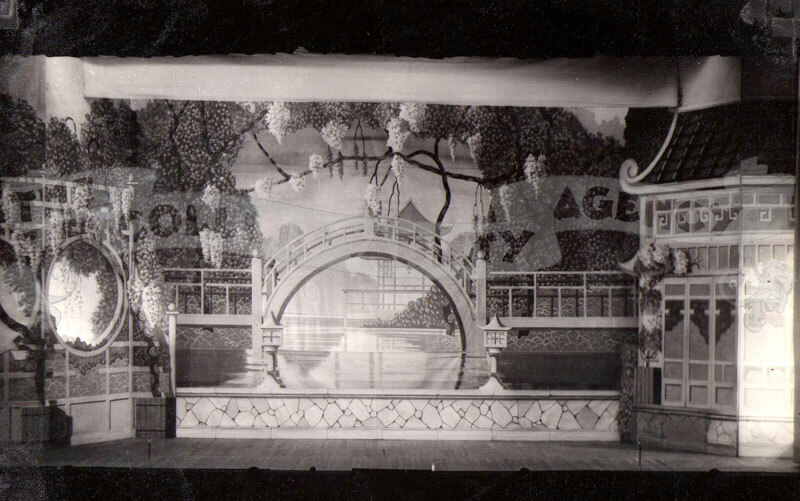 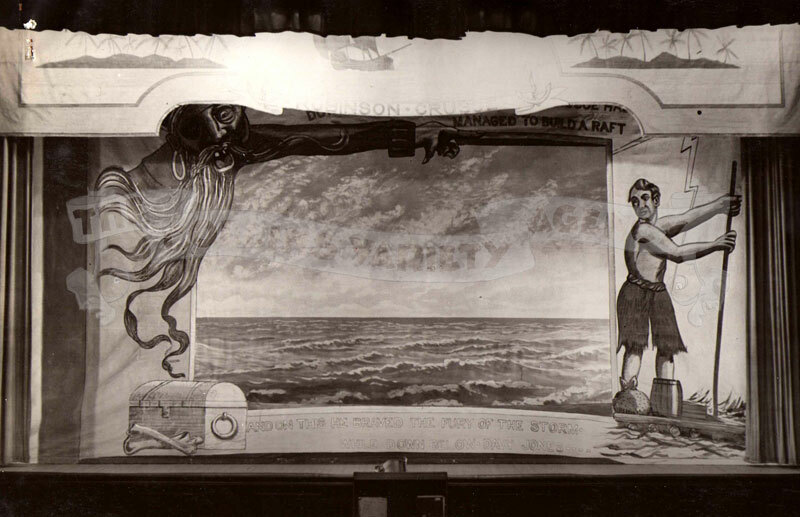 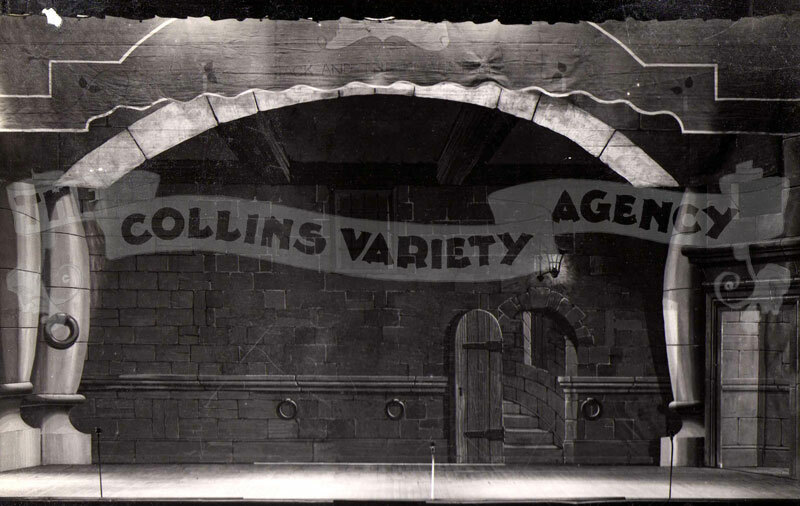 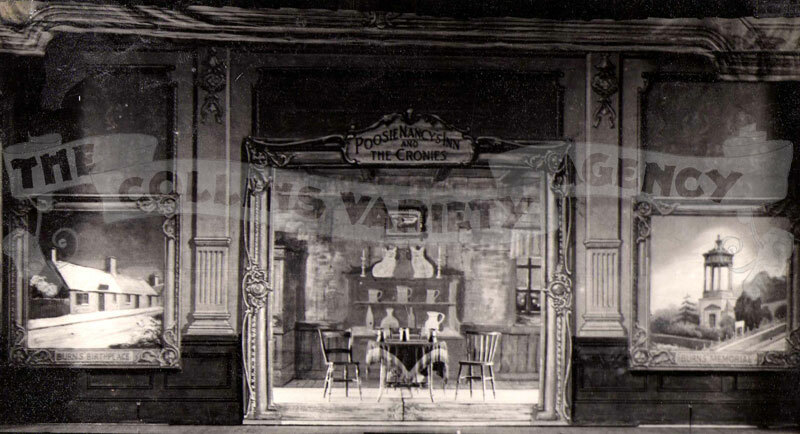 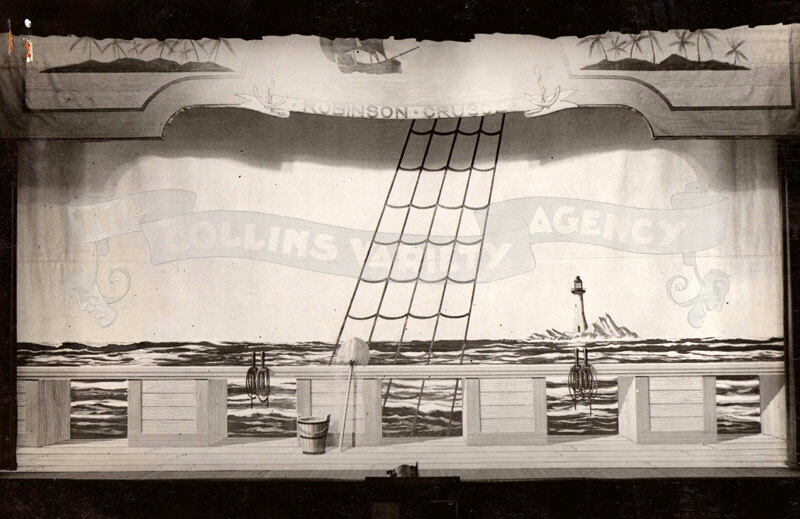 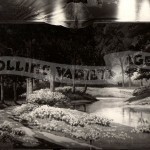 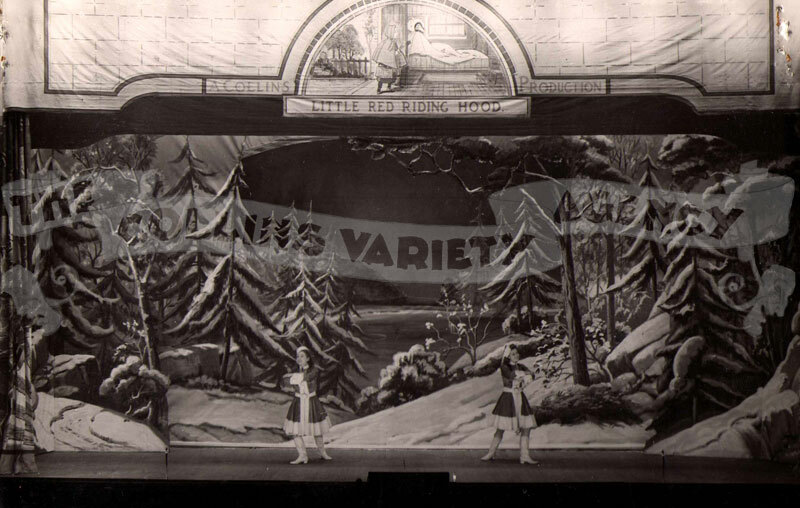 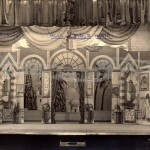 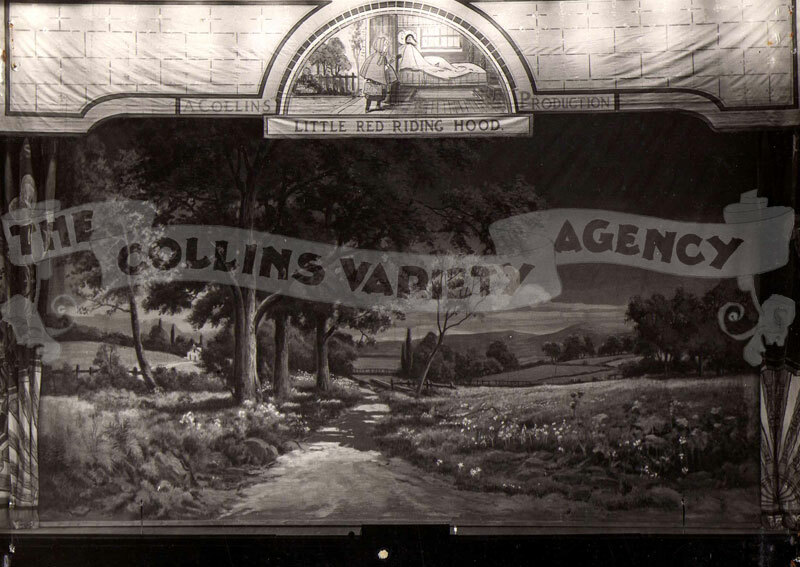 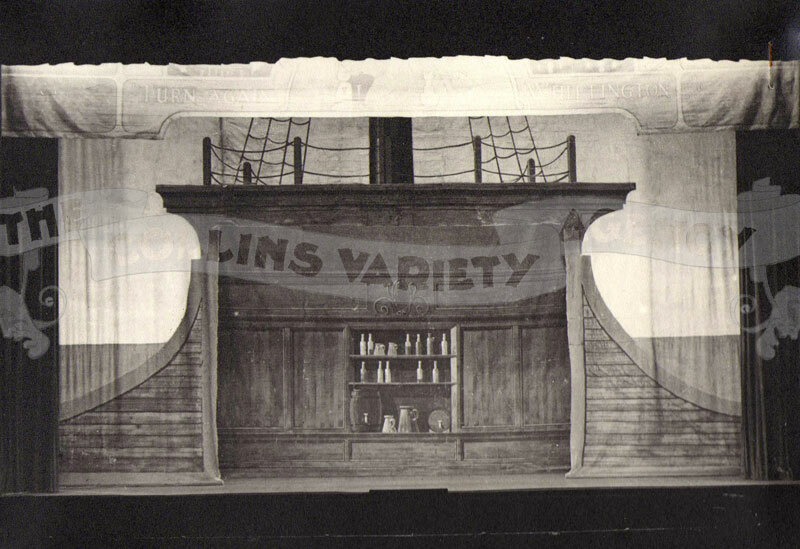 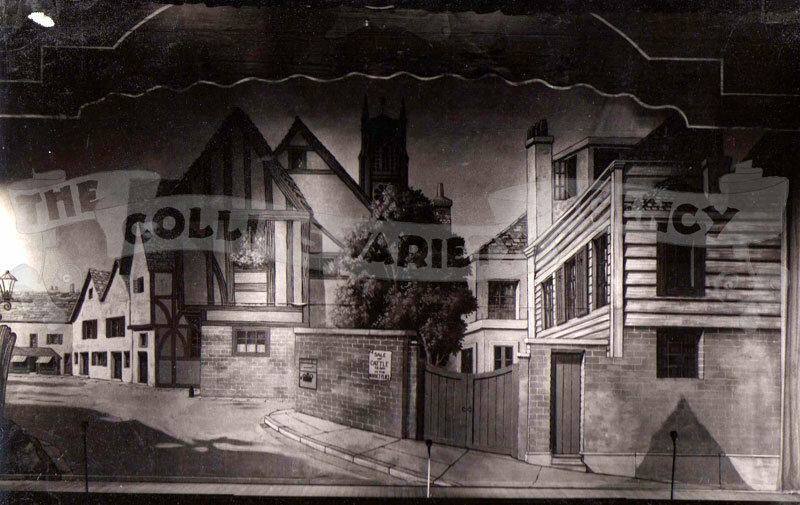 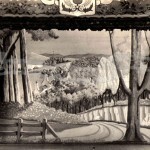 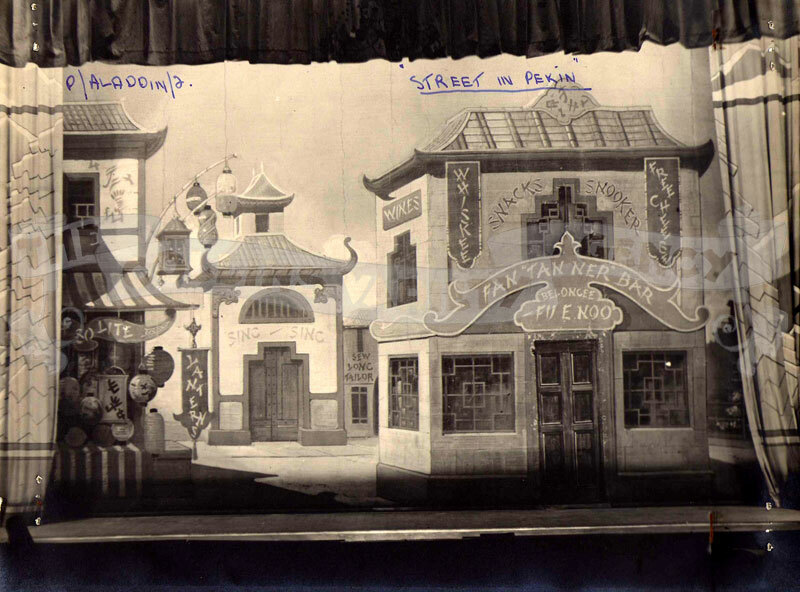 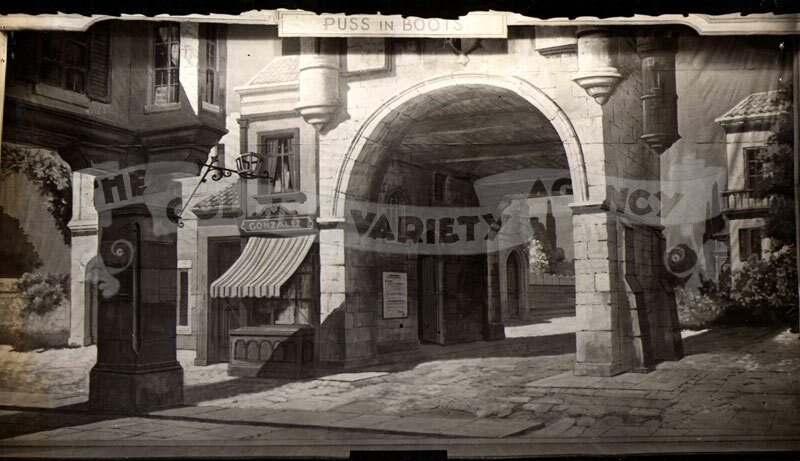 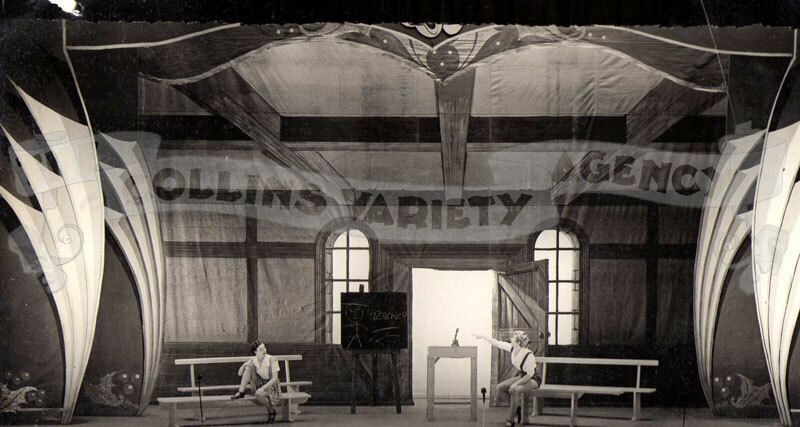 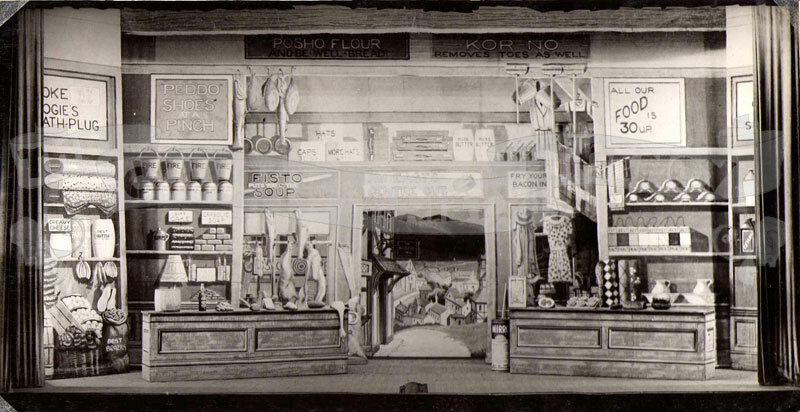 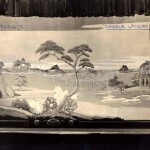 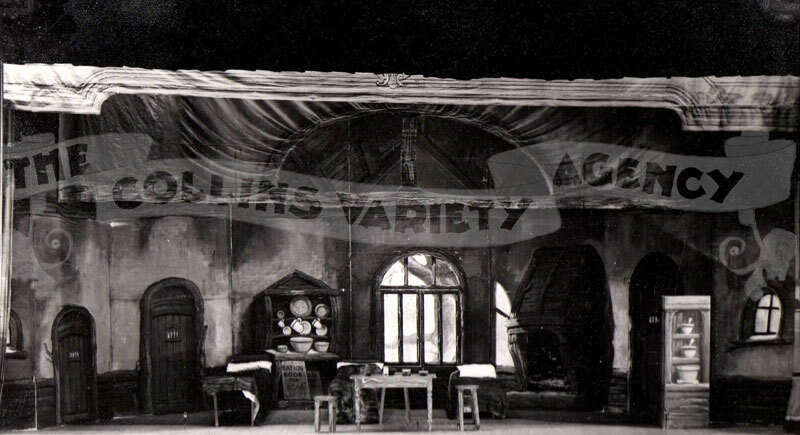 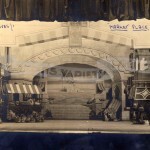 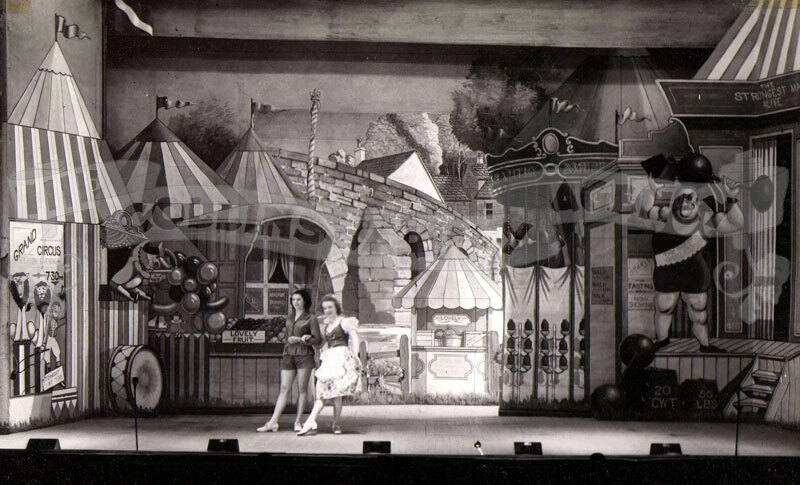 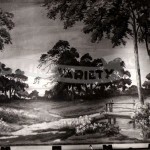 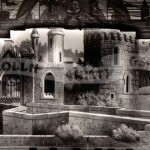 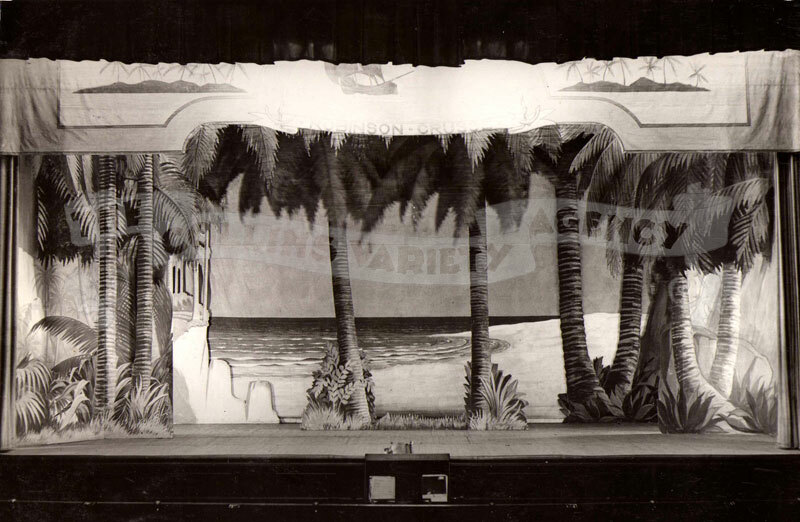 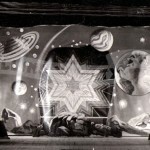 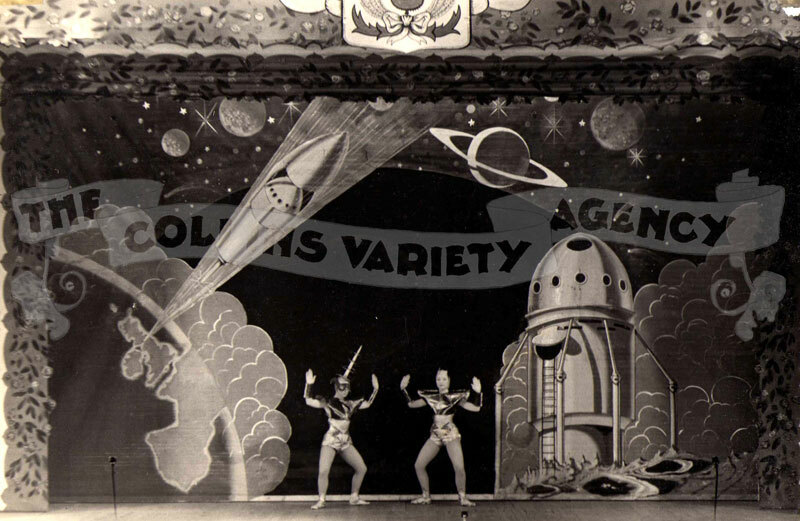 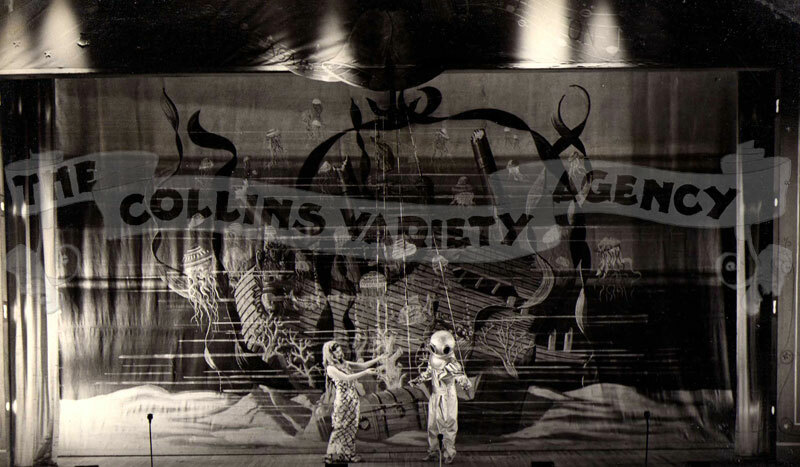 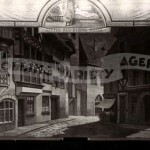 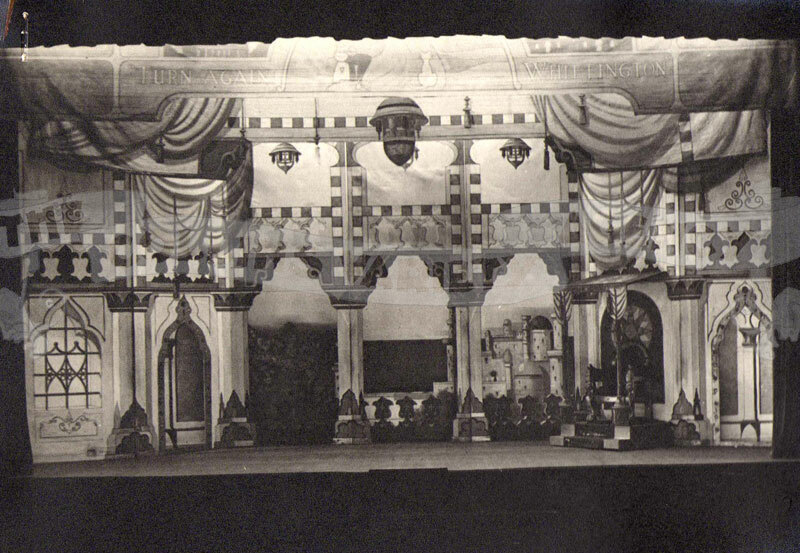 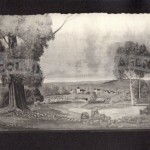 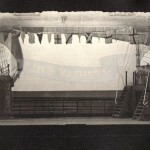 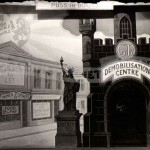 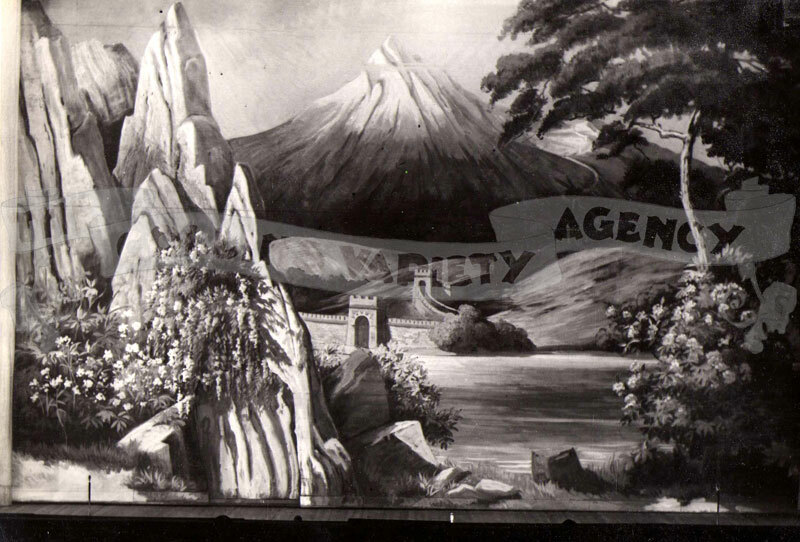 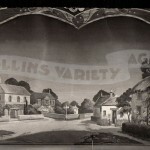 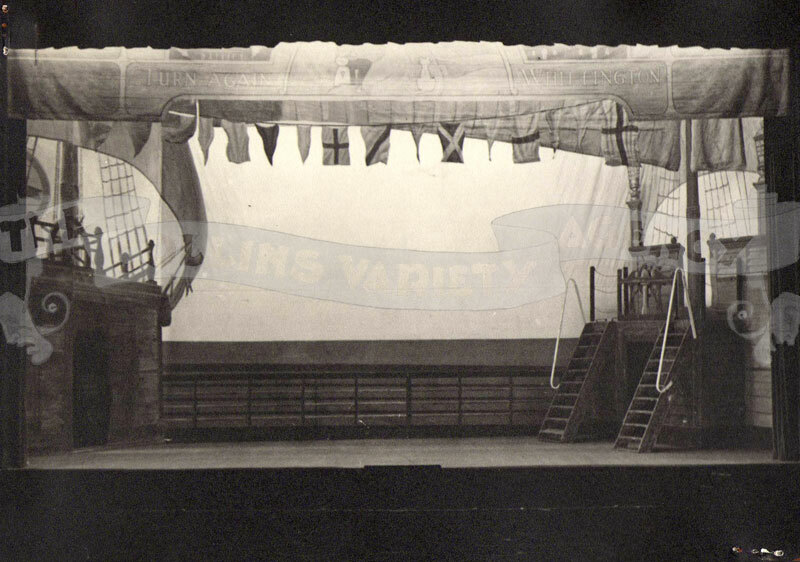 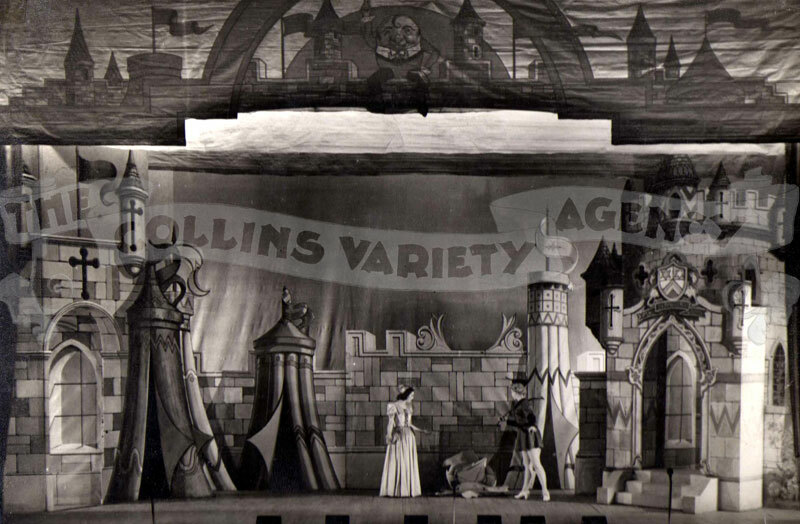 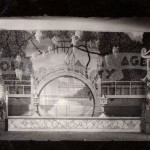 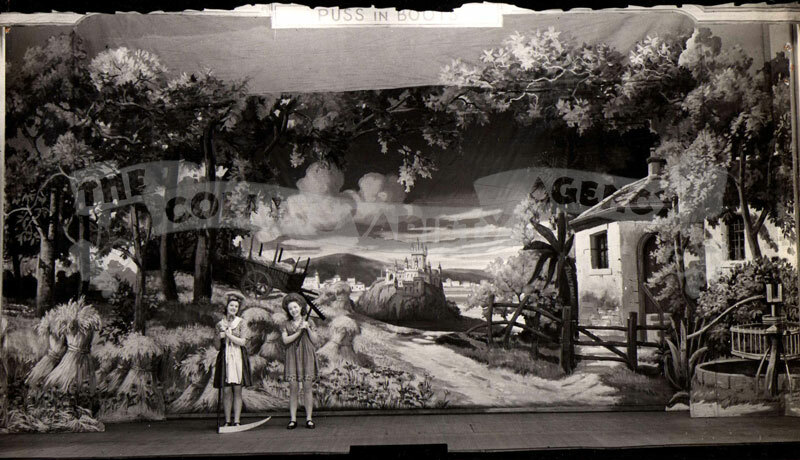 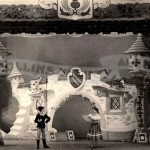 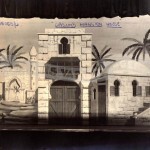 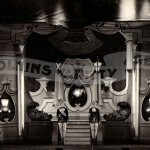 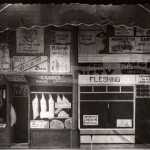 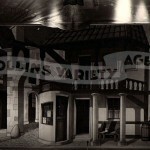 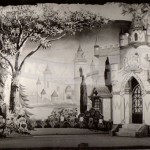 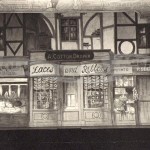 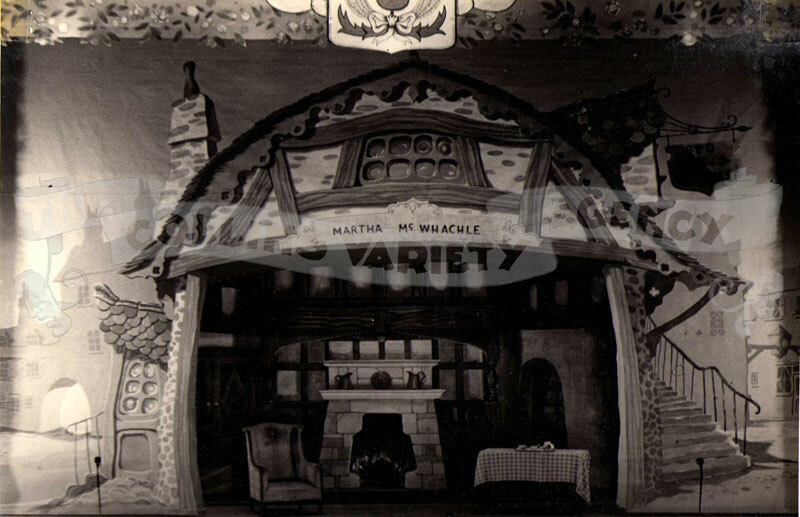 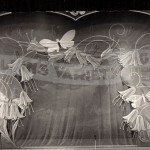 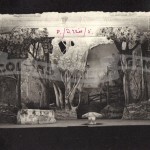 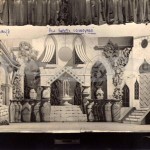 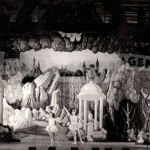 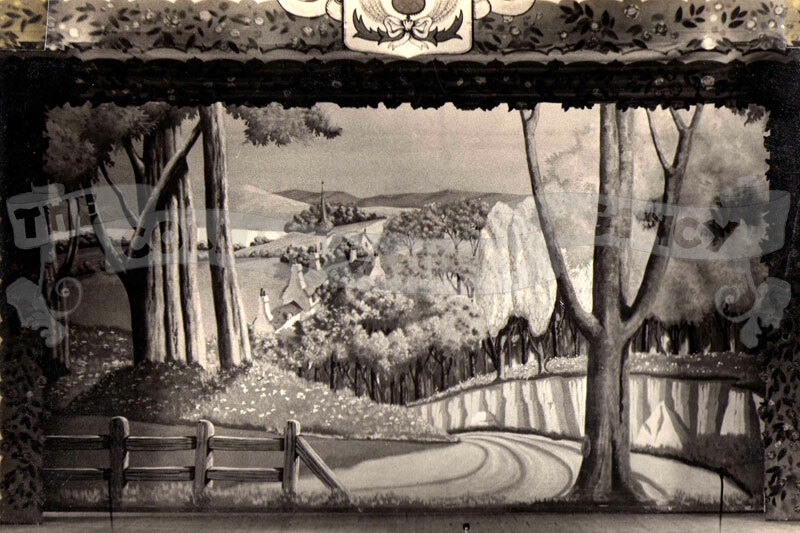 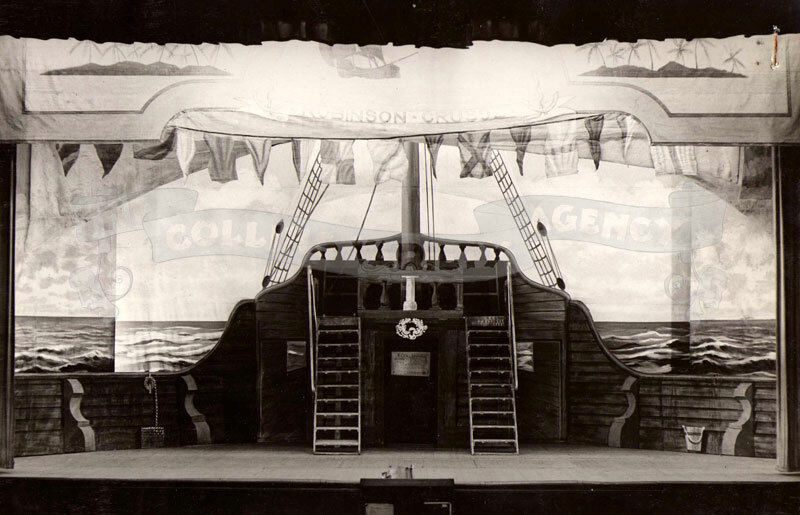 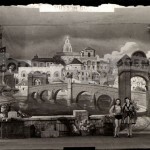 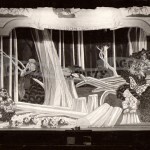 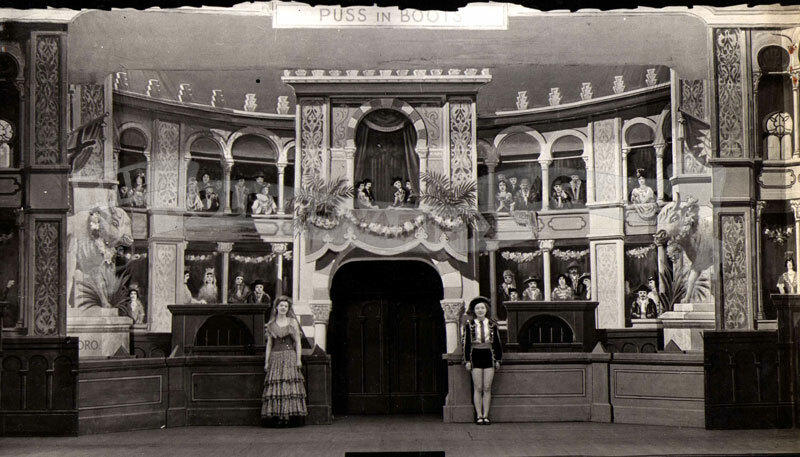 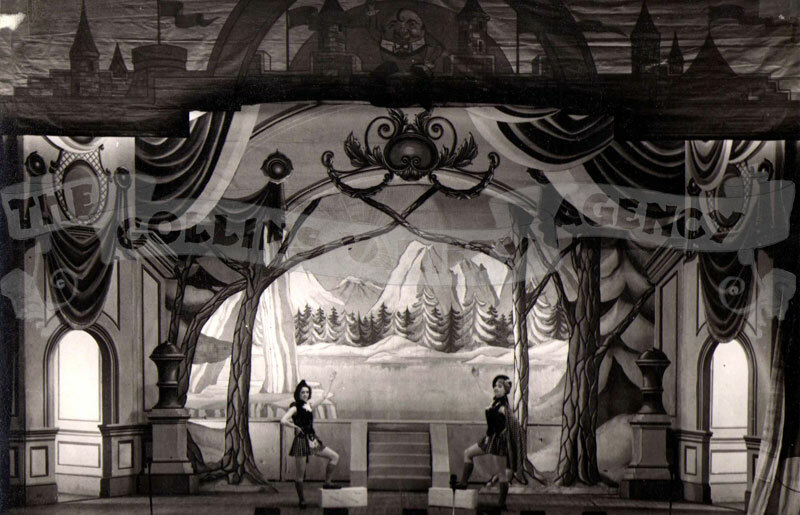 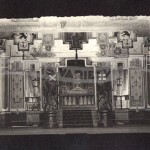 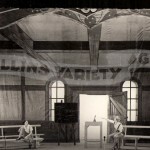 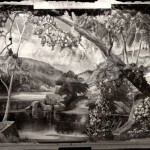 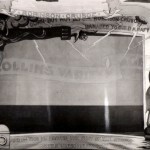 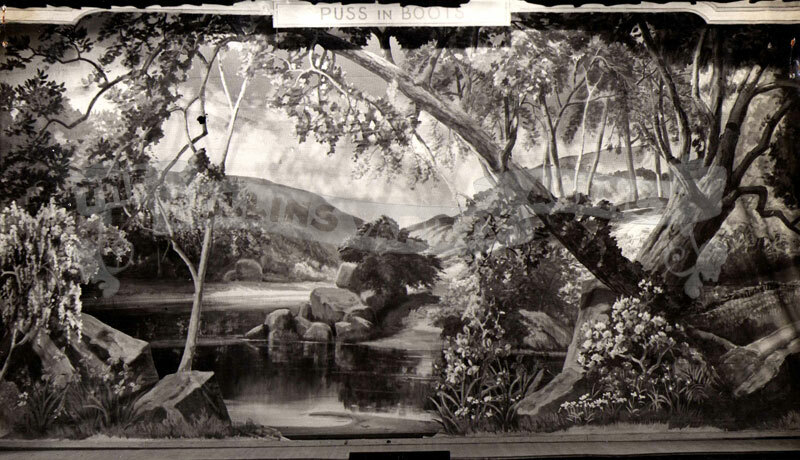 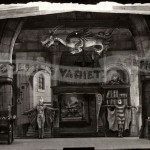 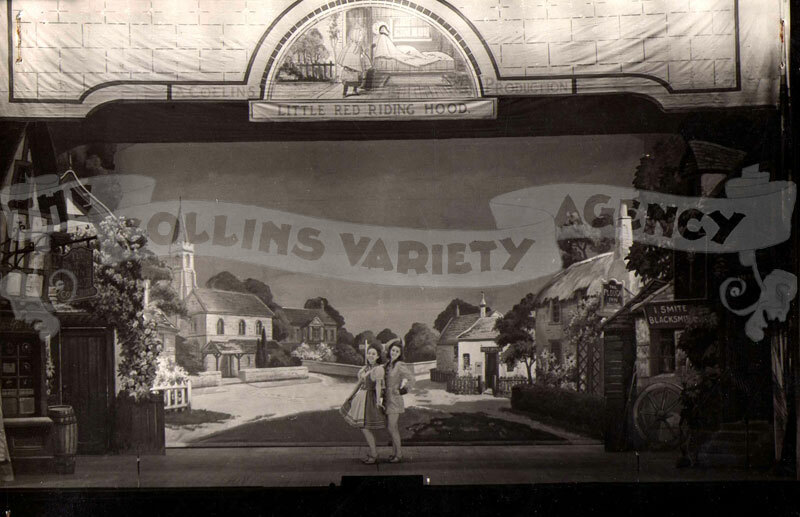 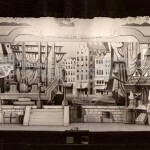 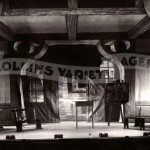 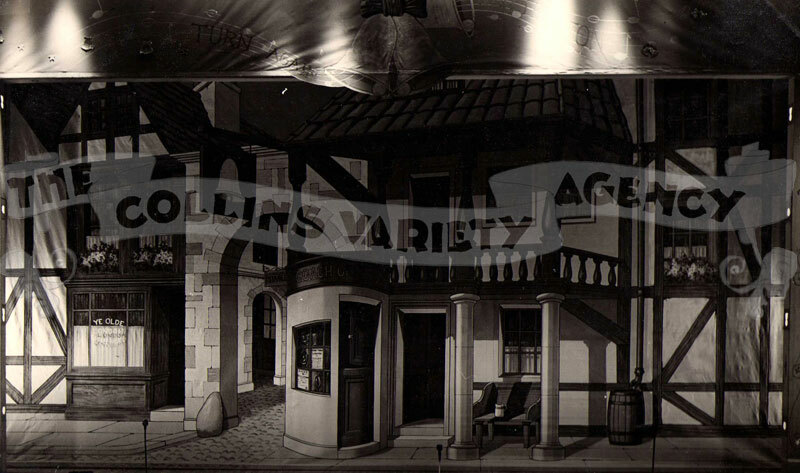 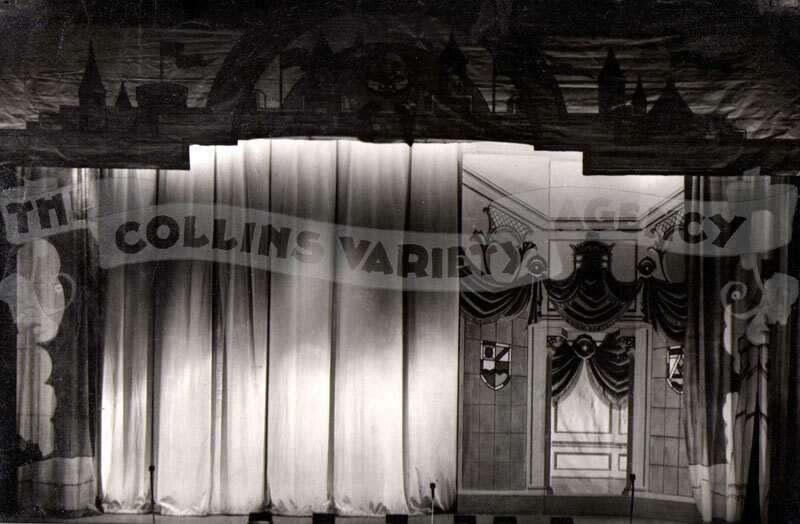 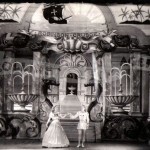 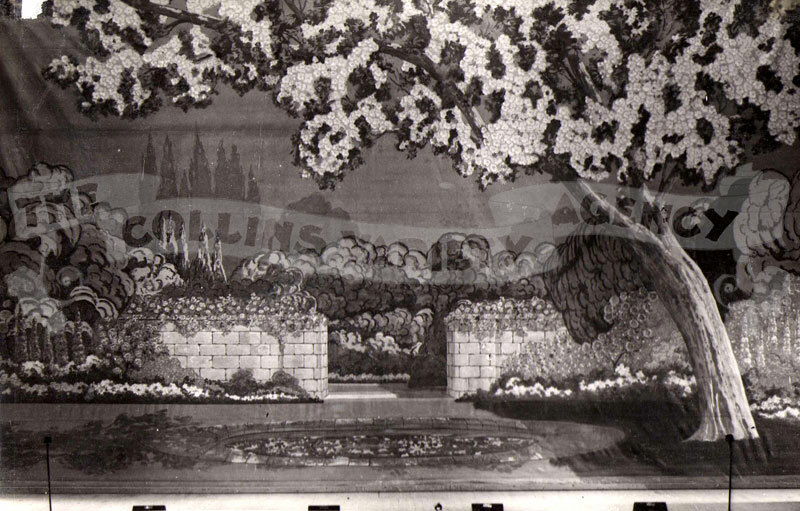 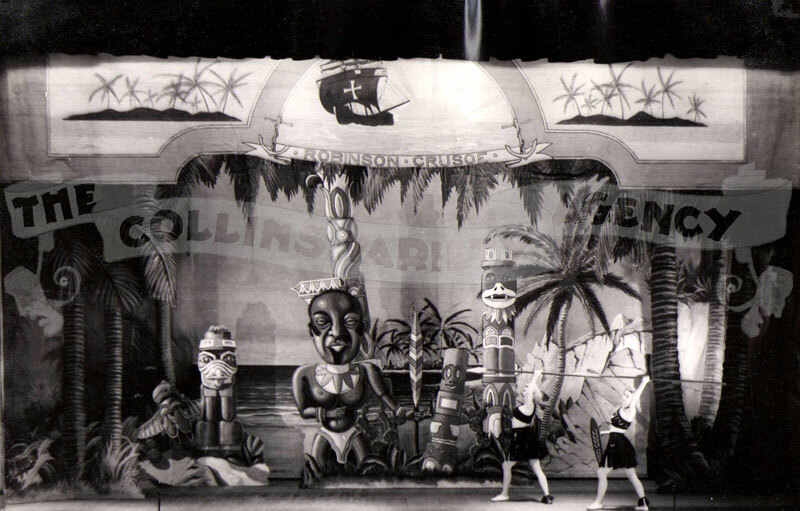 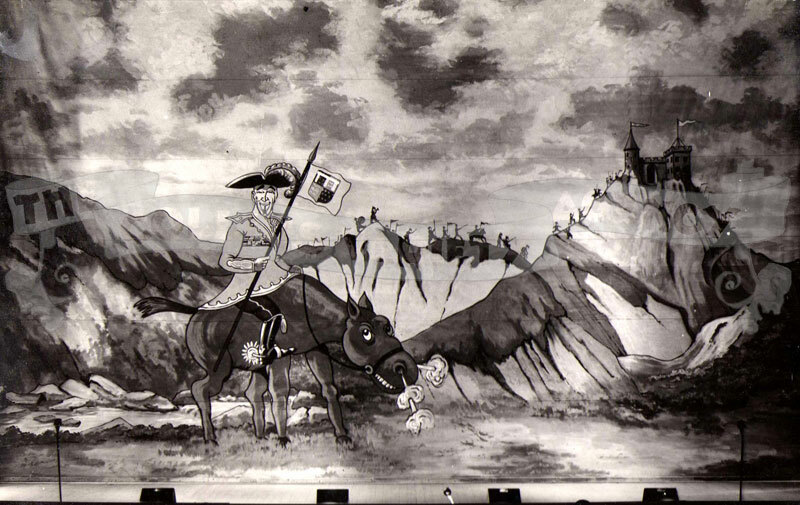 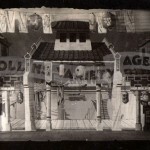 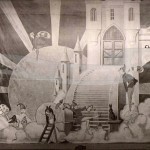 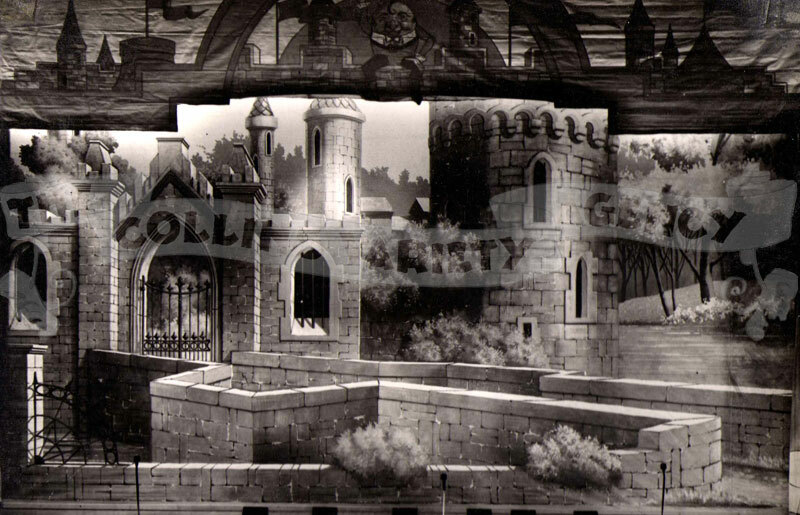 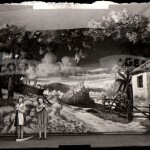 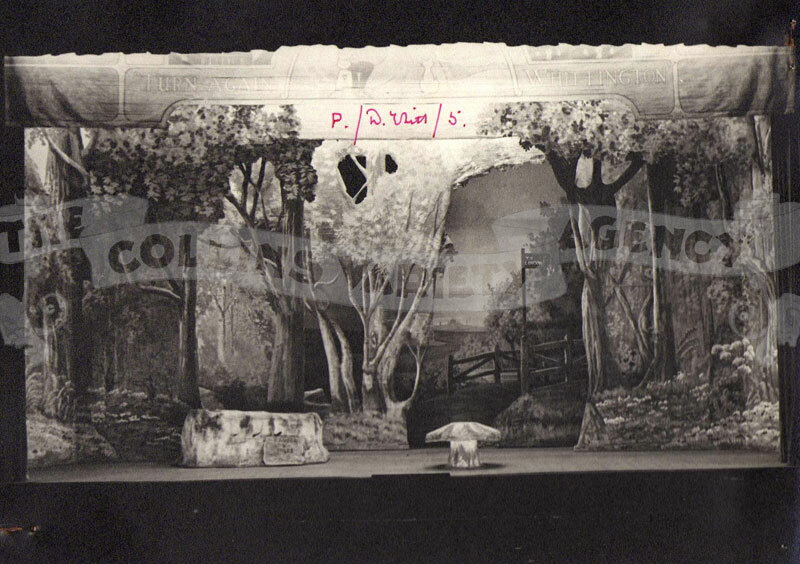 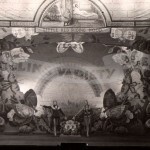 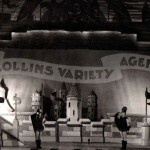 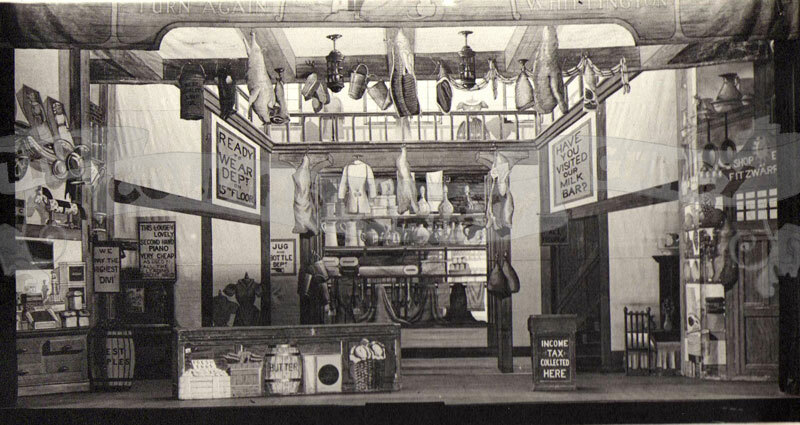 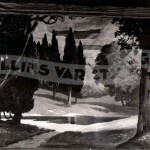 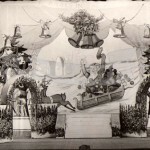 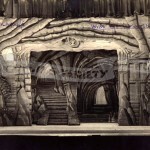 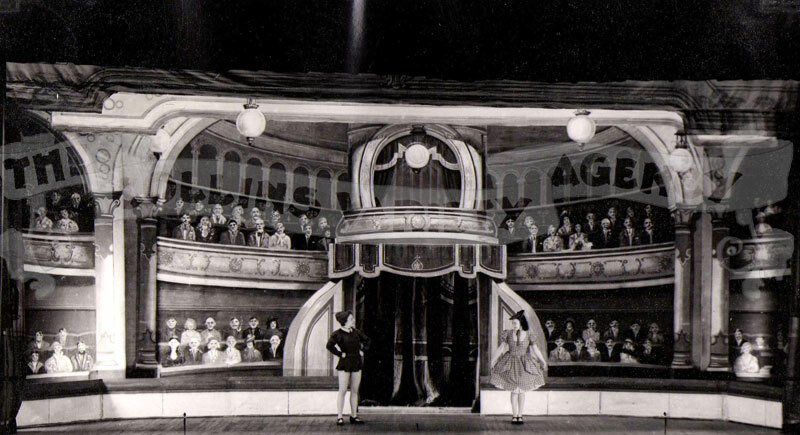 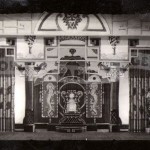 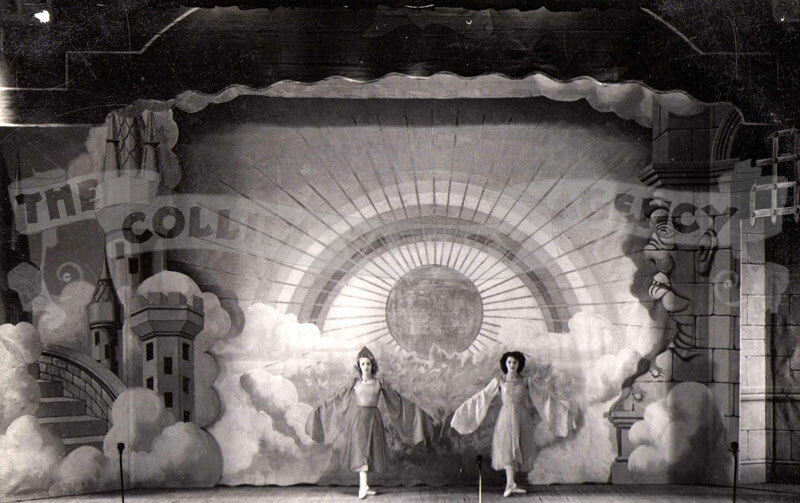 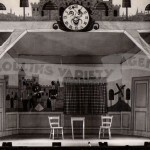 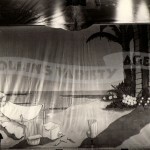 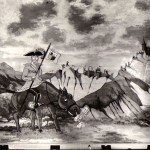 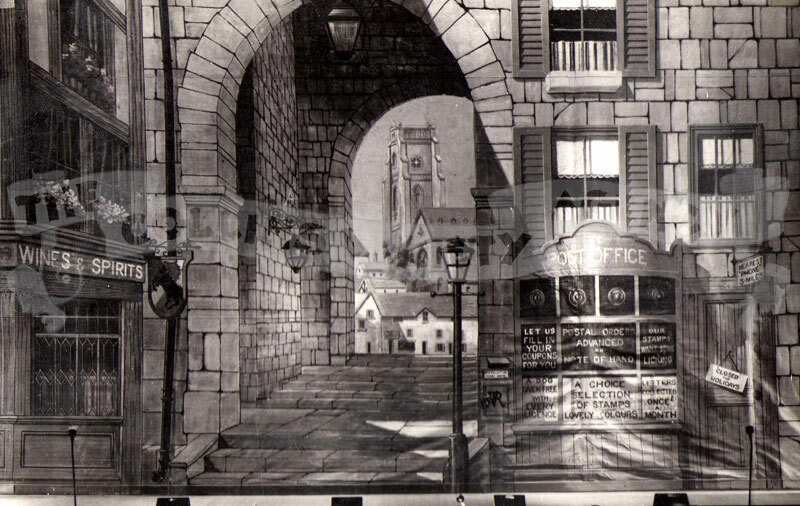 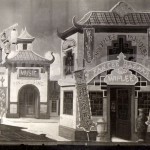 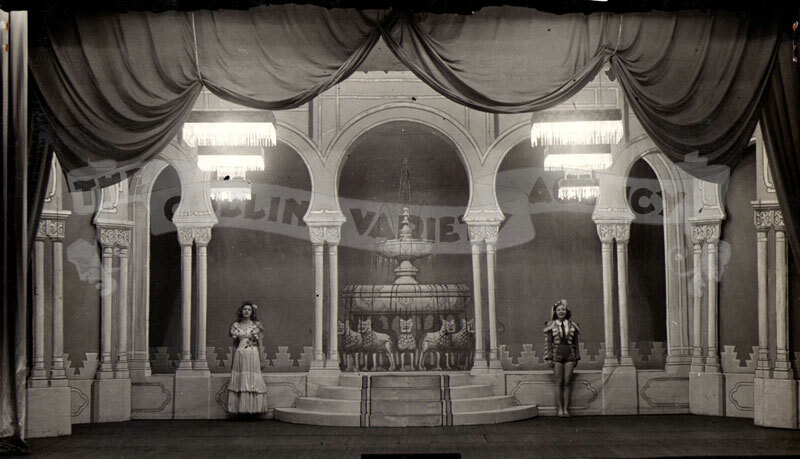 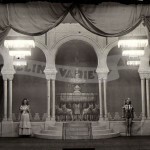 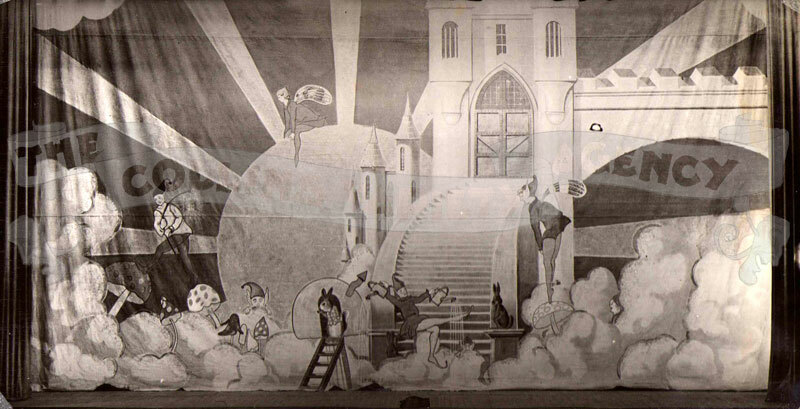 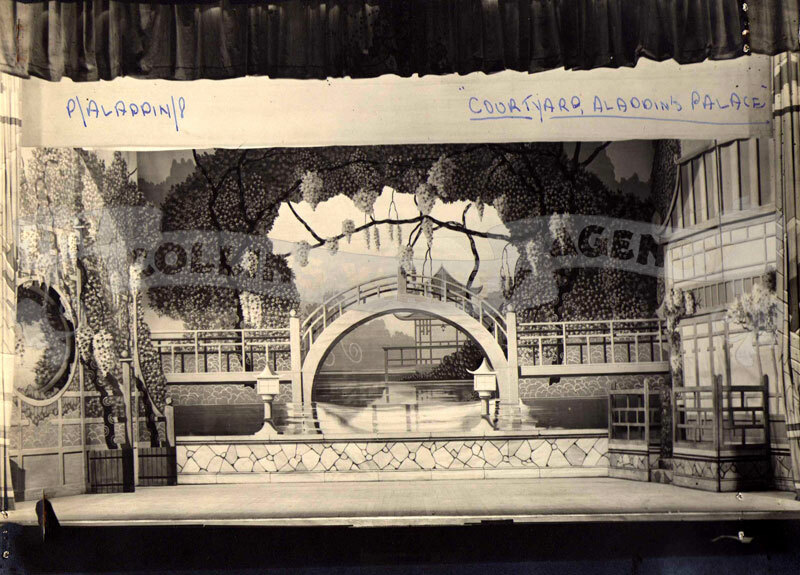 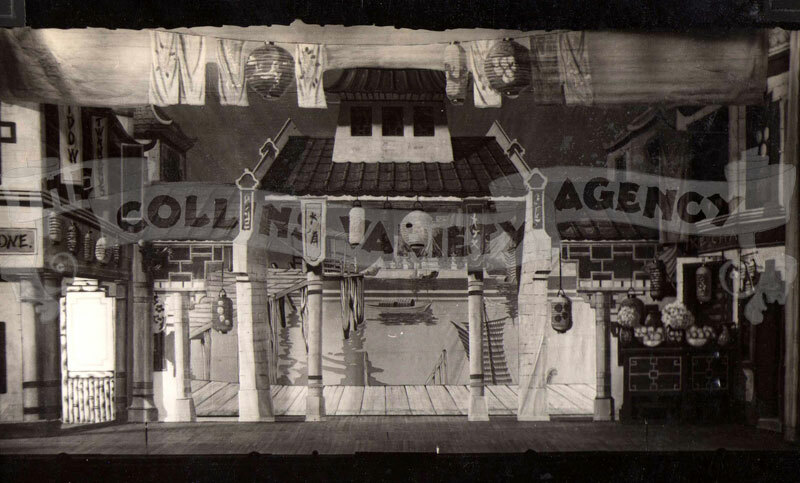 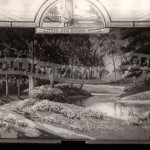 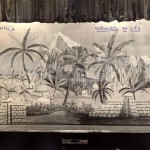 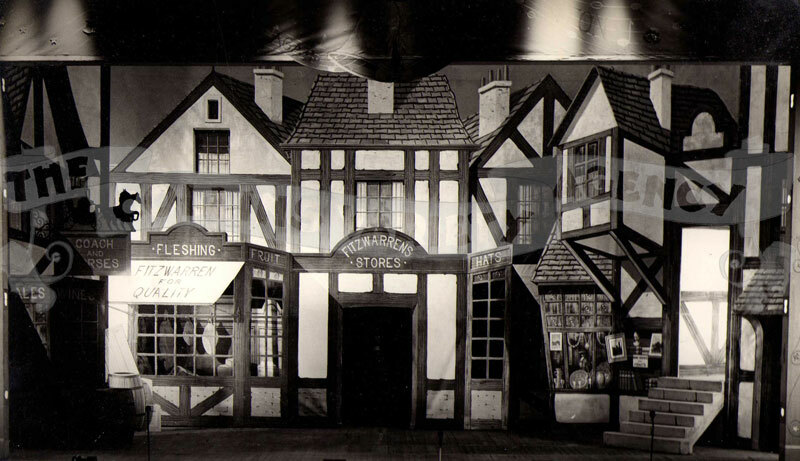 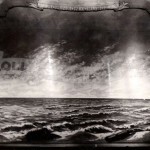 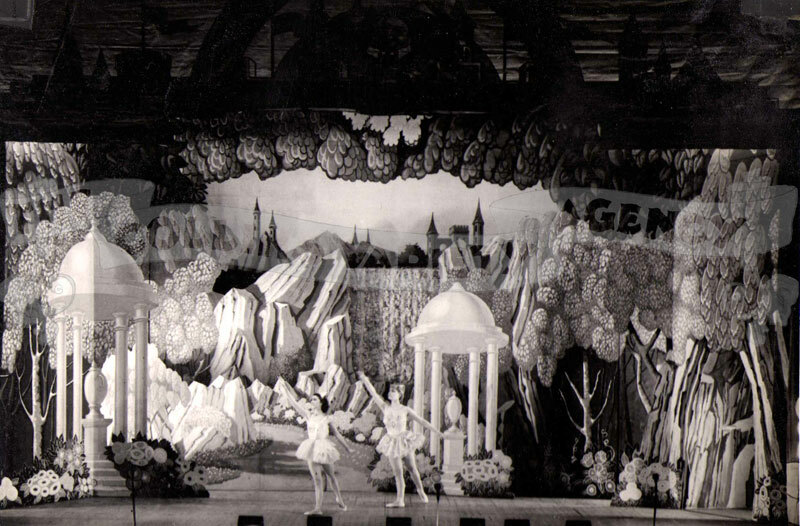 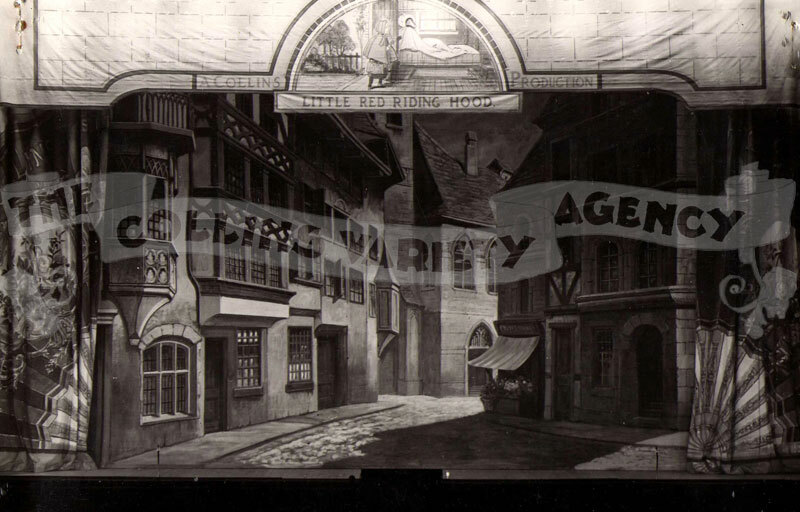 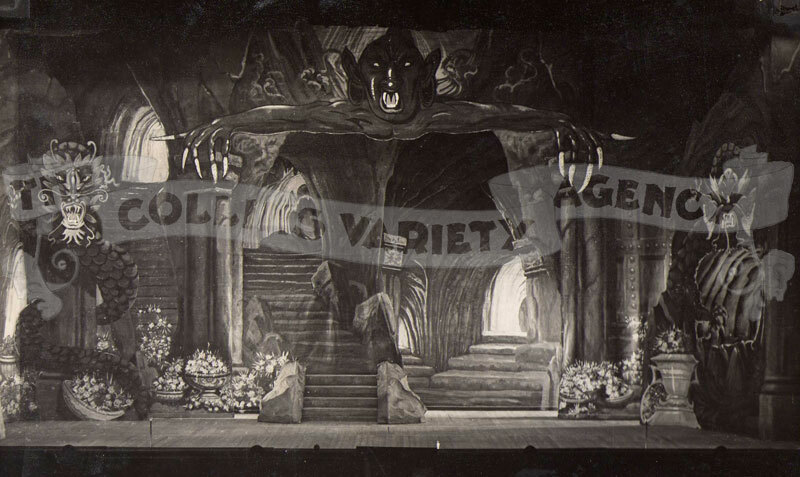 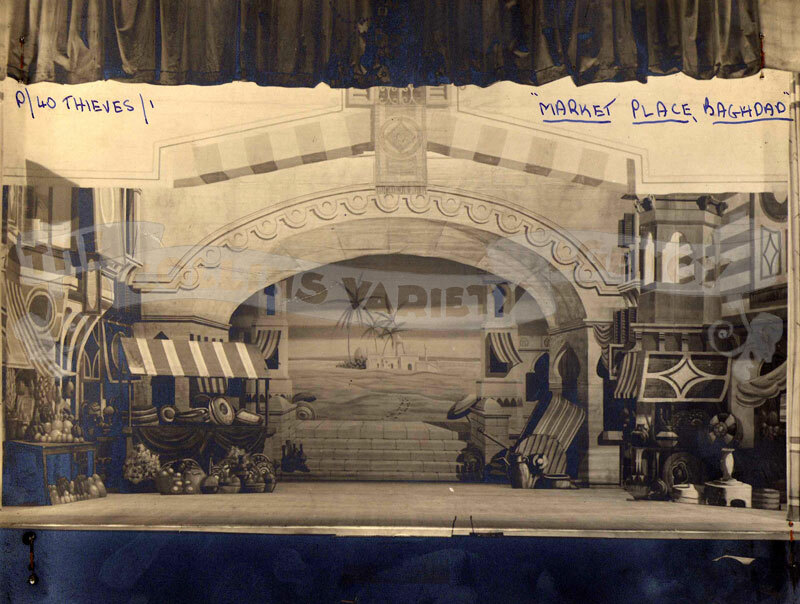 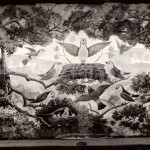 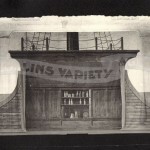 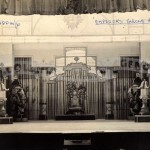 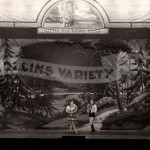 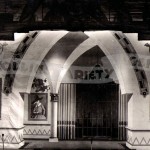 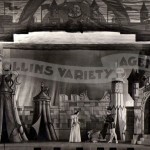 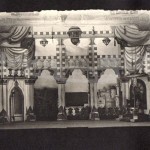 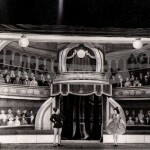 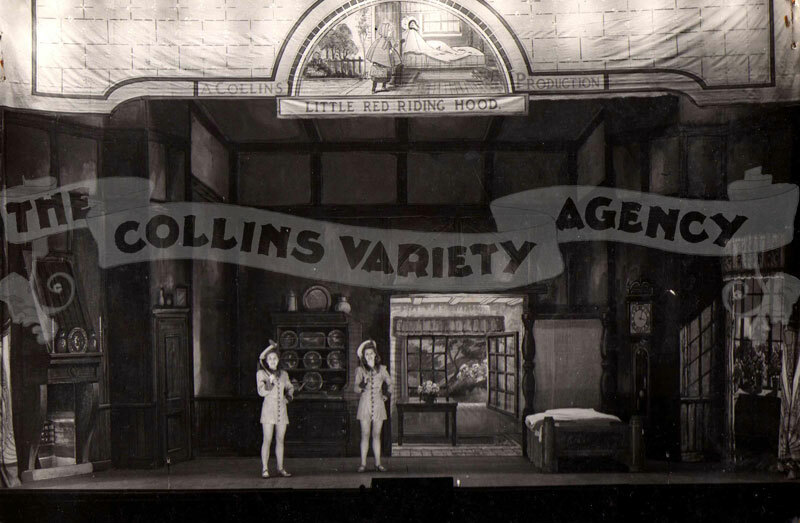 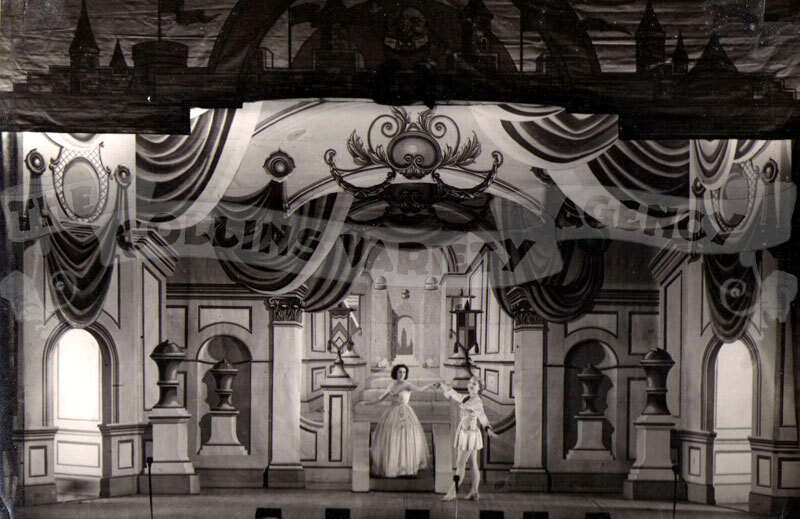 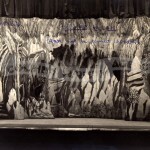 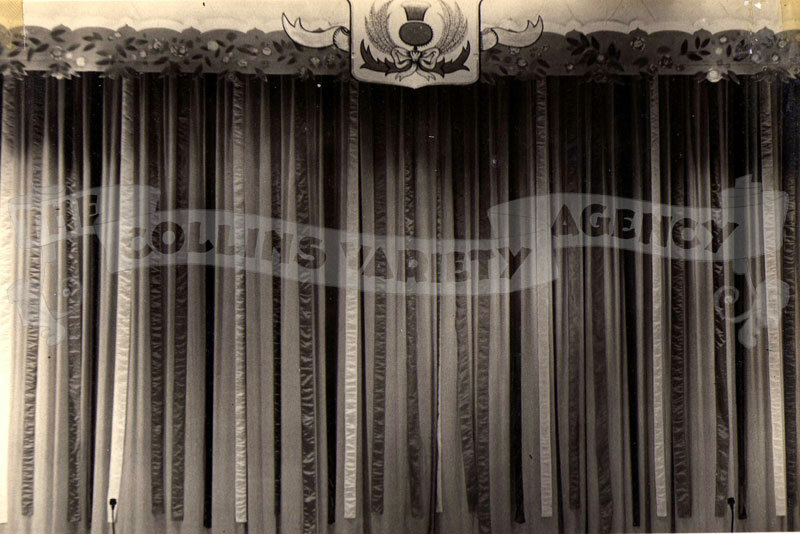 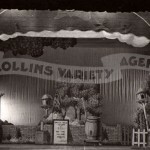 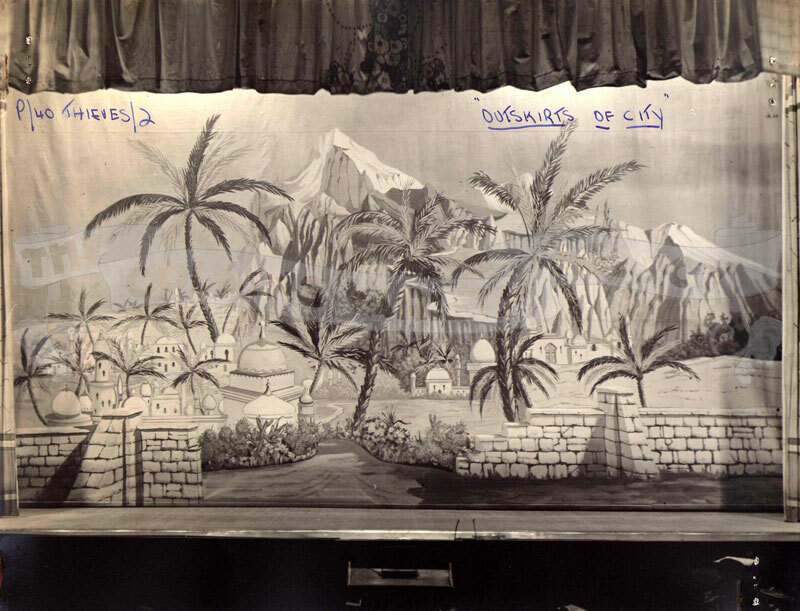 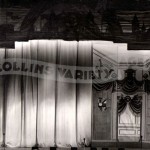 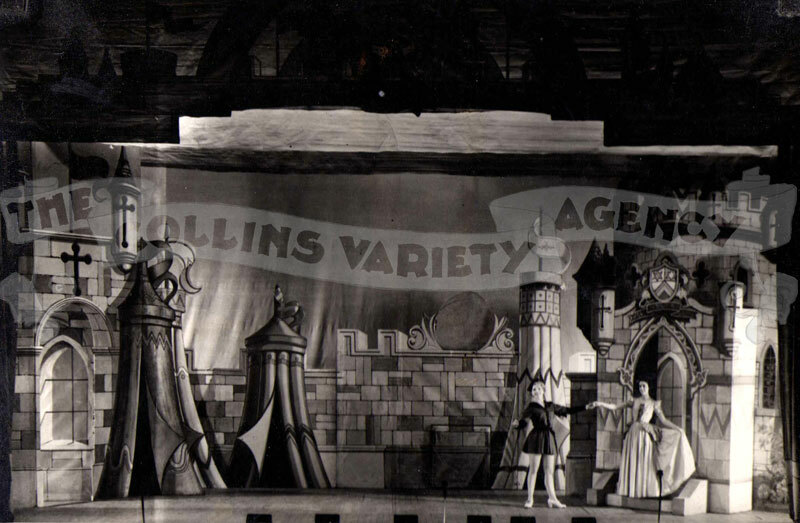 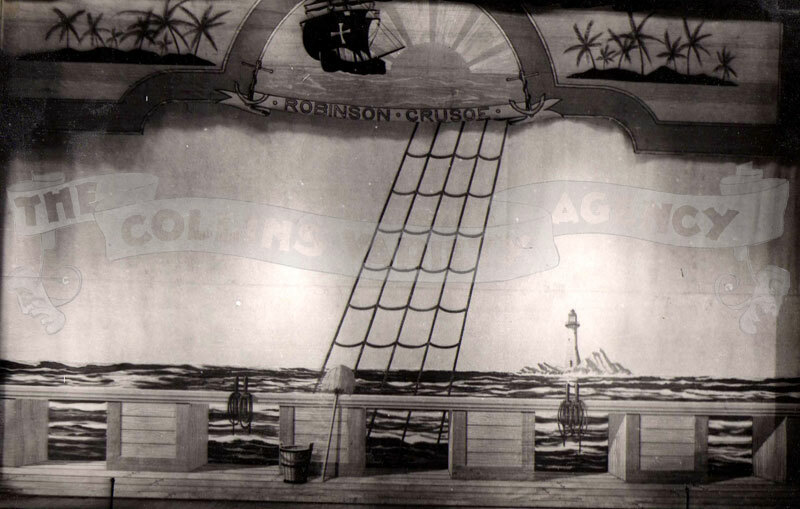 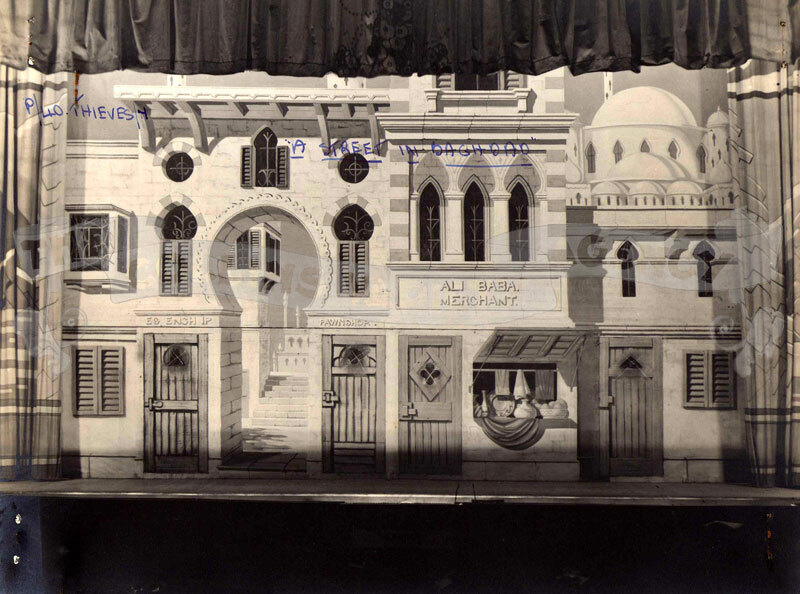 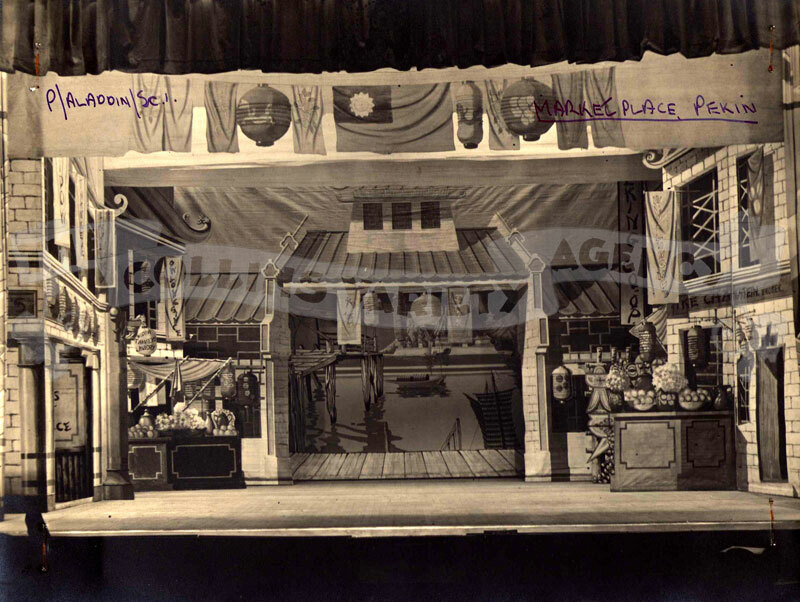 As the Collins Theatrical business bloomed more and more pantomimes and reviews were being staged a huge quantity of scenery and costumes was required. 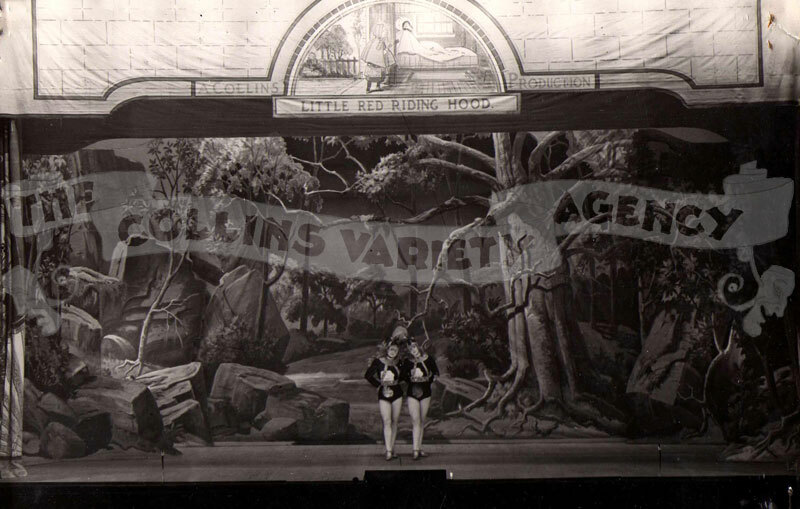 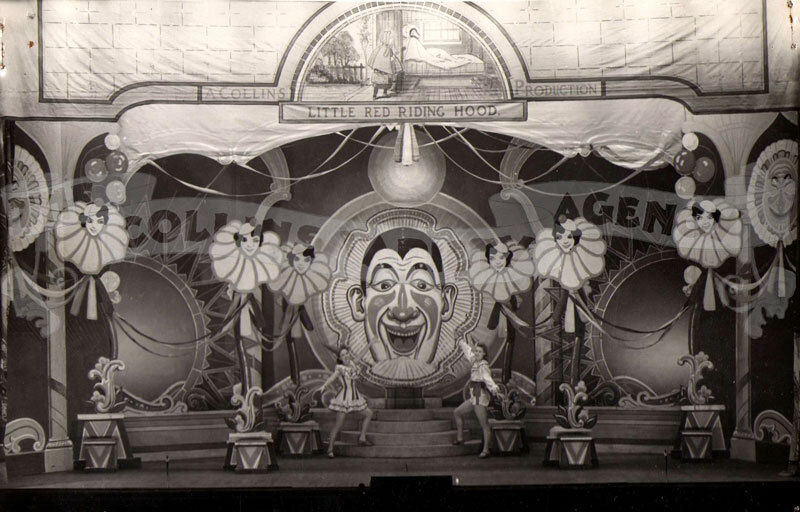 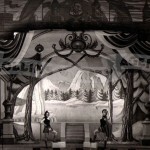 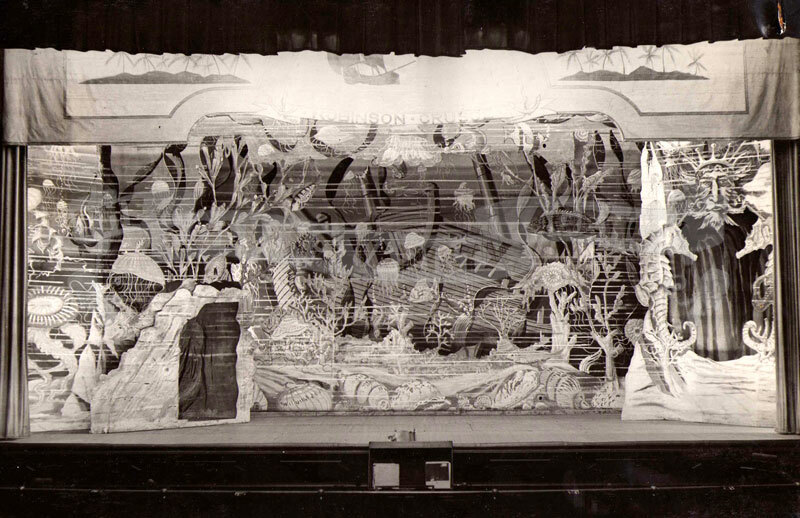 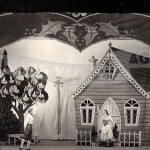 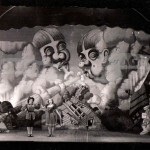 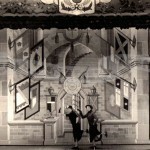 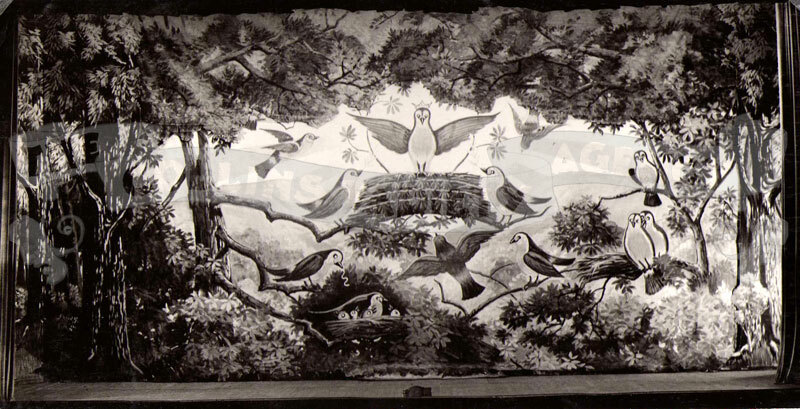 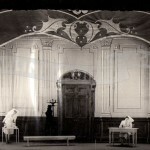 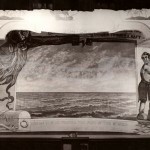 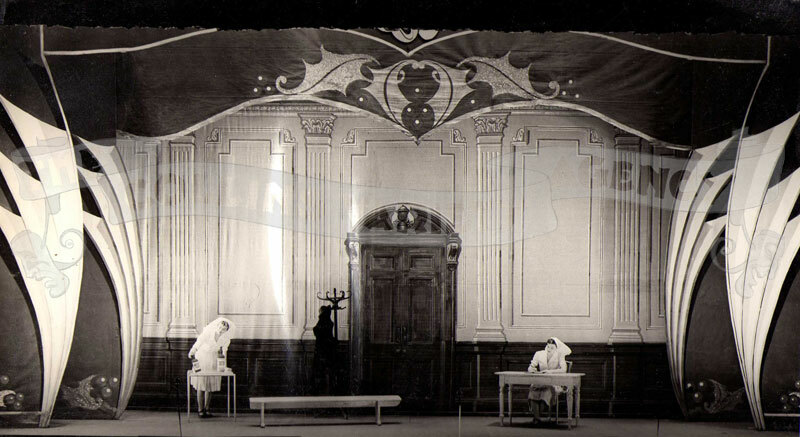 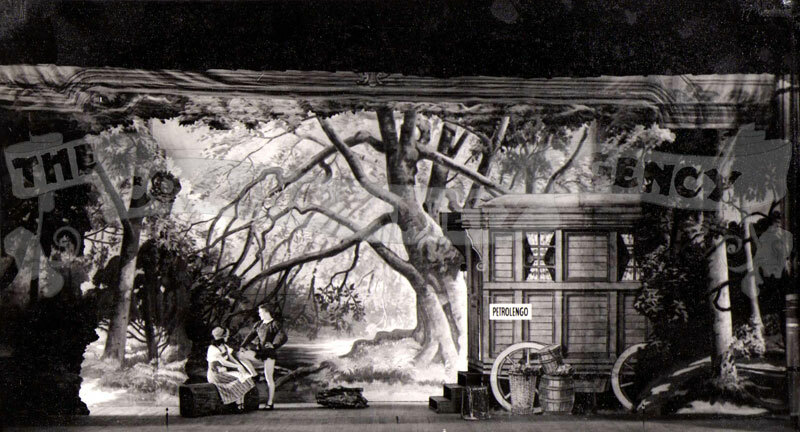 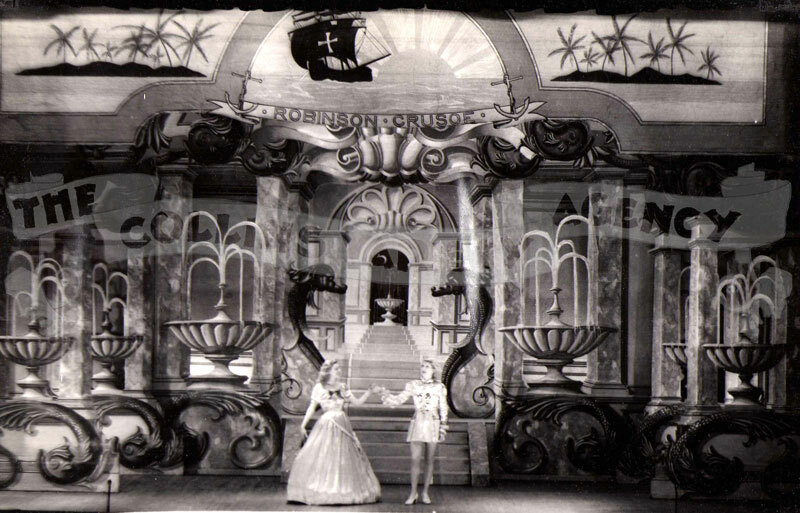 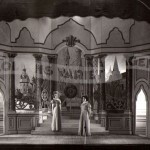 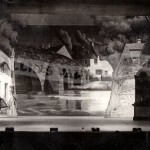 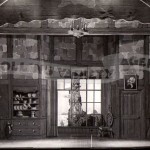 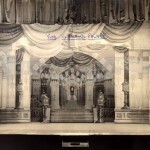 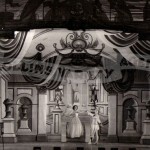 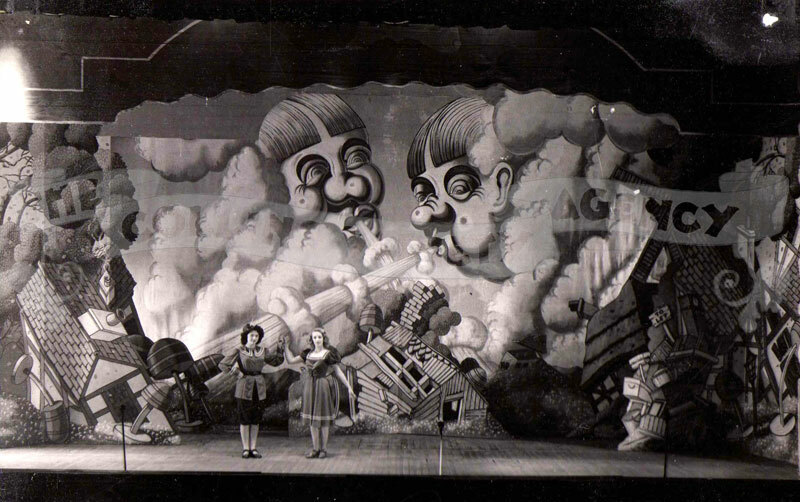 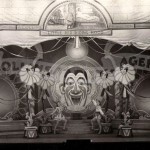 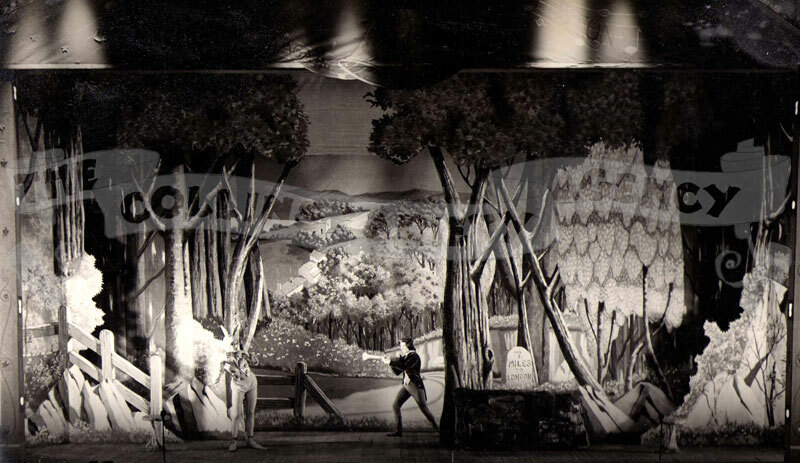 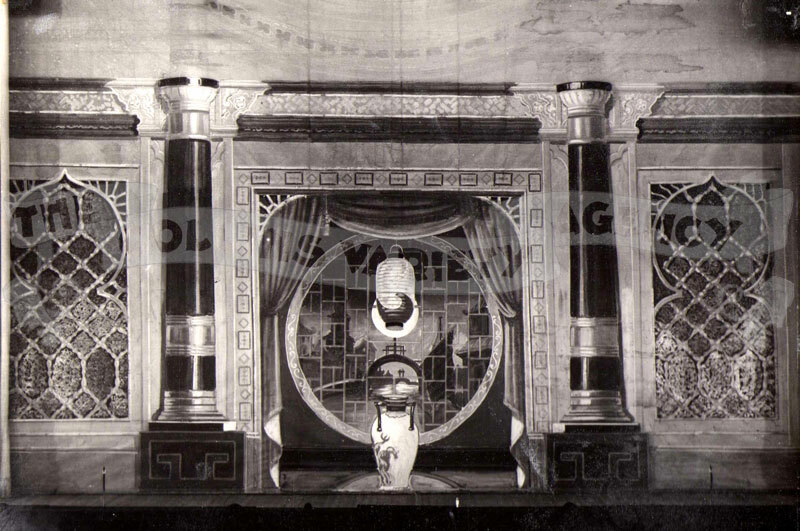 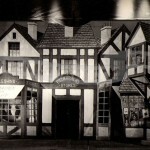 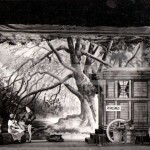 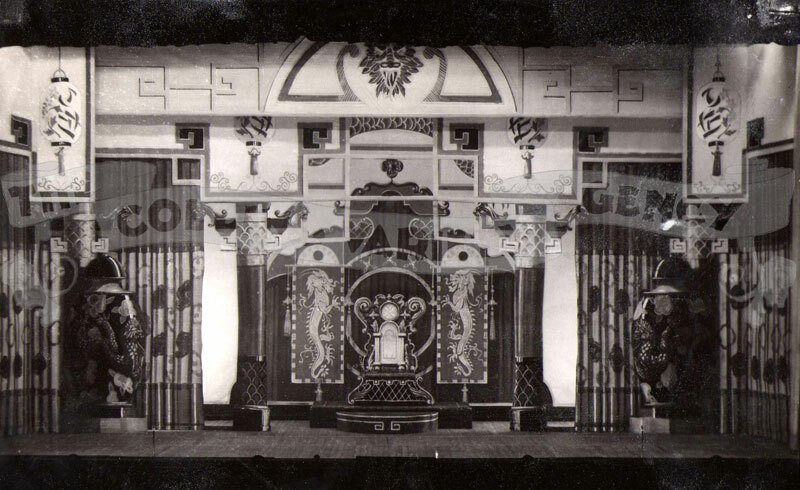 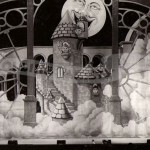 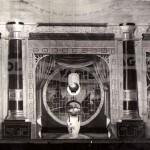 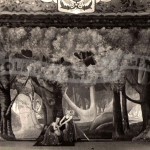 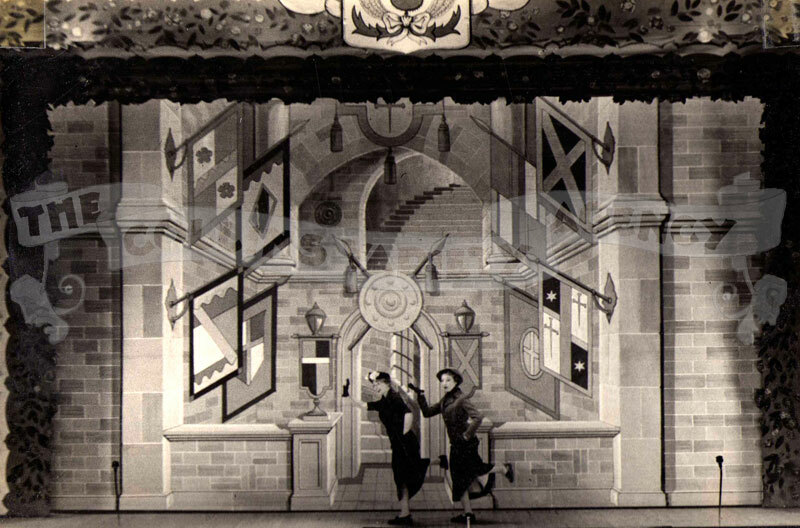 Fred and Horace realised that the stage area of the Theatre Royal in Edinburgh was unusually deep and as only the front half was ever seen by an audience they decided to create a scenic workshop at the rear where, for a quarter of a century, a wonderland of scenic splendour was designed and created to feed all the ‘Collins’ productions. 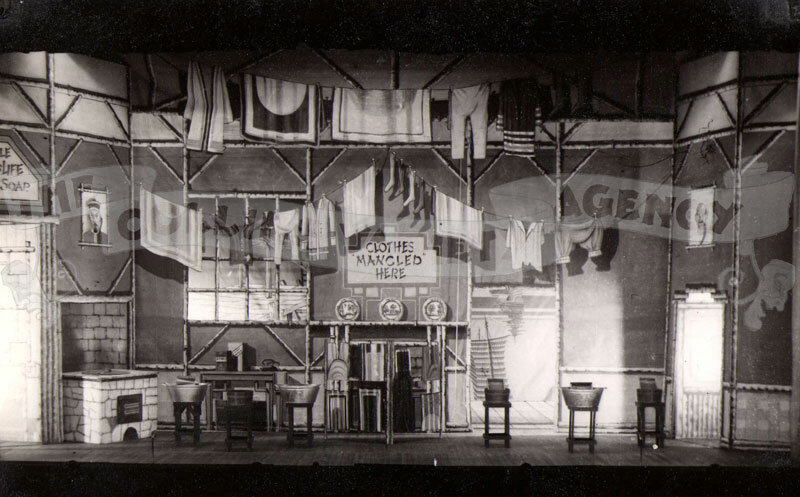 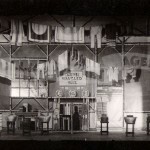 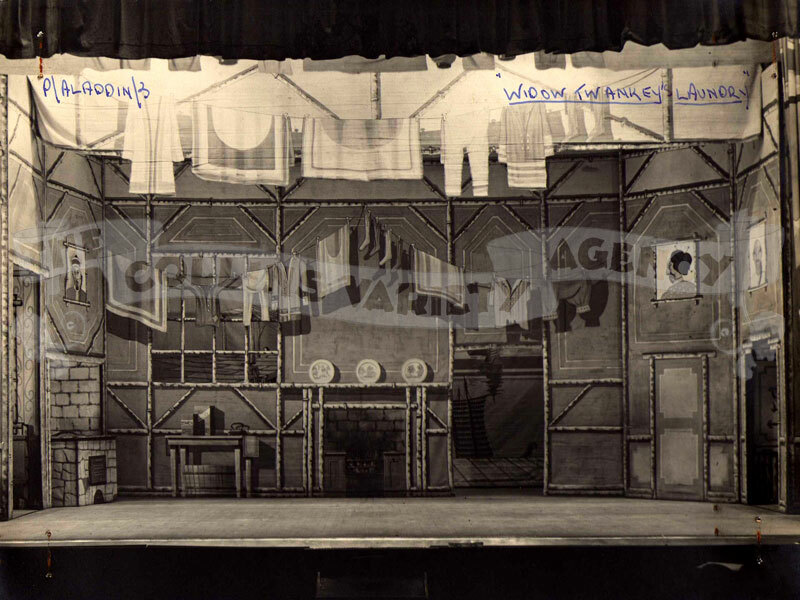 At the same time, to the rear of the same building block, six large residential flats were purchased and transformed into a theatrical wardrobe where costumes were designed, manufactured and stored throughout the year. 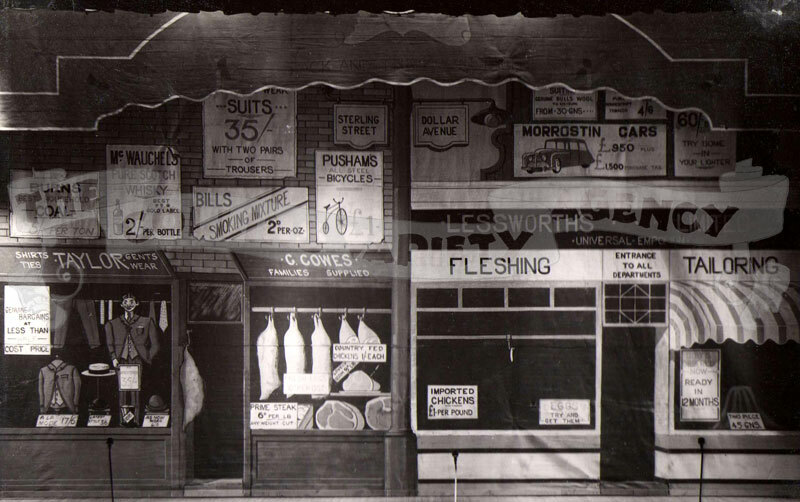 In addition to show wear, authentic apparel such as uniforms, formal dress and kilts were collected as they became available and the whole was completed by a wiggery mainly of period and character pieces. 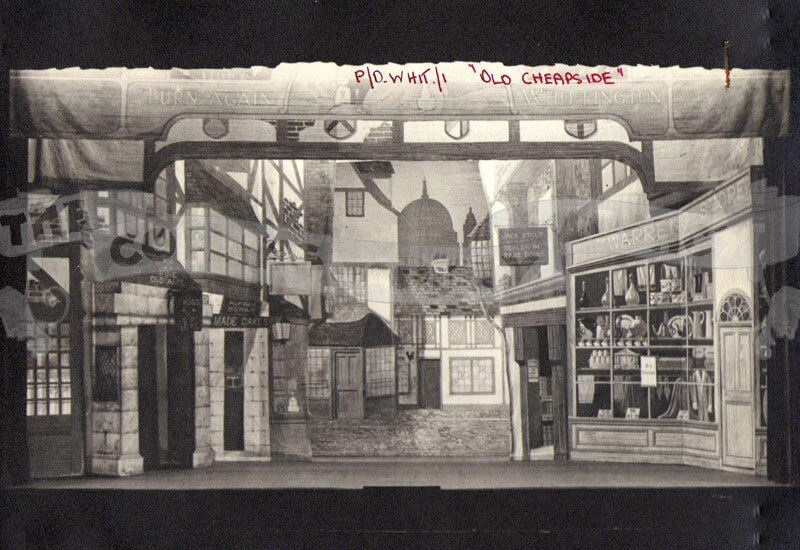 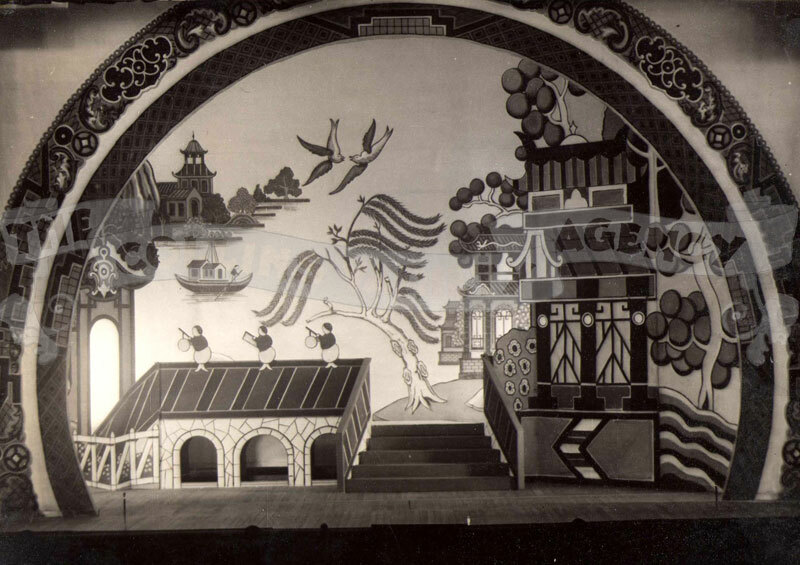 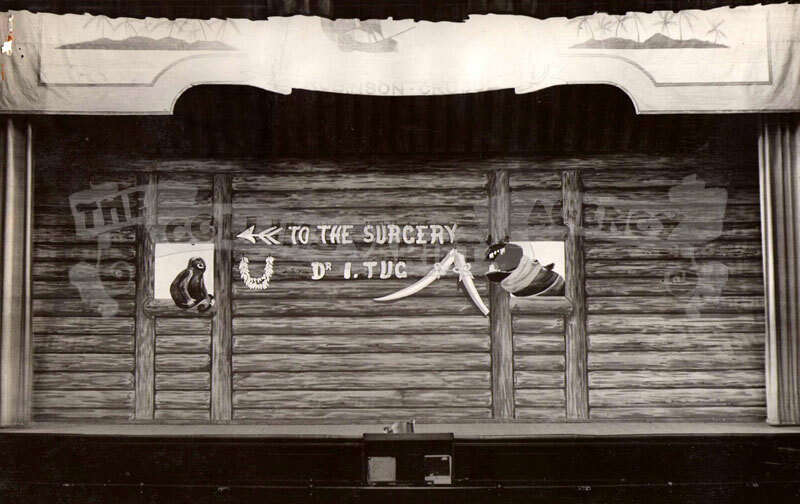 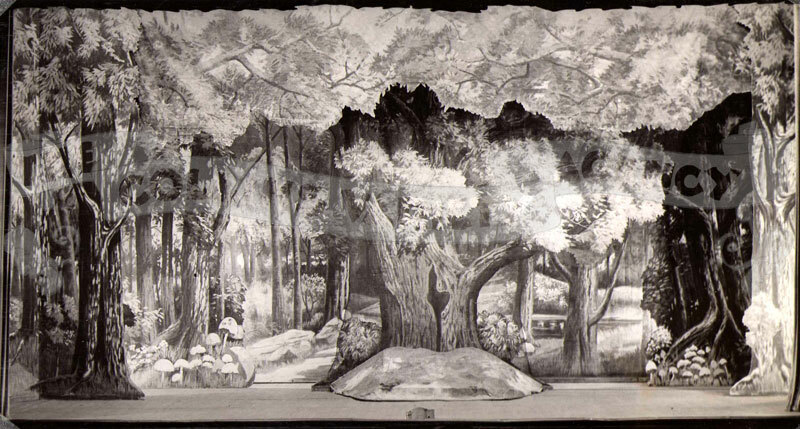 After a few years the role of Head Scenic Designer was passed from Stanley Shuter to the talented and affable artist Bill Grayson. 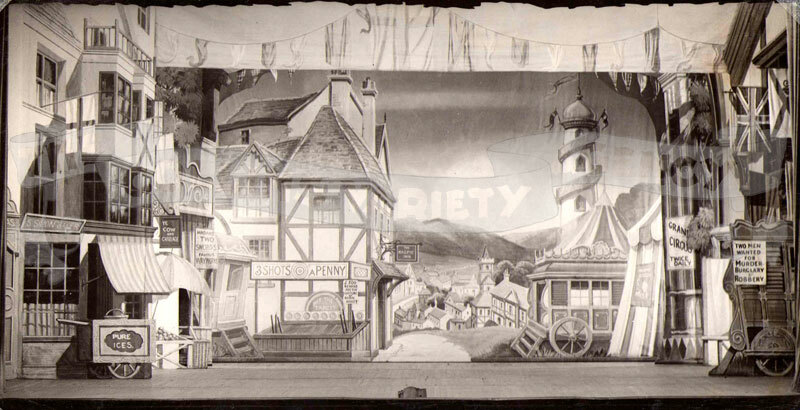 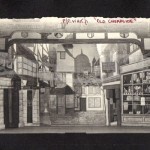 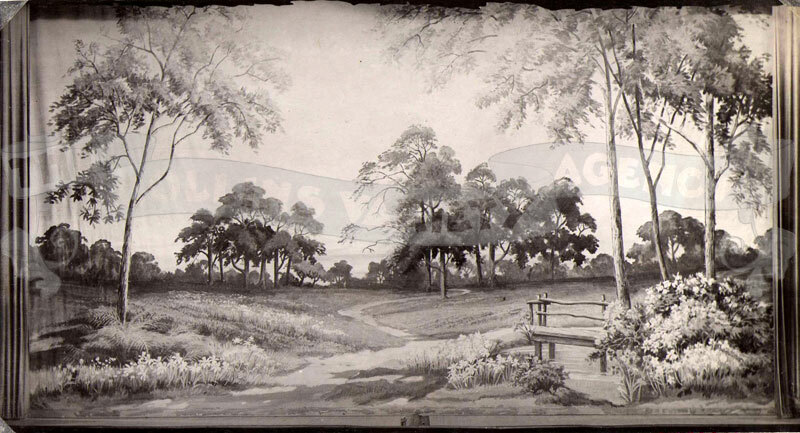 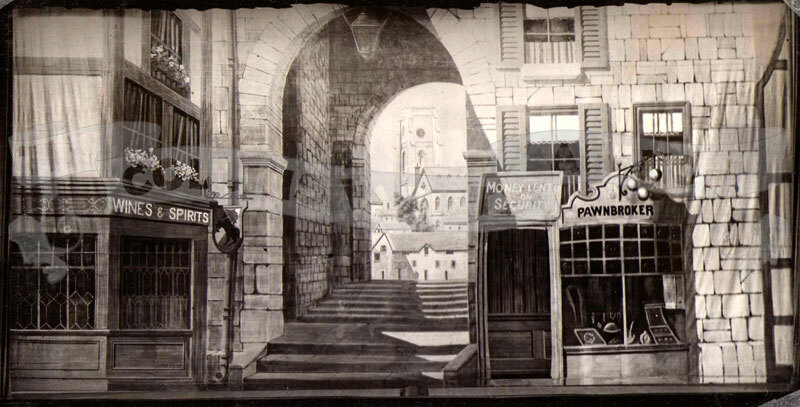 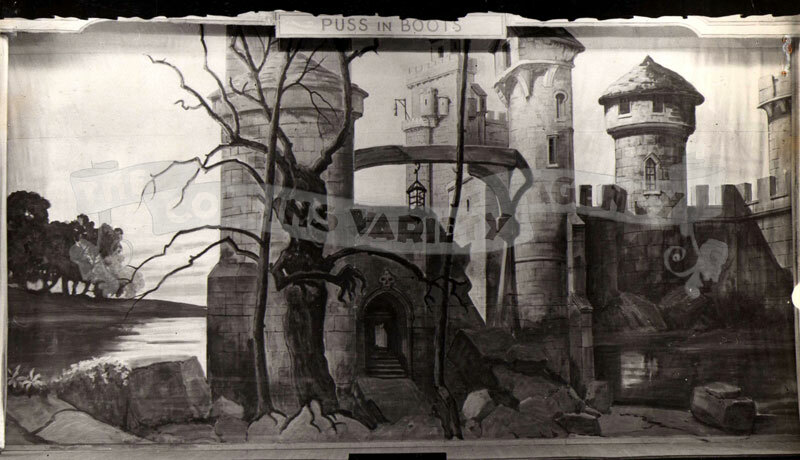 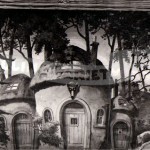 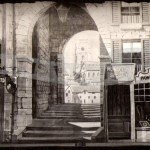 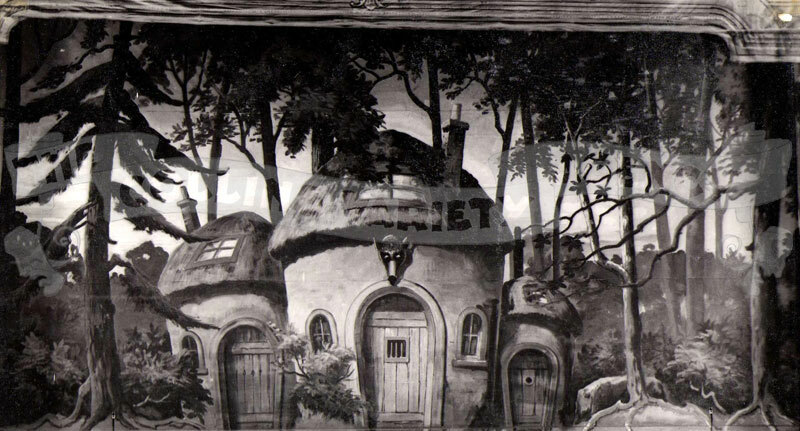 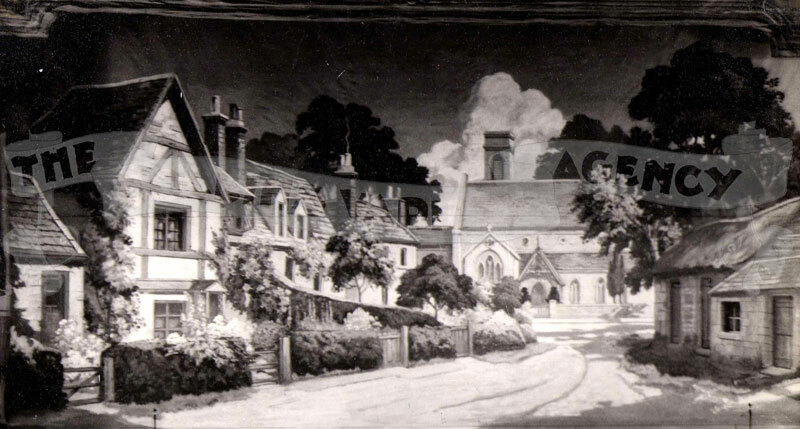 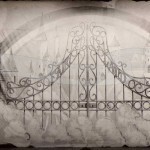 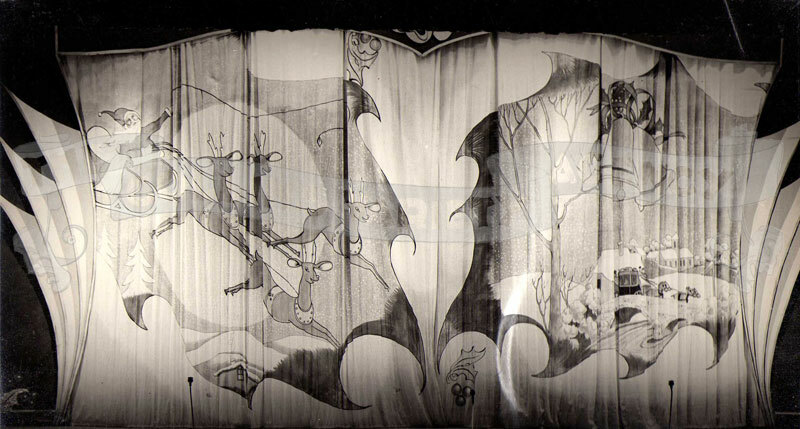 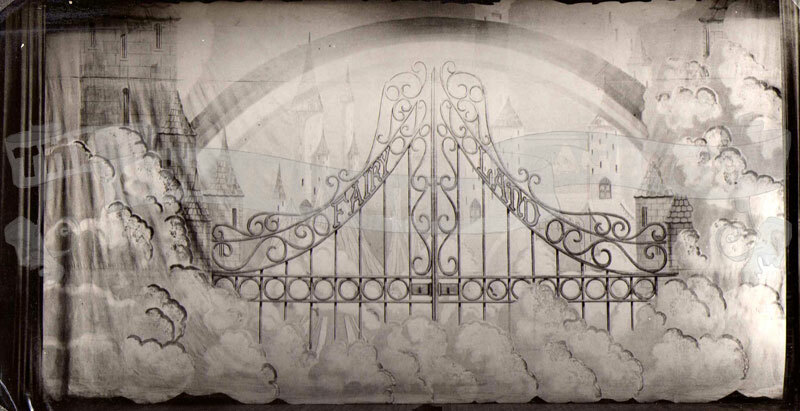 Bill designed and painted all year round designing scenes and making the scenery from scratch. 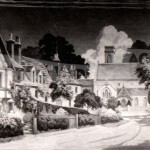 The air was often suffused with the smell of primer drying on virgin canvas before painting commenced and old canvases were often over-painted giving them a new lease of life at a very substantial saving. 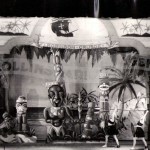 Bill had, as required, the assistance of joiners, odd job men and electricians, who would create many wonderful effects to dazzle the crowds. 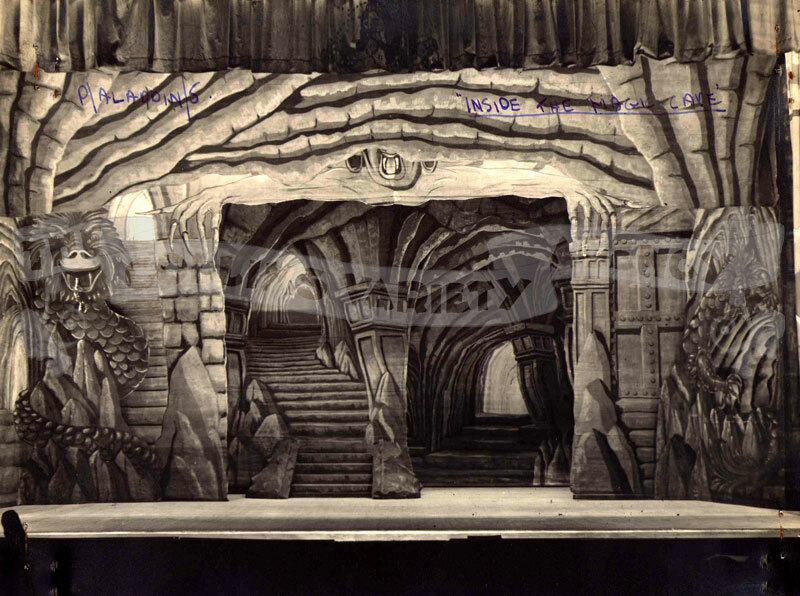 All of this artistry was then transformed with the clever use of coloured lighting which could magically transform a scene from scary to sunny at the flick of a switch. 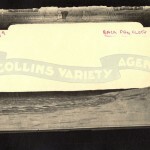 Bill’s work was also his hobby. 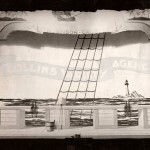 Randle Collins recalled during the war years of the 40’s his father often coming home and saying to him “Bill says this is for you.” handing his boy a beautiful hand-made ship or plane and on one occasion a complete electrified 3′ cubed model theatre, all parts fully functional, complete to the last detail with scenery, working flies, lighting controls and paper marionettes to grace it’s stage. 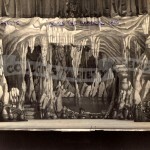 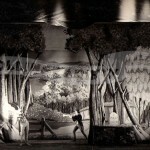 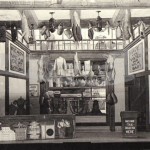 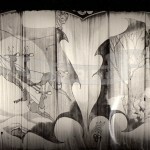 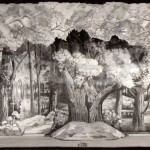 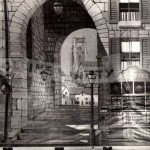 Thankfully, Horace thought it wise to keep a photographic inventory of Bill Grayson’s creations between 1940 and 1956. 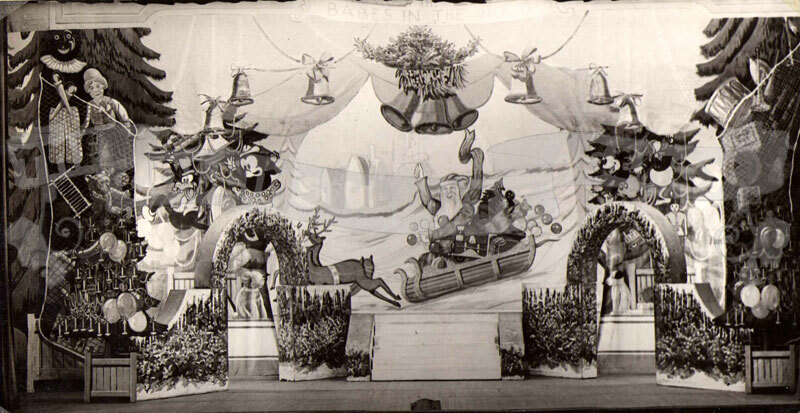 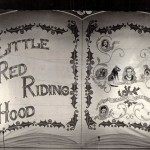 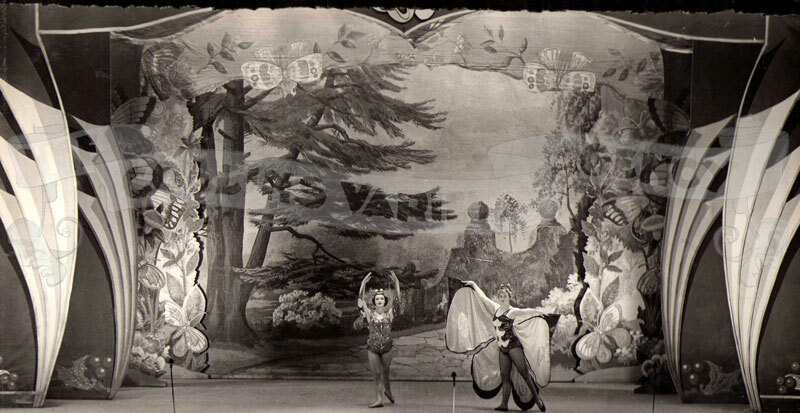 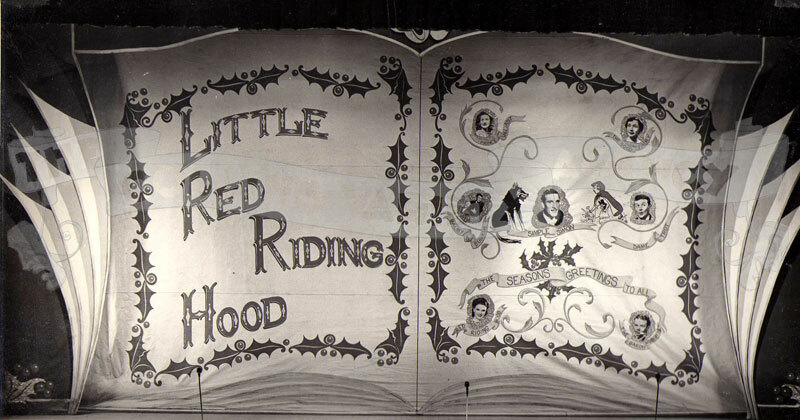 180 scenes were documented over 16 pantomimes which delighted the patrons of Glasgow, Edinburgh, Dundee, Aberdeen and Liverpool. 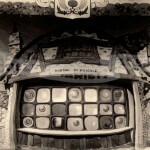 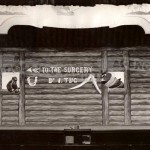 As wonderful as it is to have this rare record the only sad point is that the photographs are in black and white. 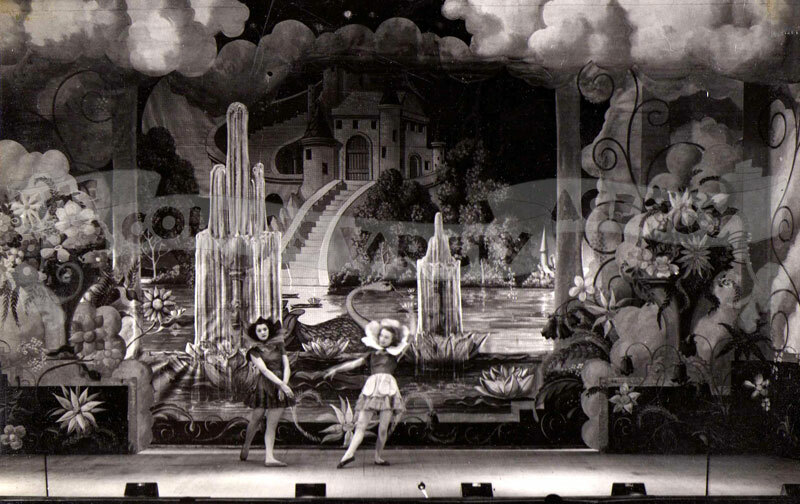 We can only imagine now how cheering it was for audiences in war-time Britain to escape their dour reality for a few hours to delight in the colourful happy world of pantomime. 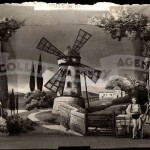 We present these scenes here for your pleasure.